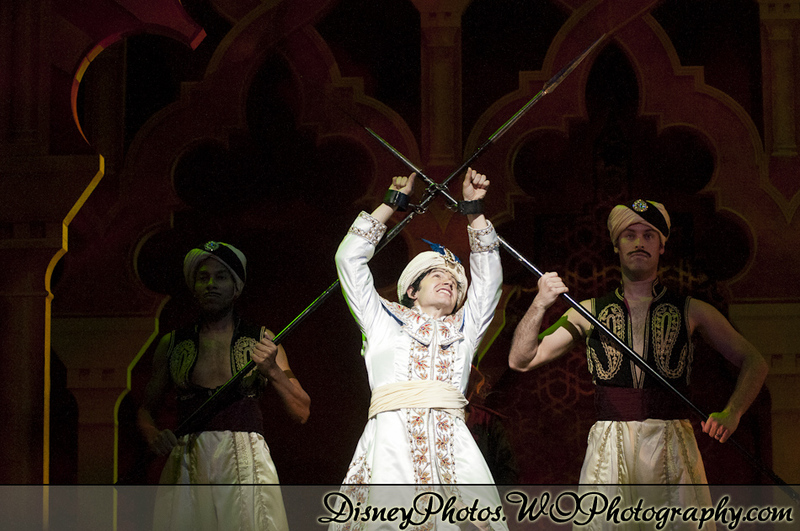 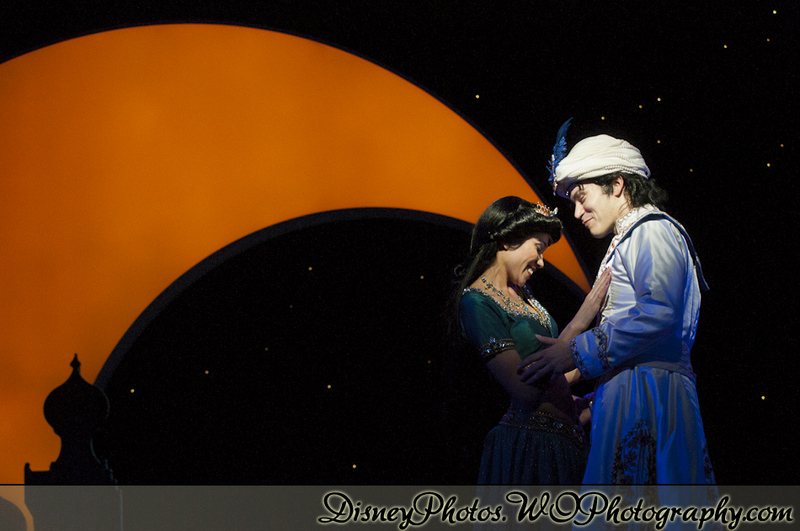 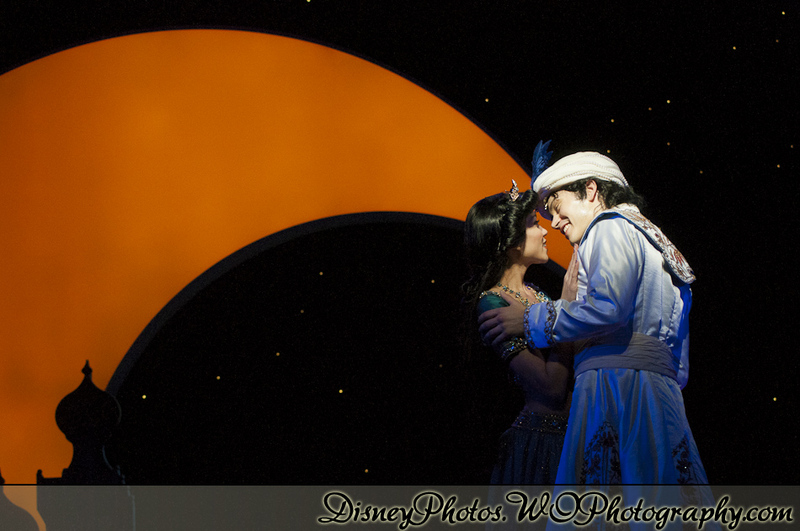 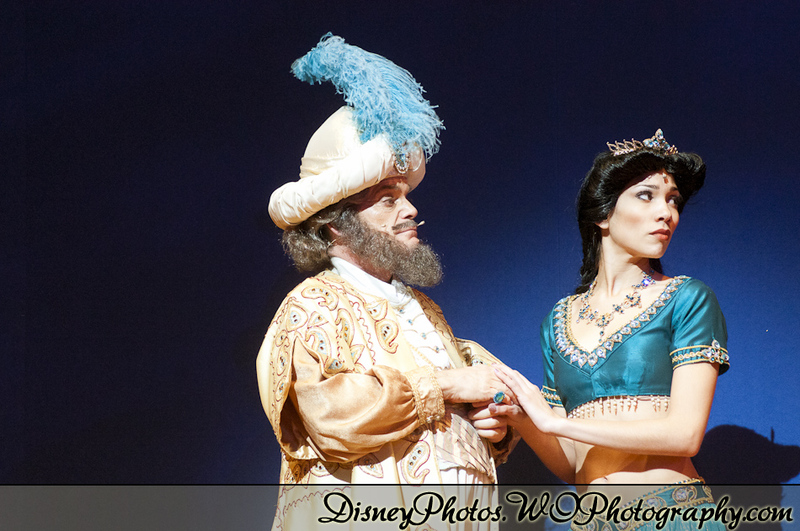 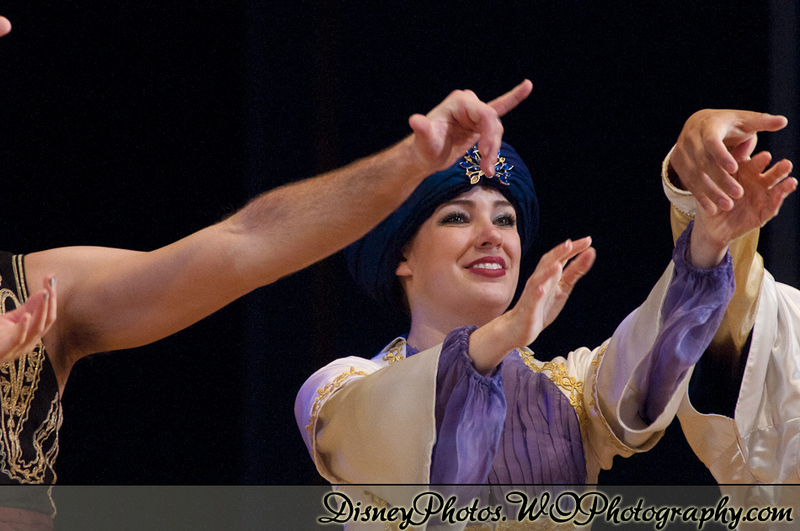 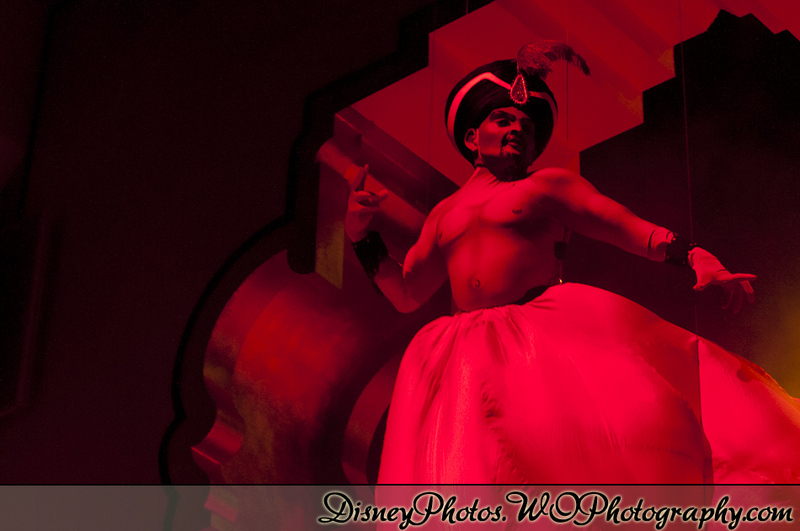 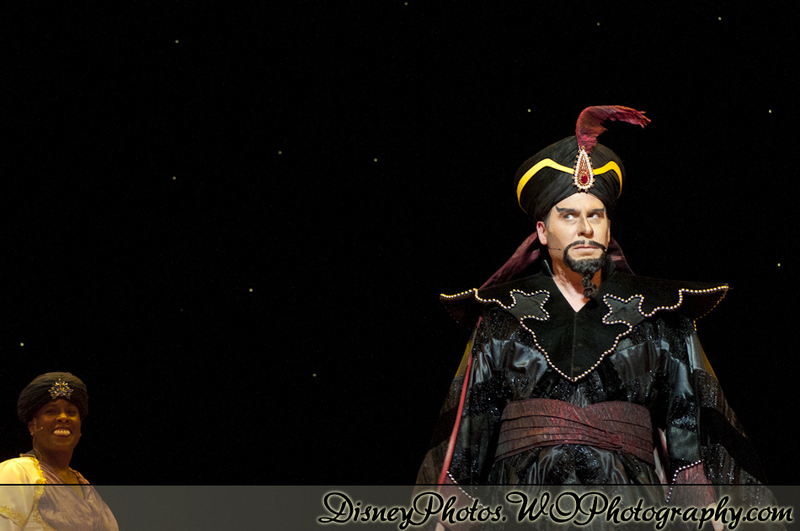 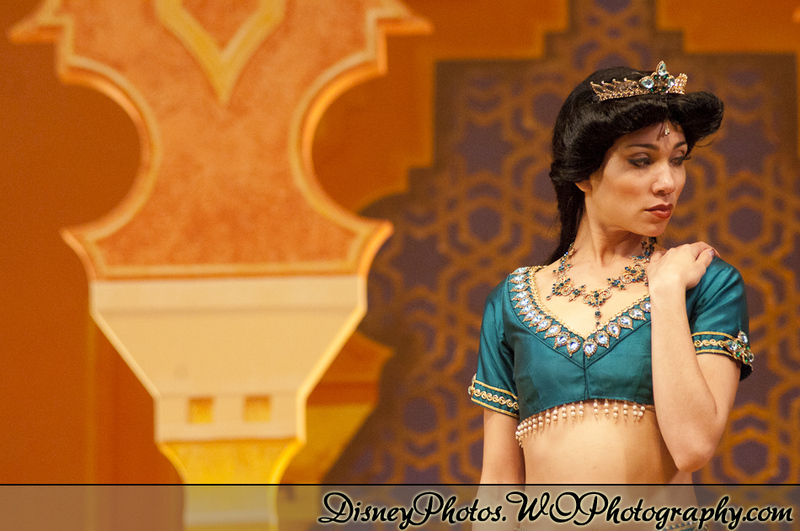 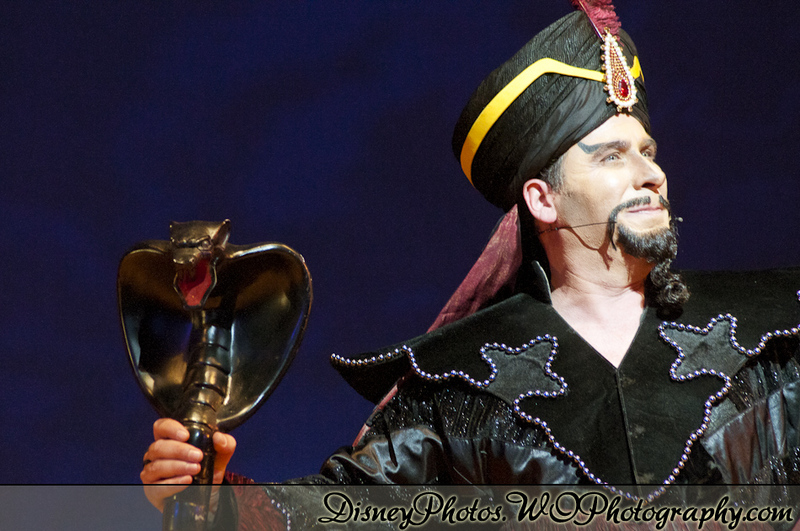 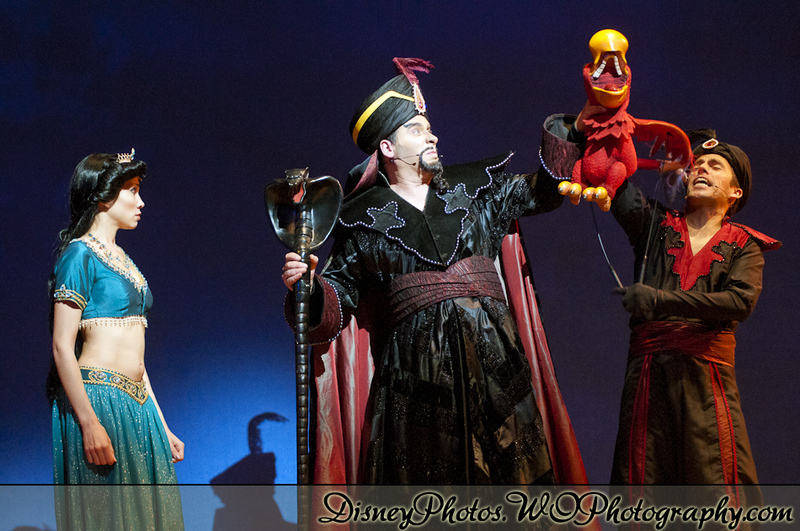 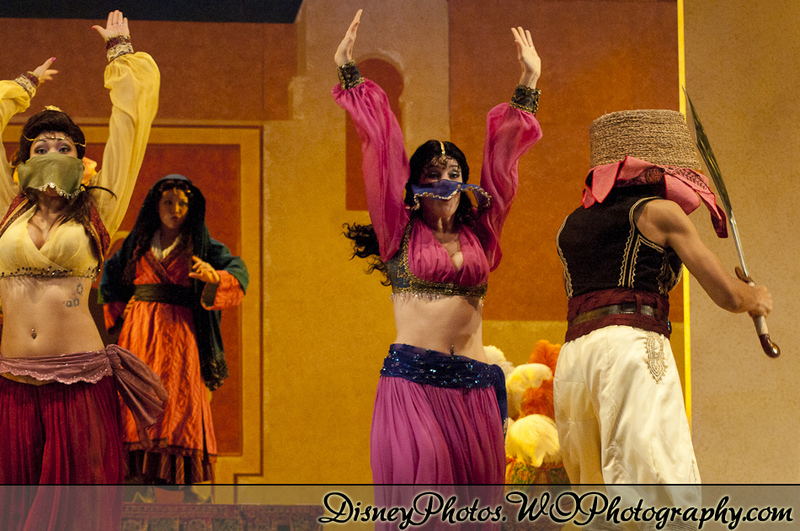 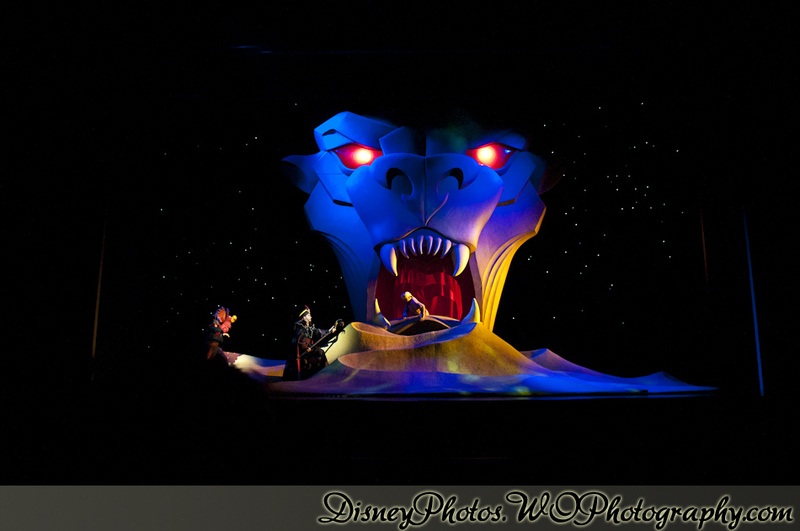 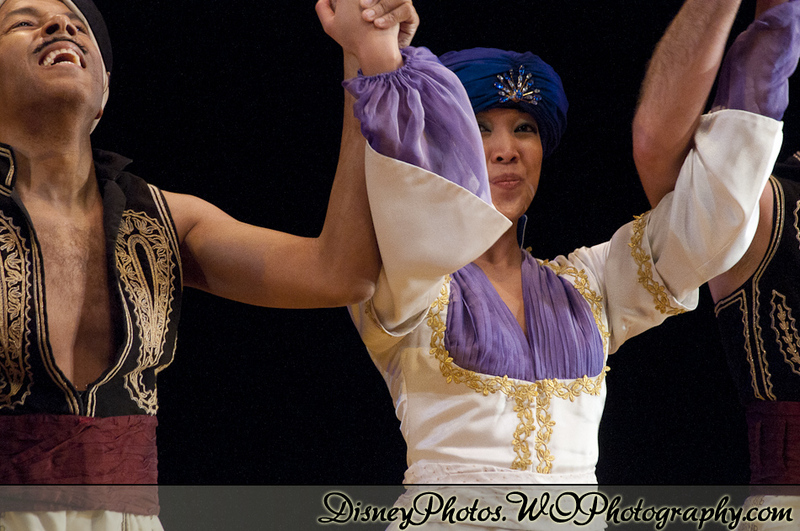 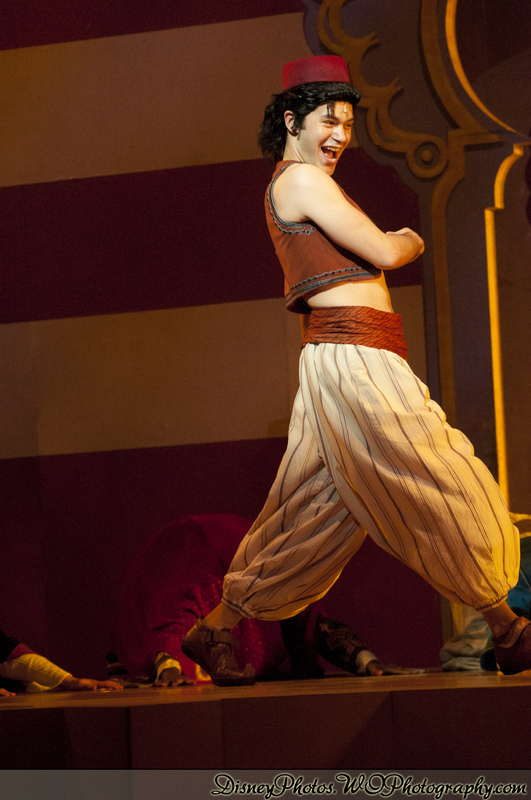 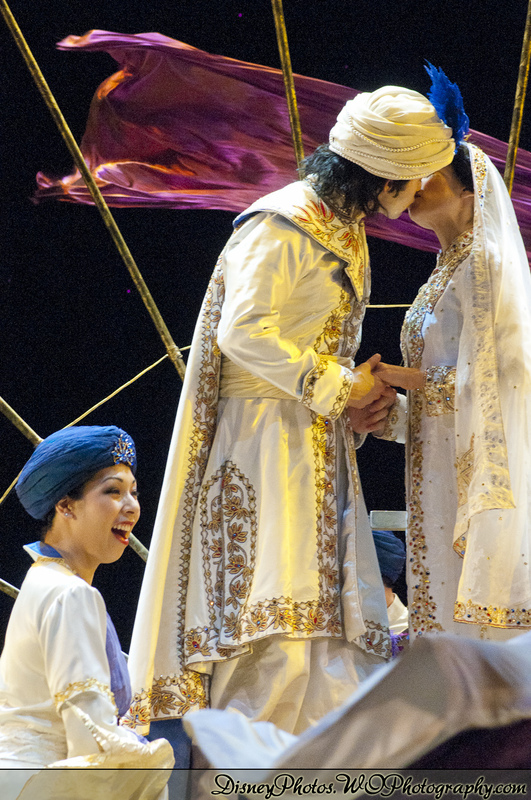 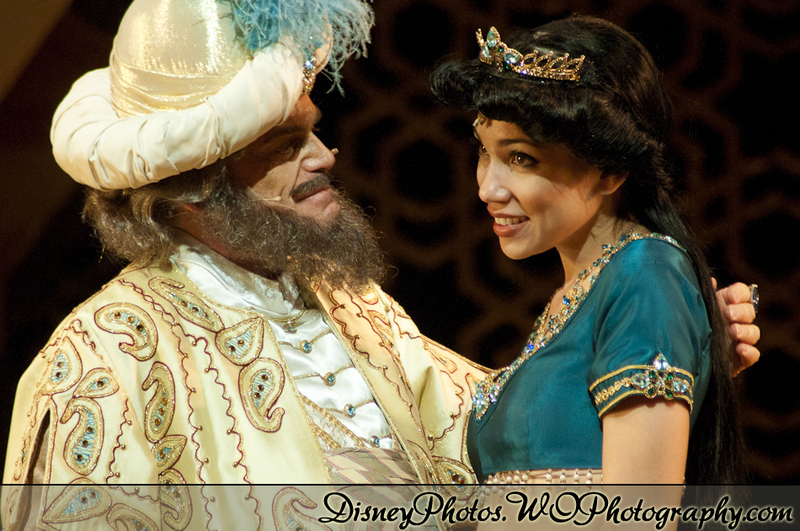 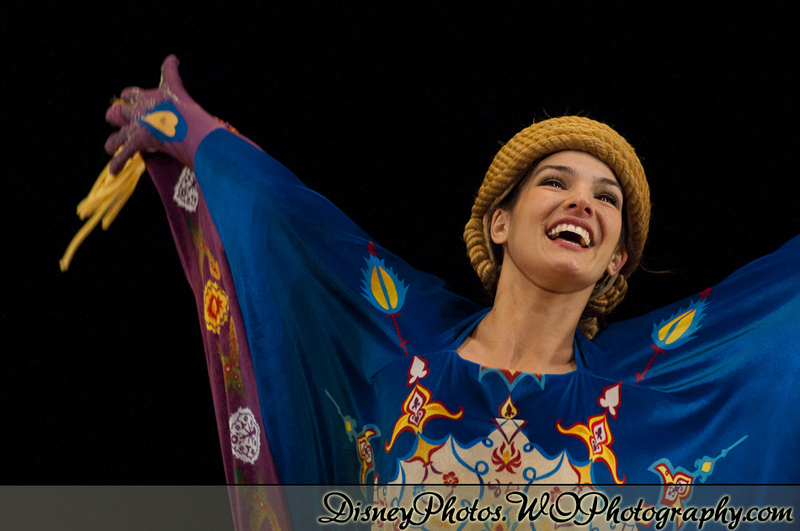 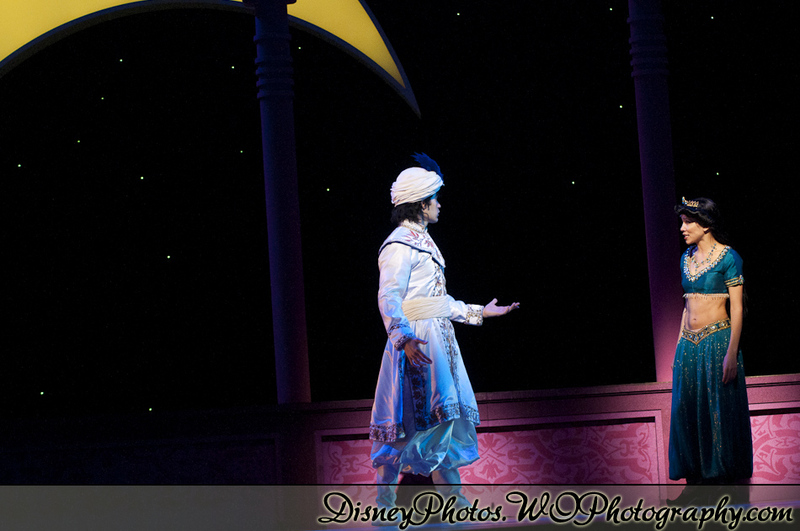 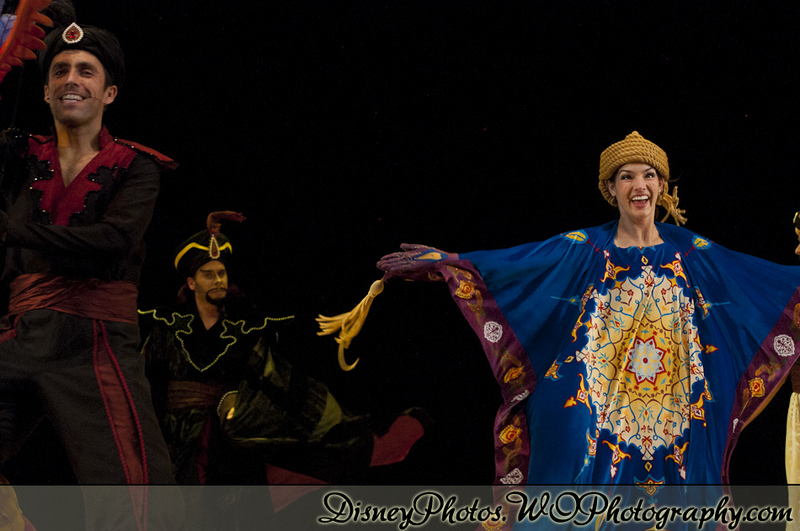 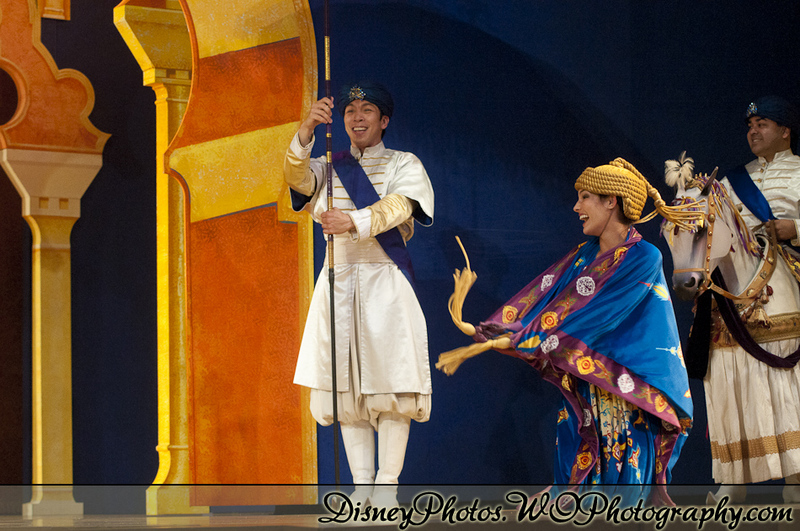 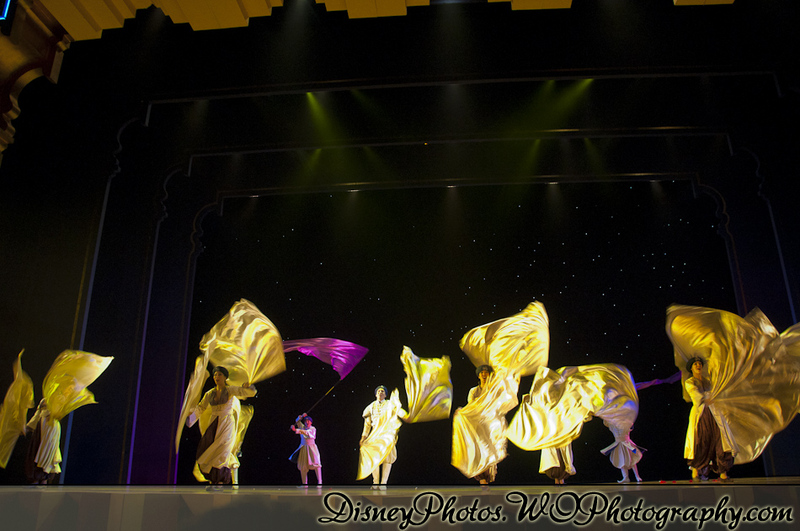 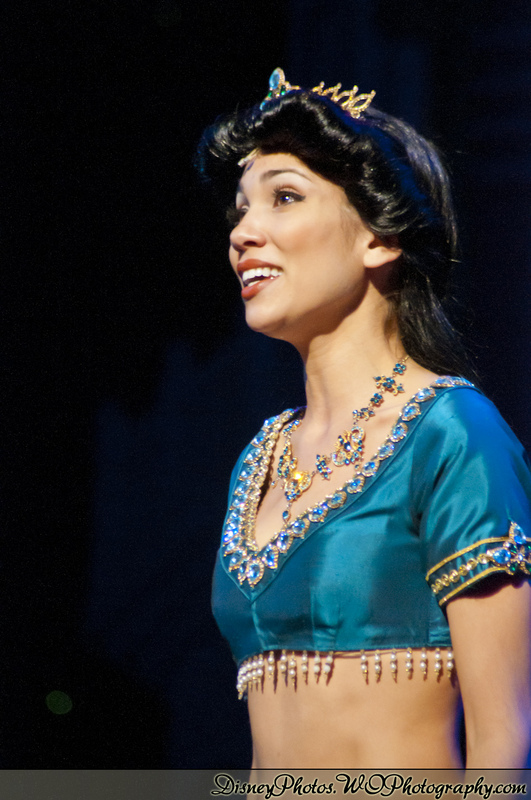 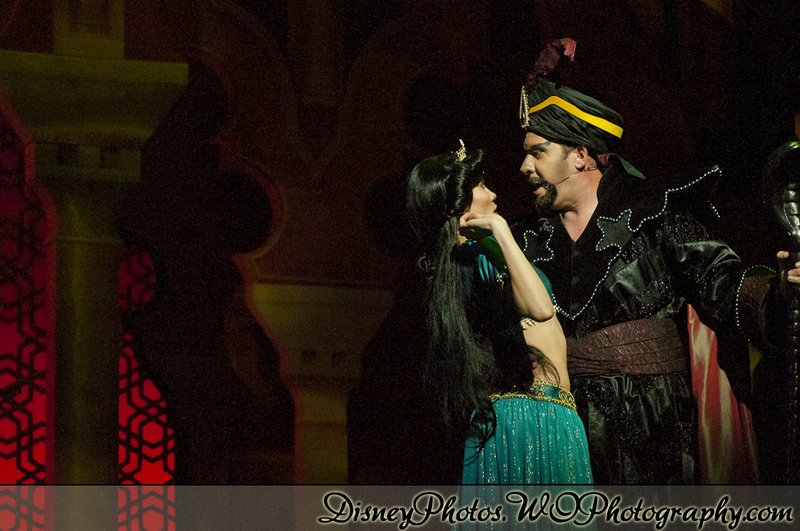 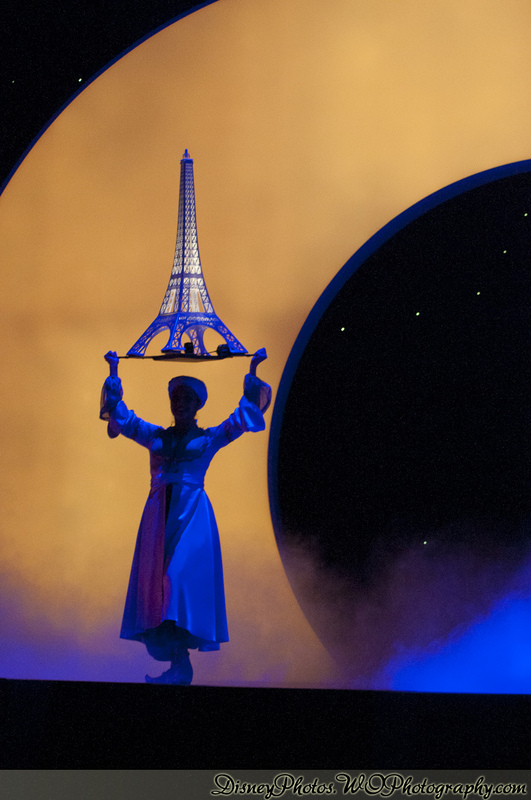 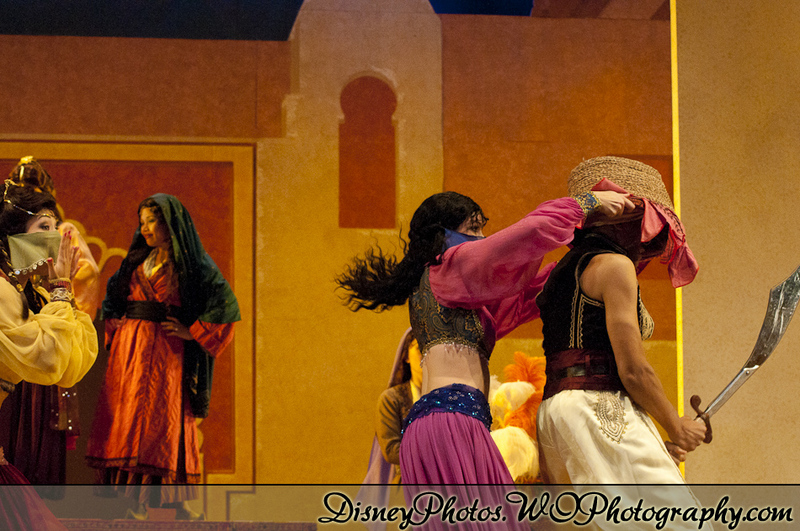 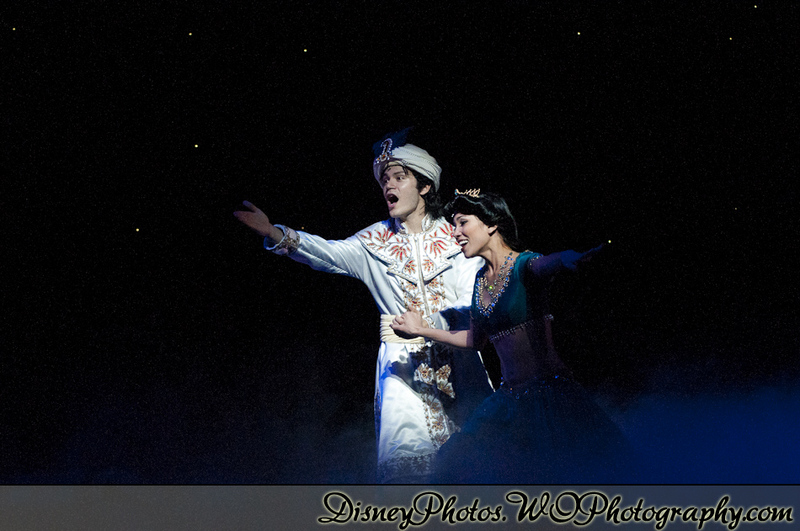 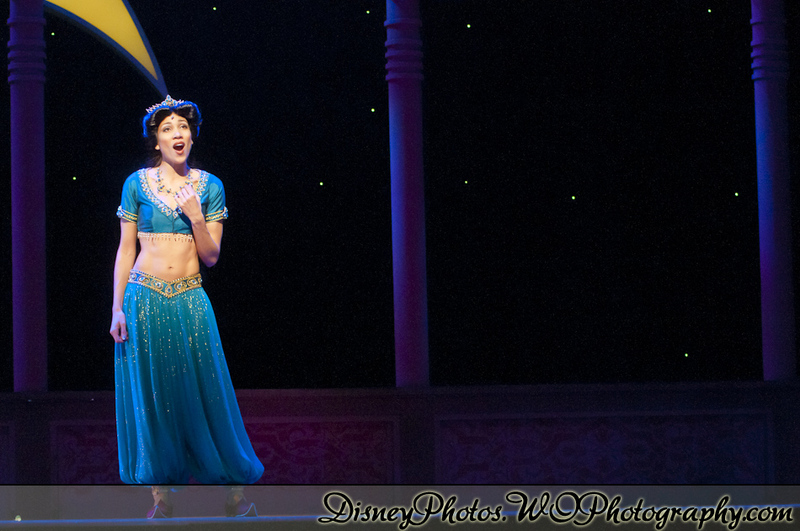 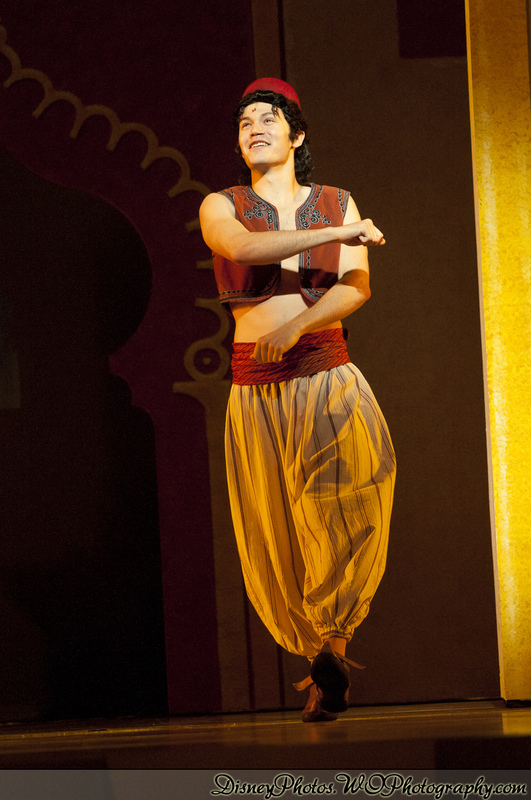 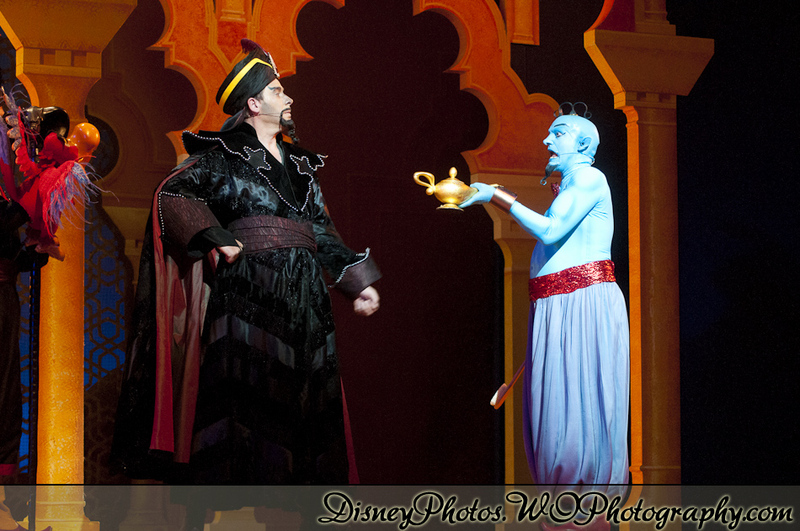 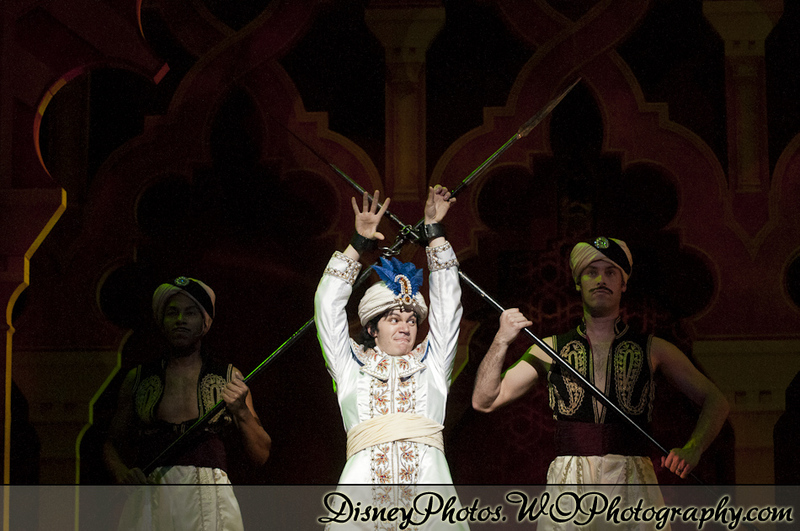 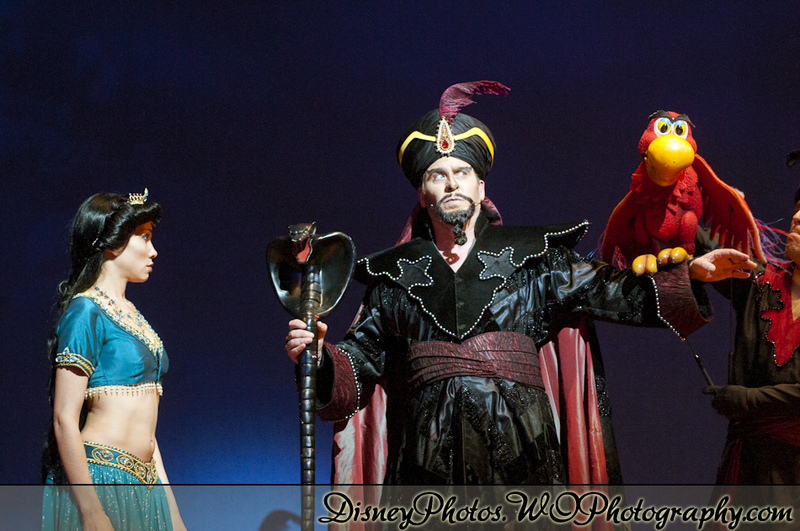 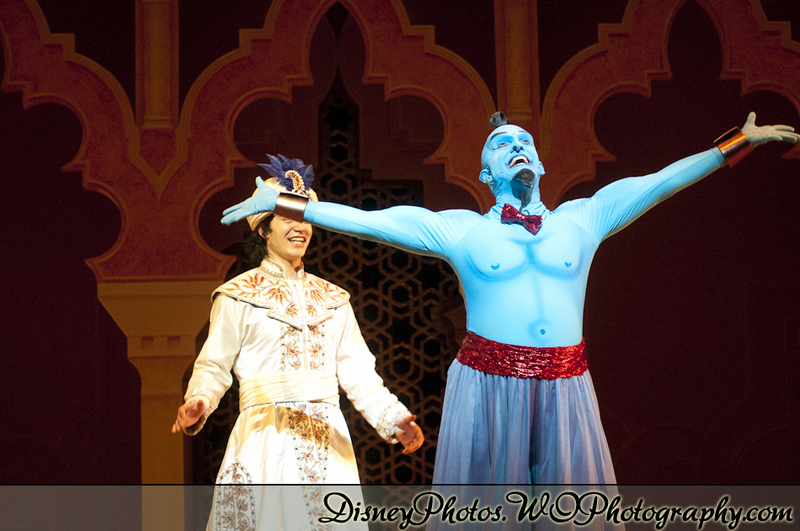 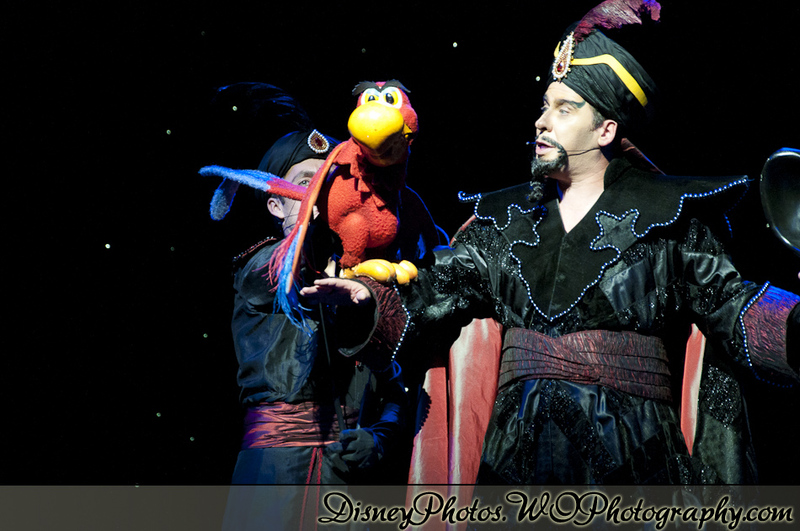 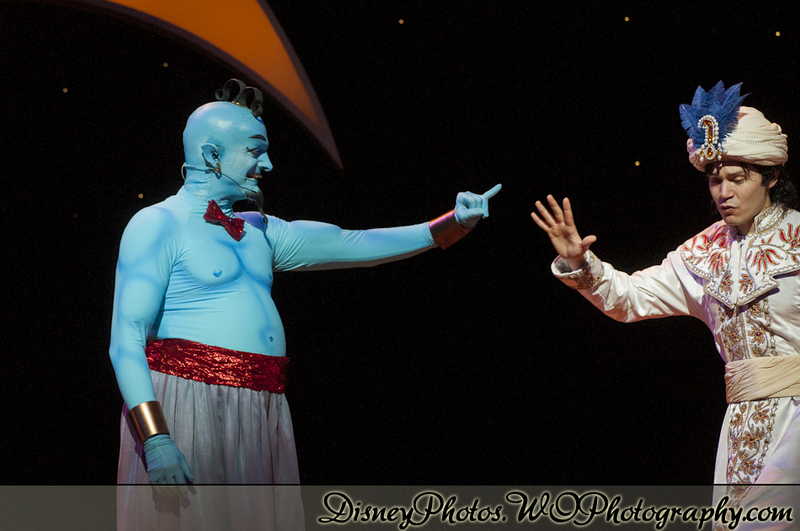 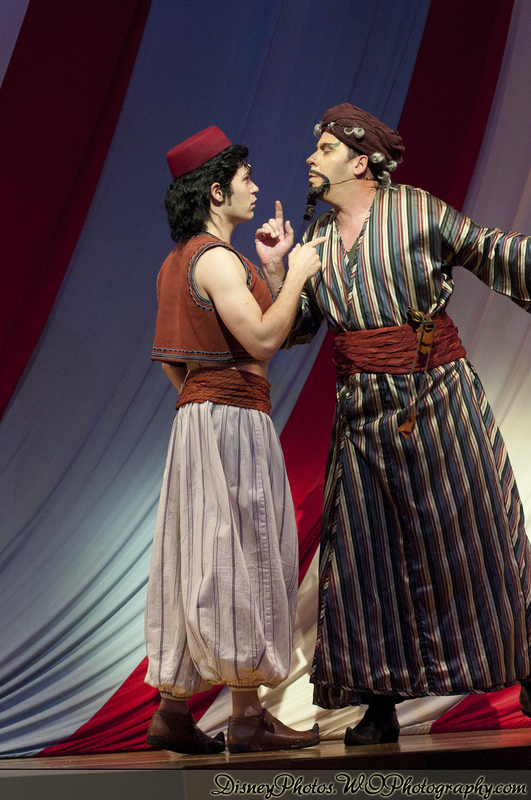 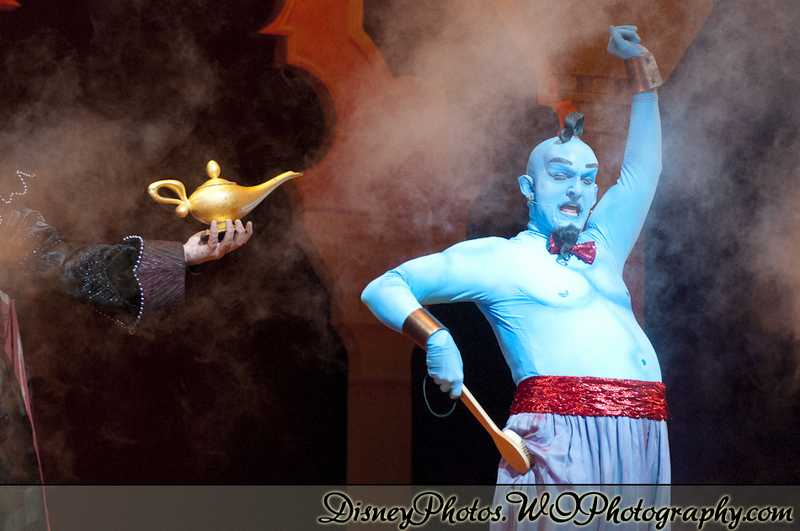 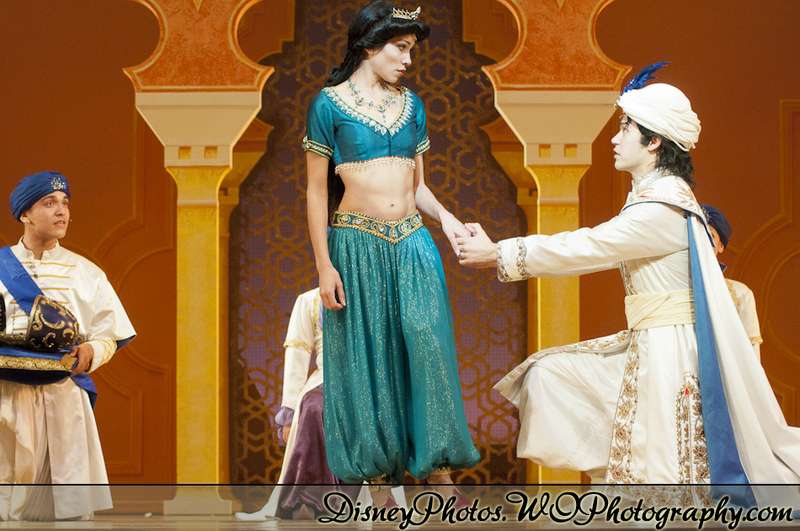 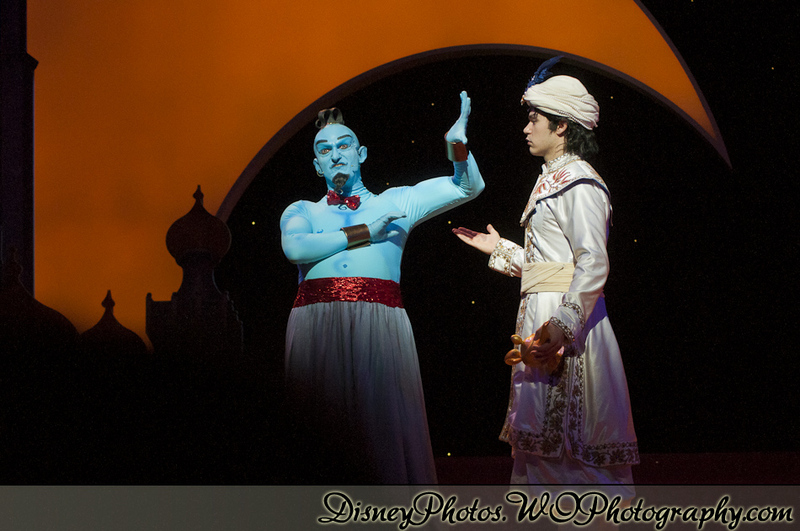 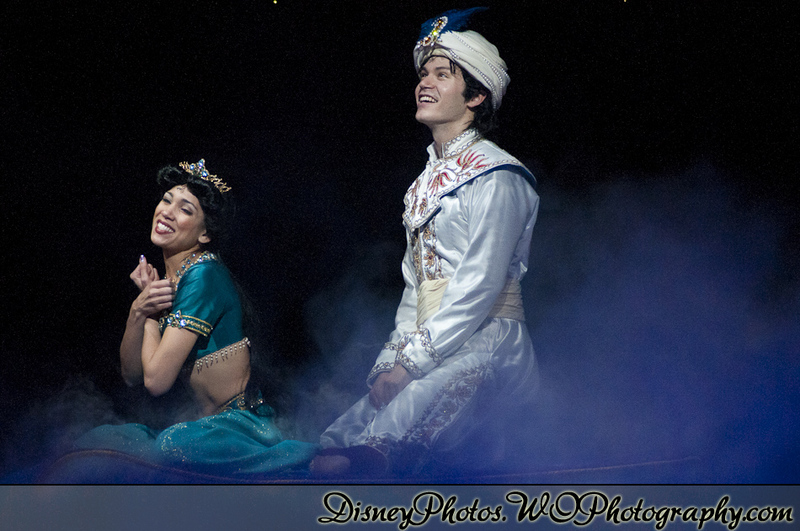 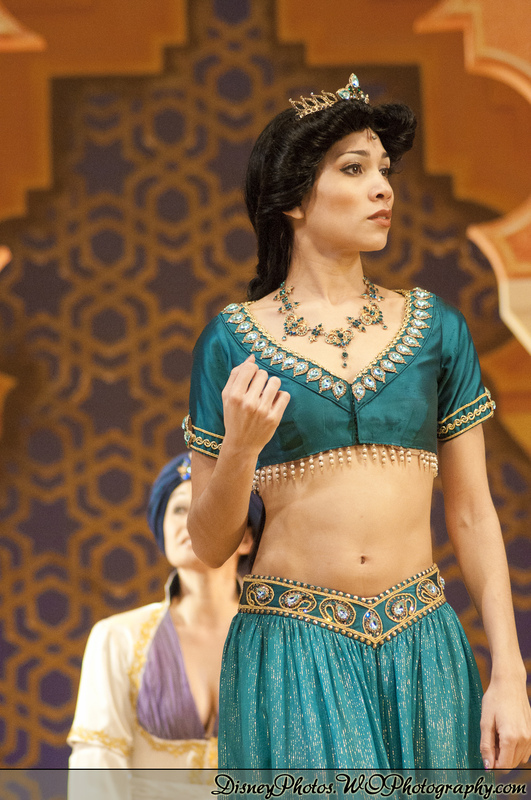 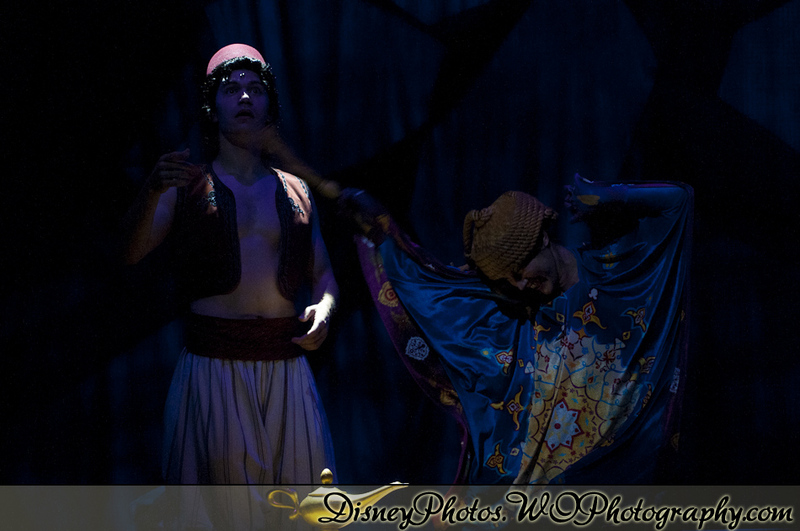 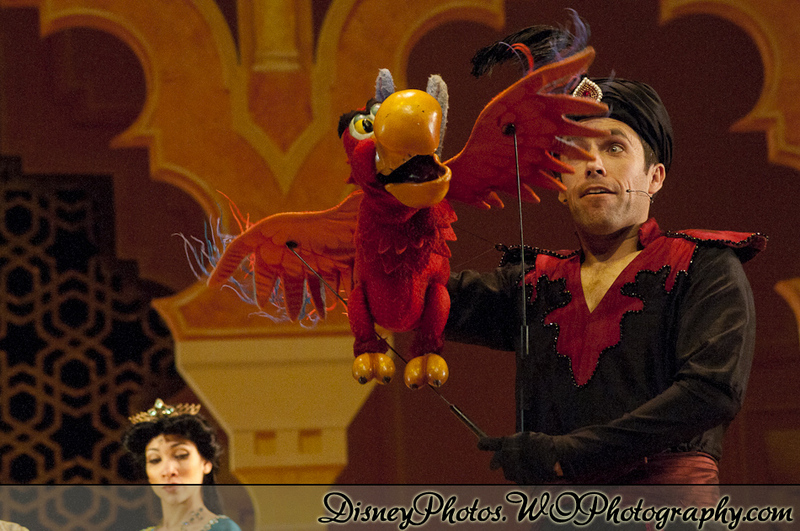 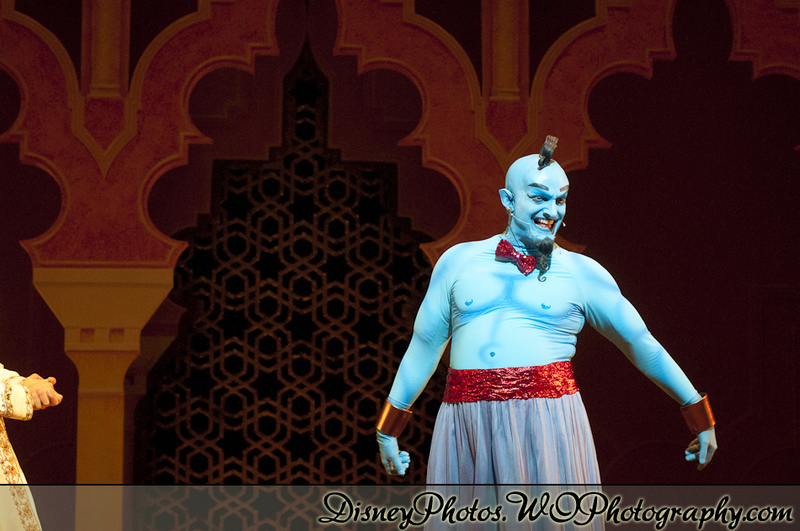 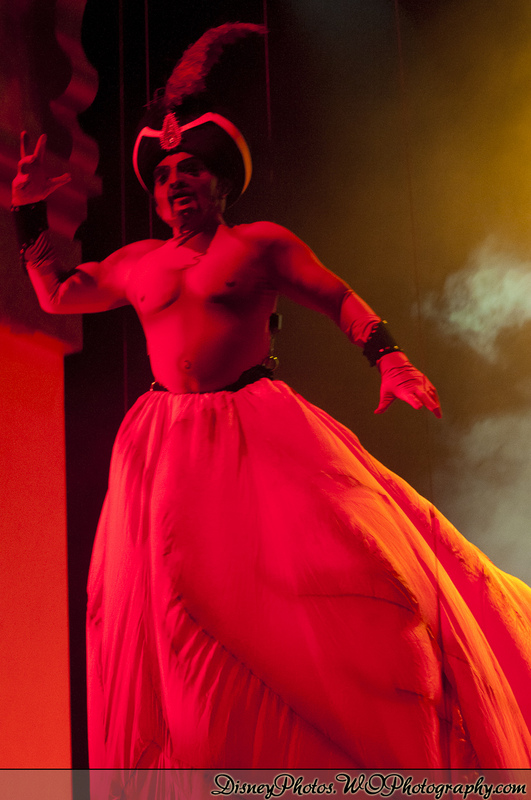 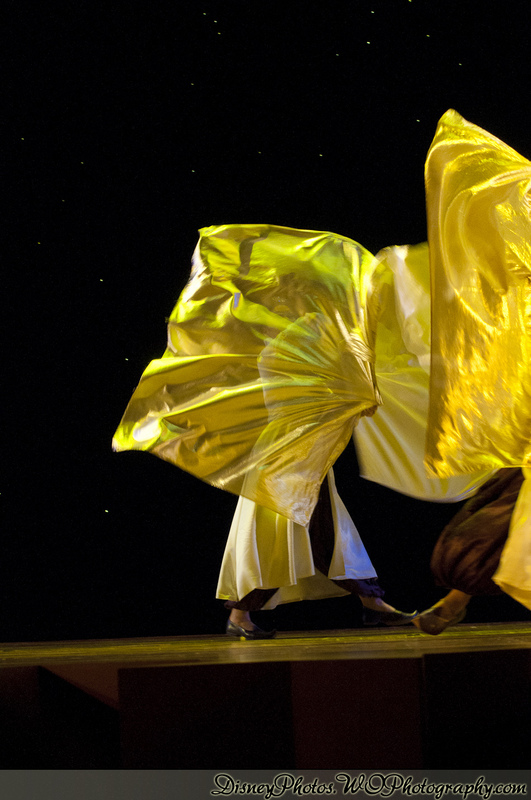 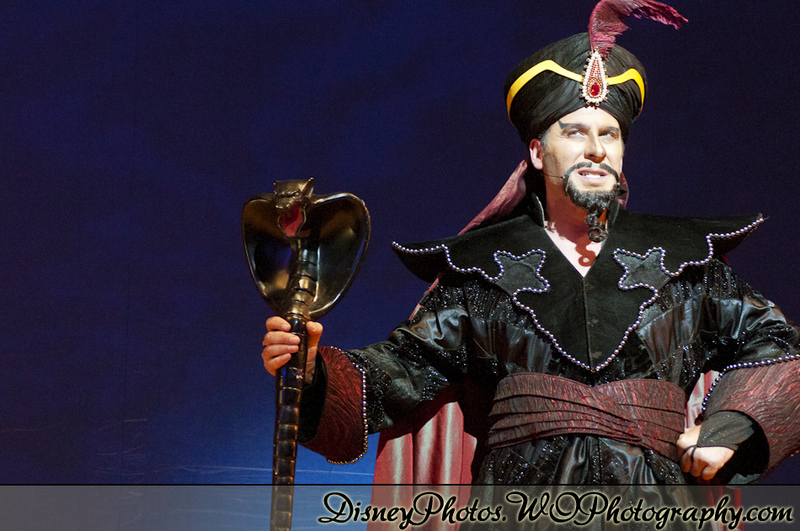 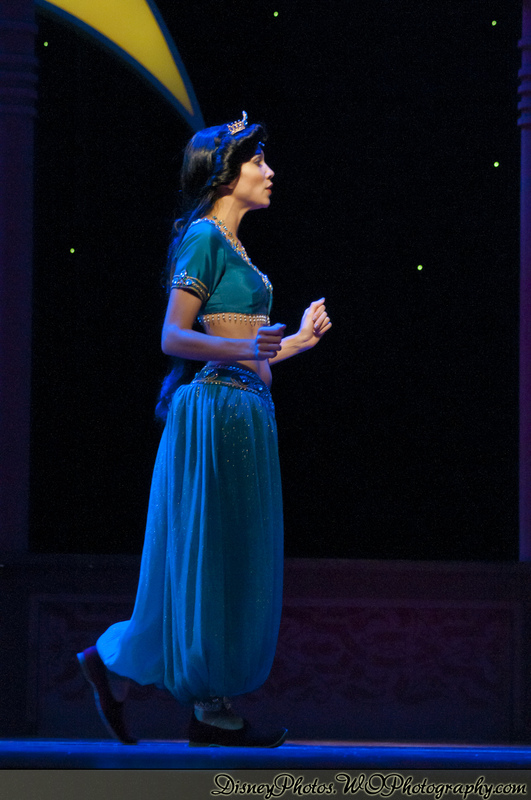 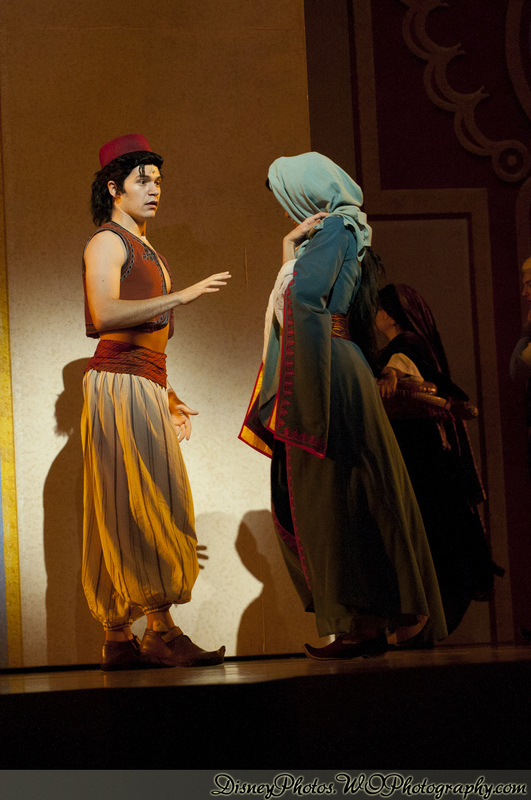 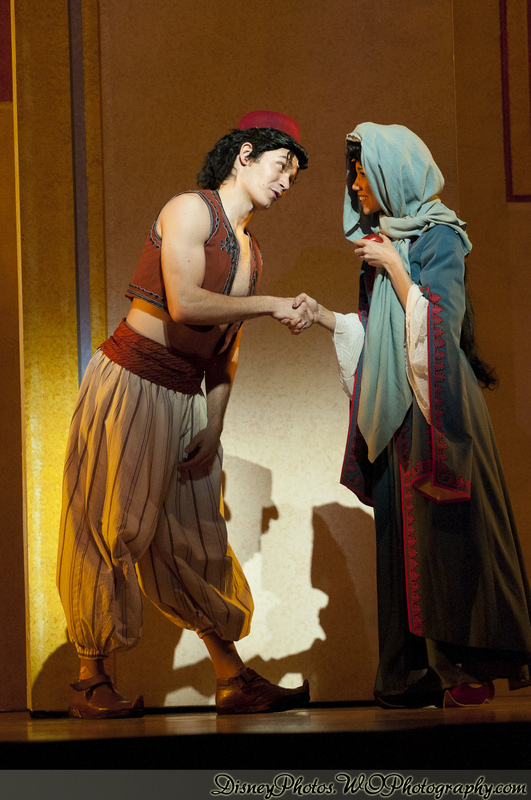 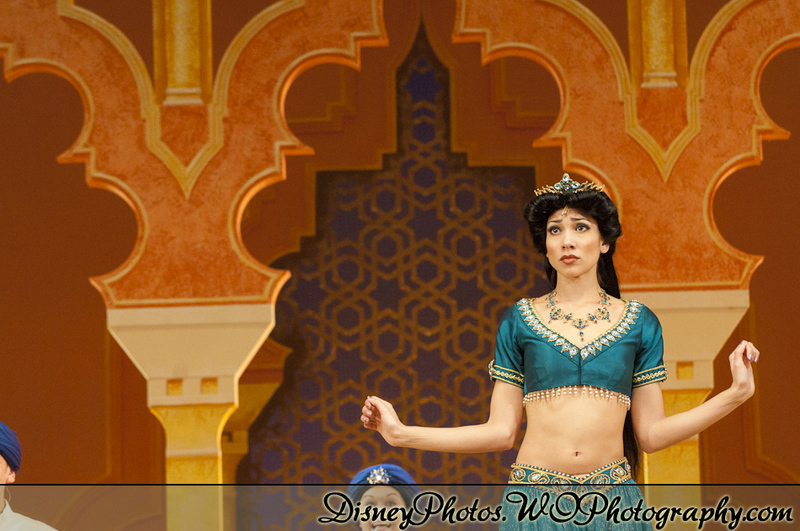 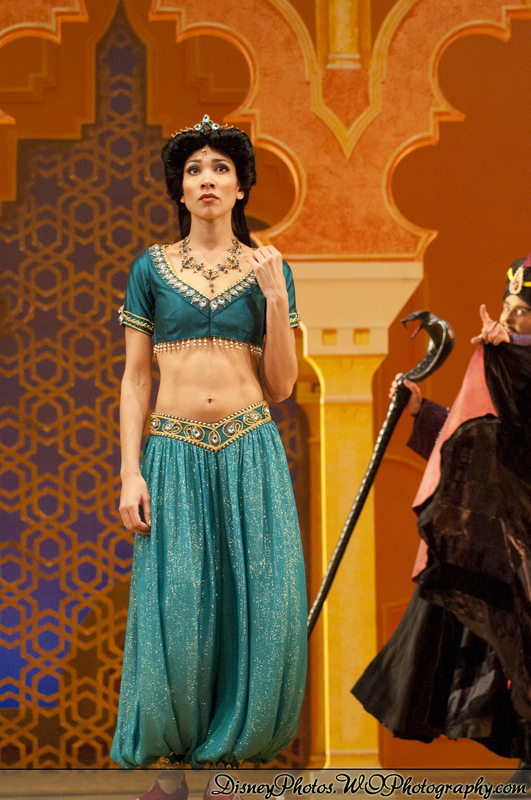 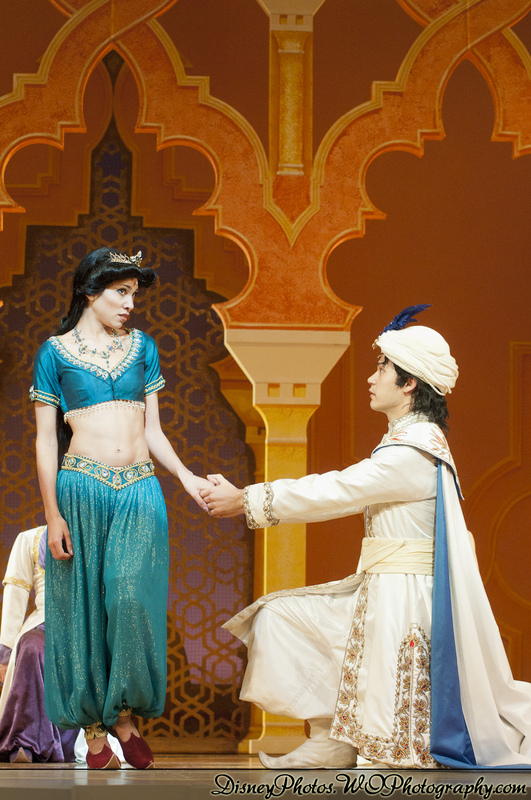 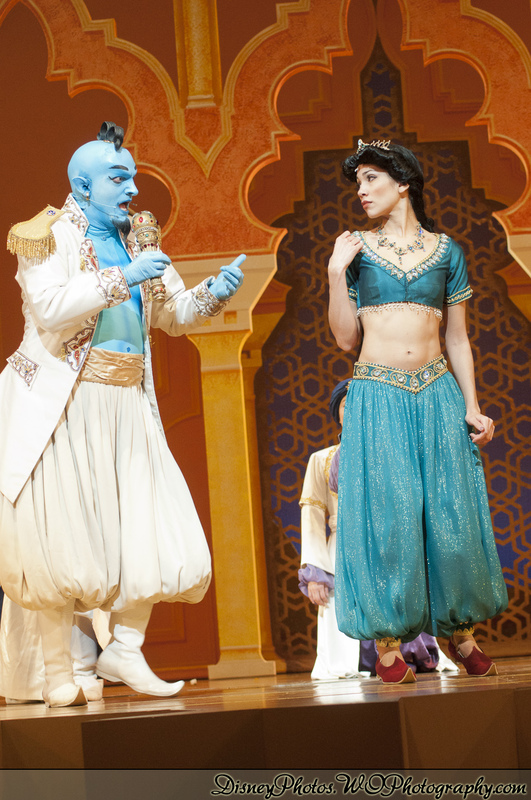 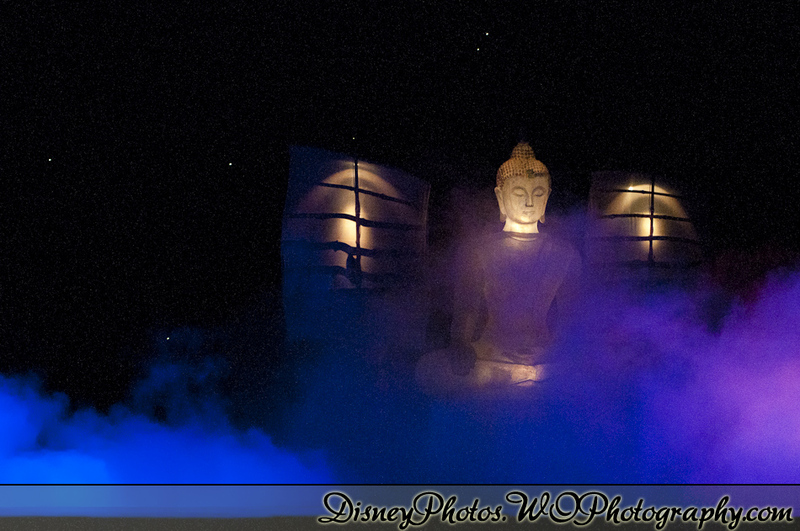 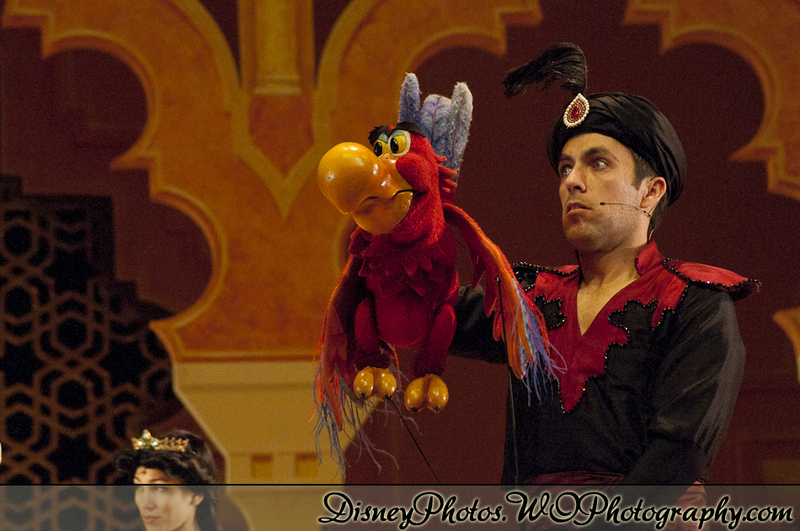 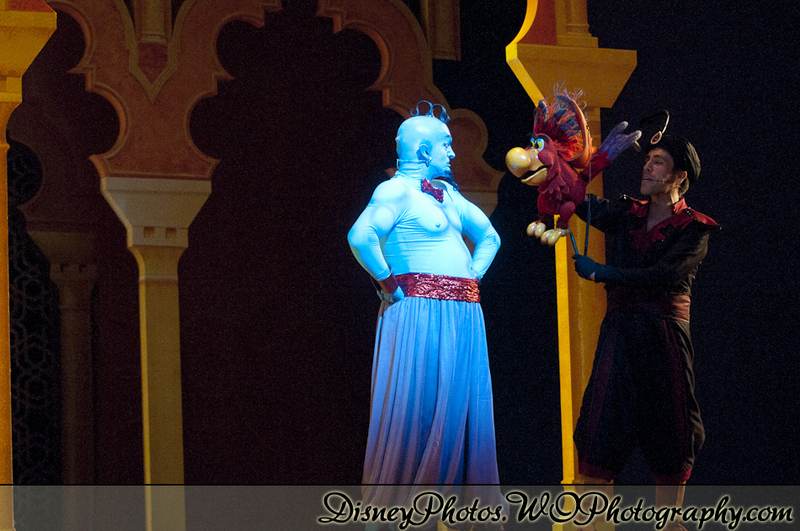 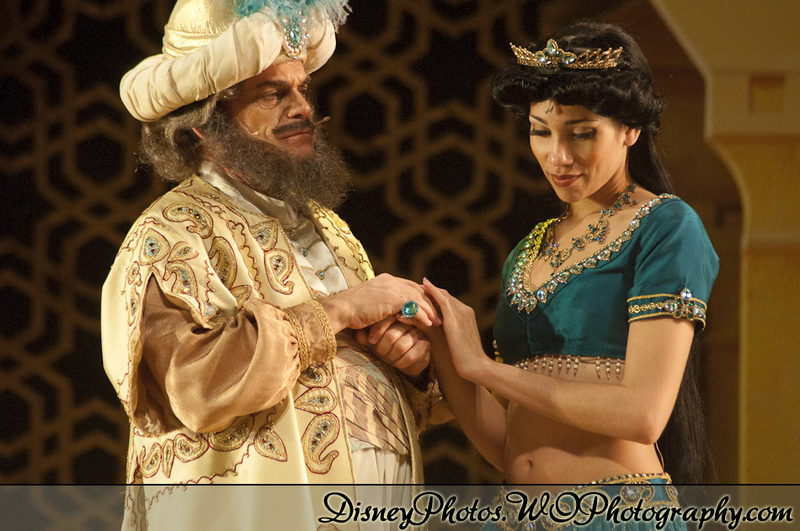 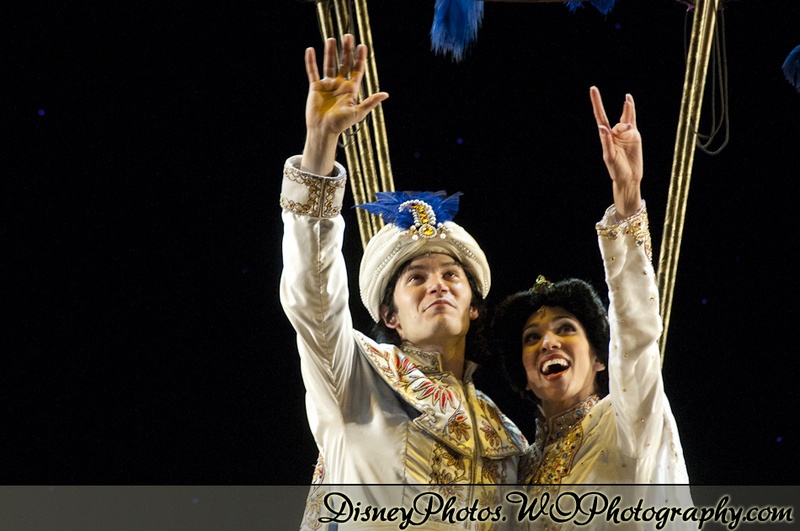 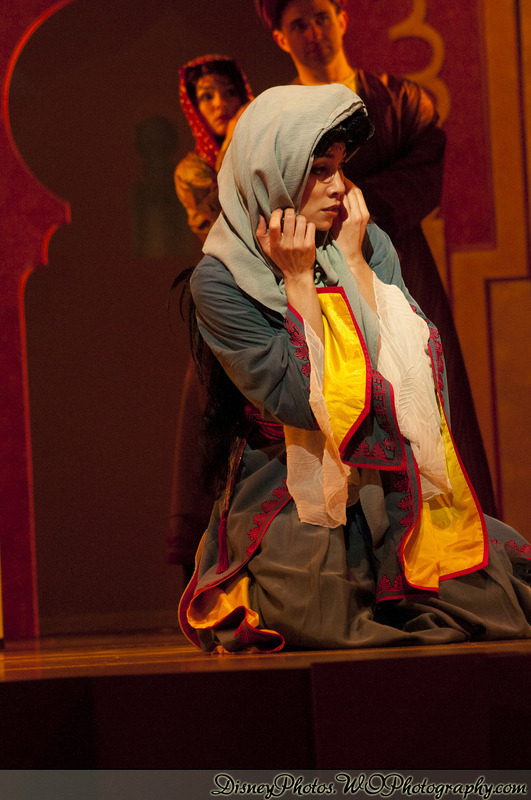 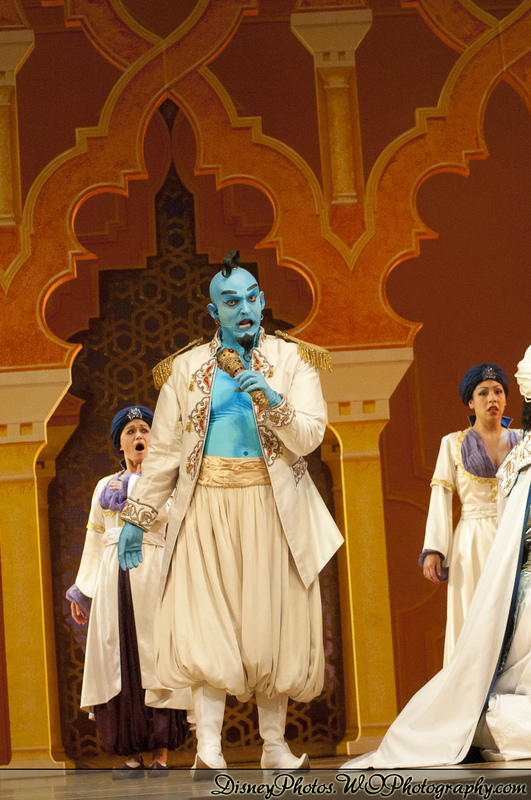 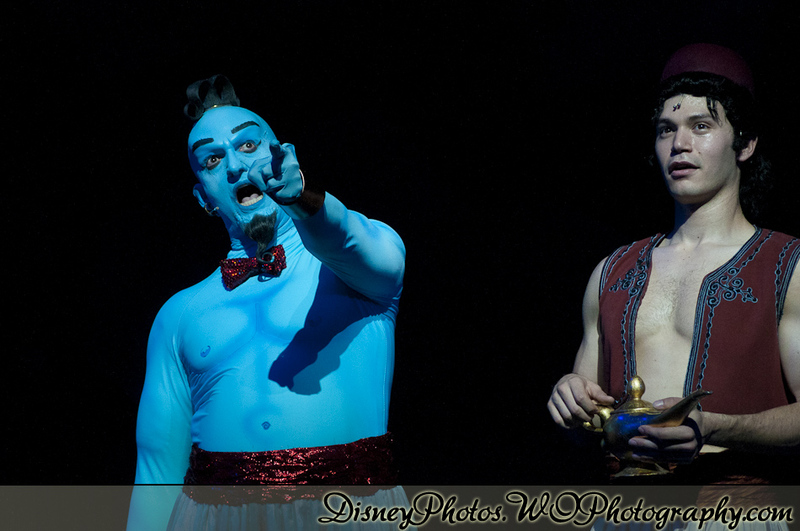 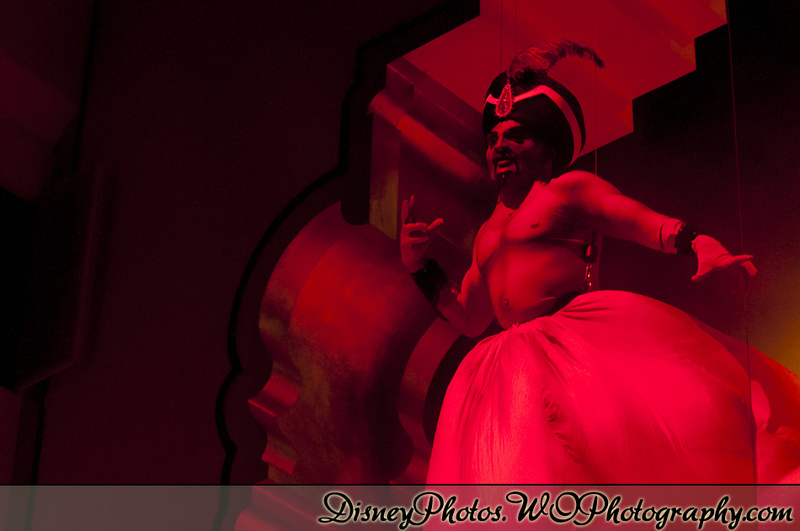 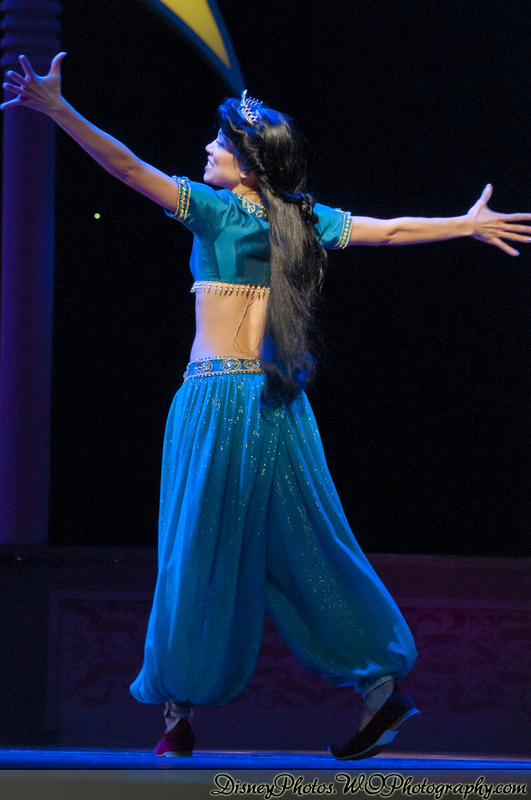 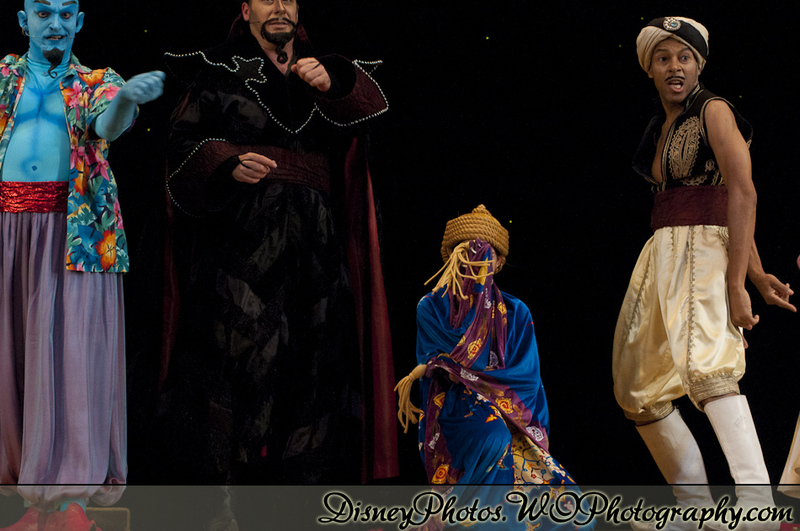 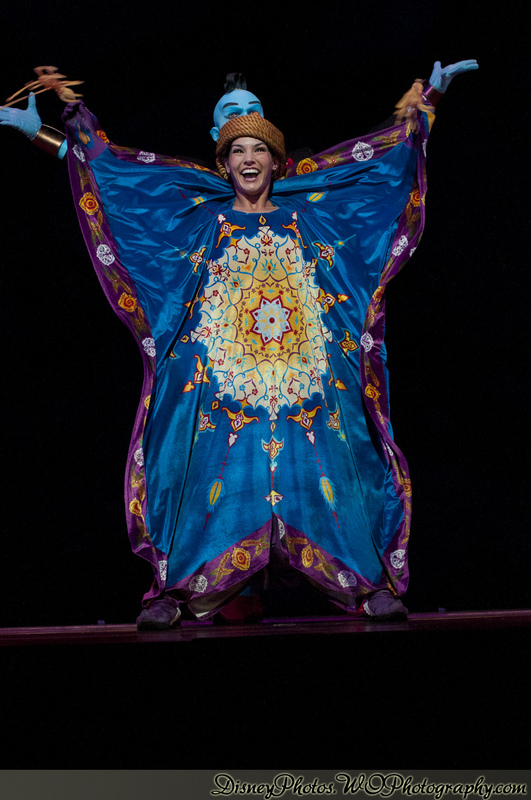 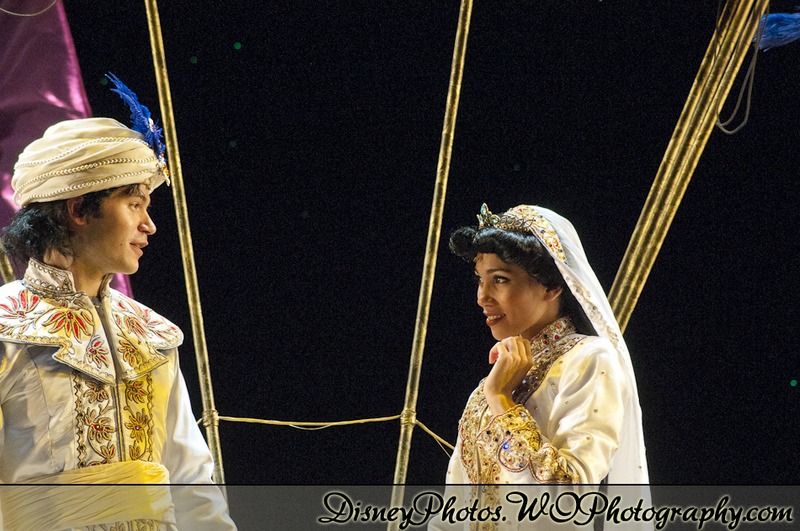 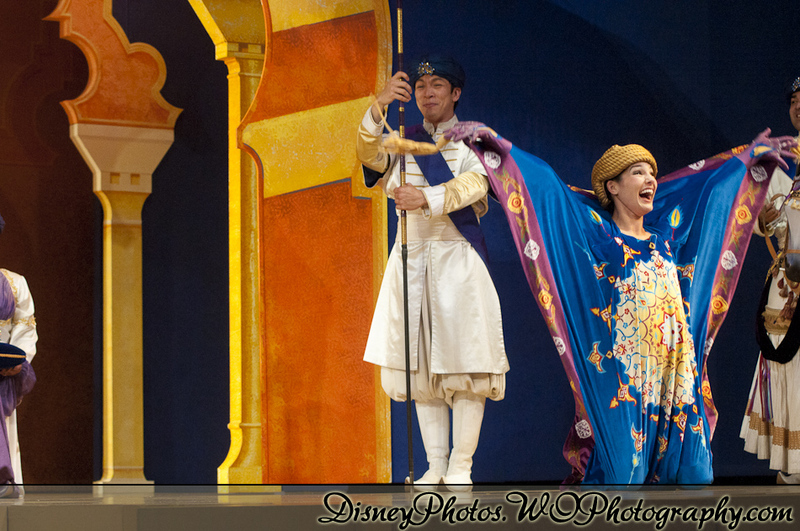 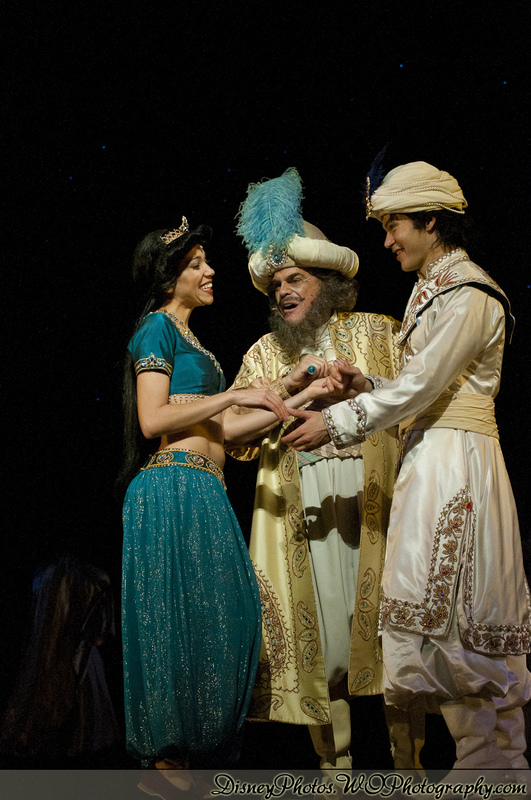 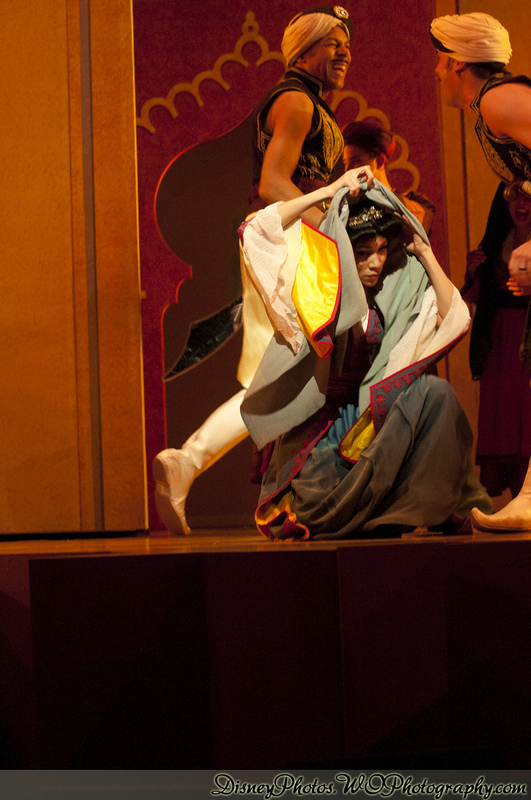 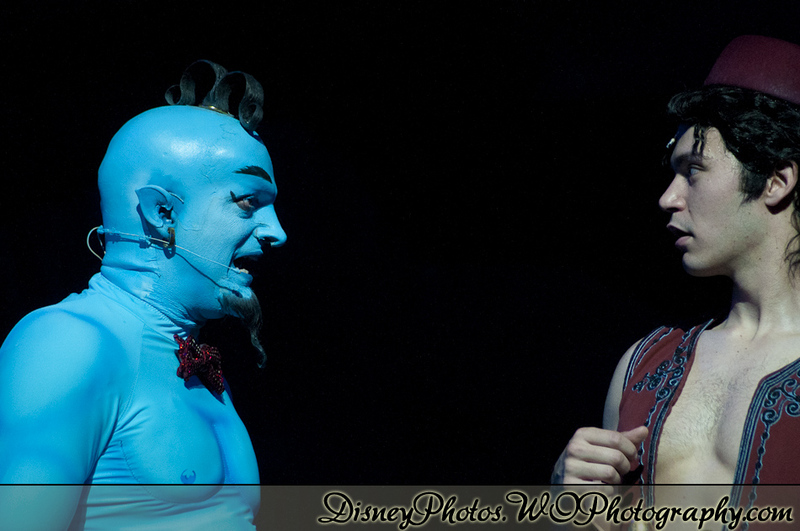 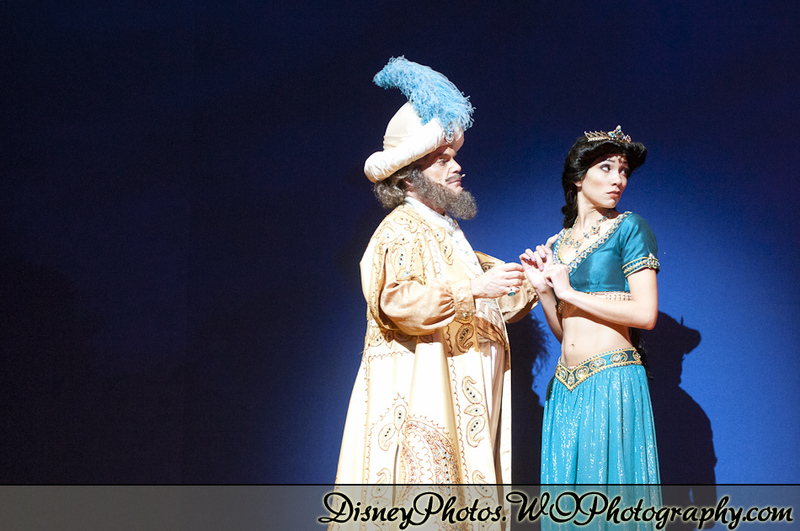 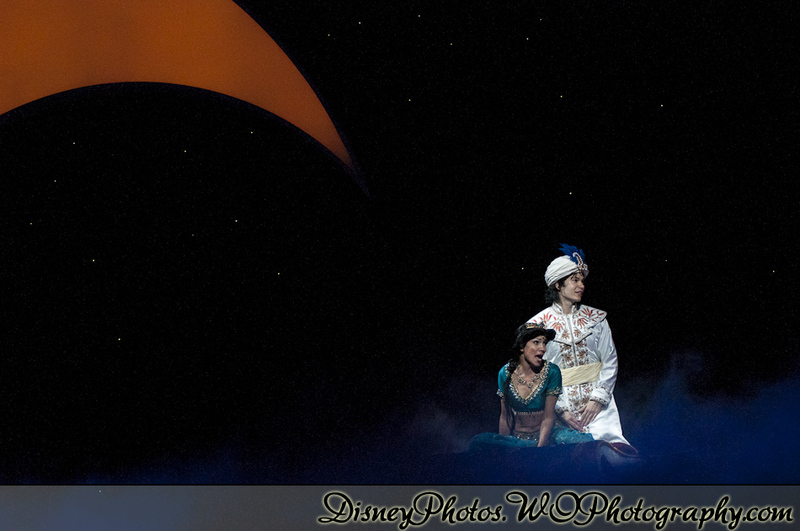 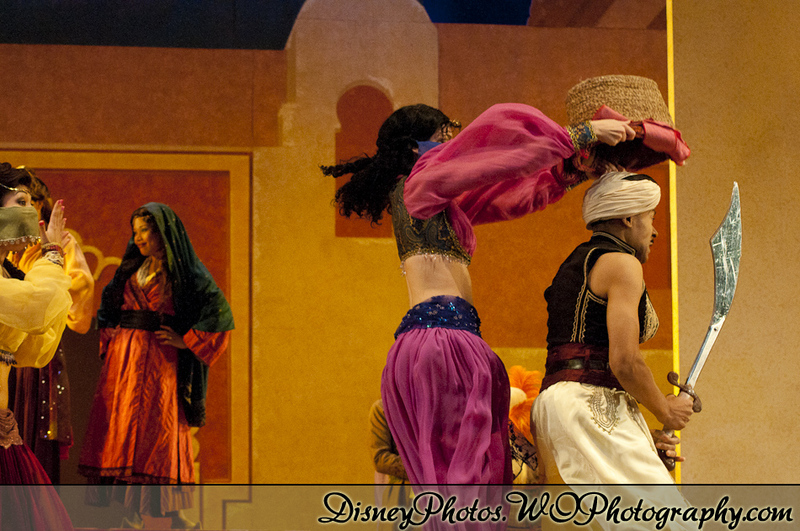 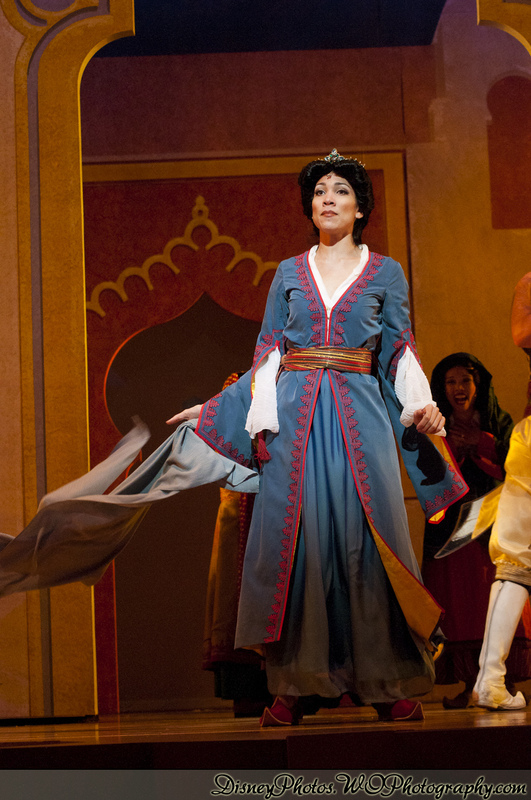 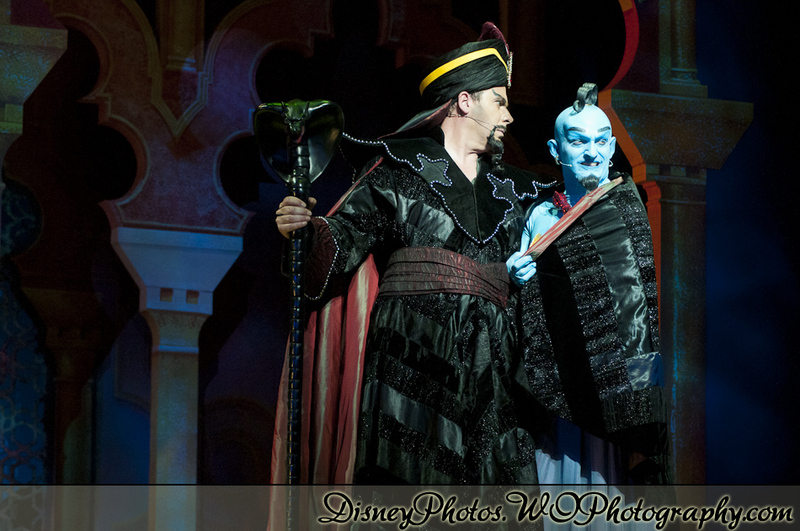 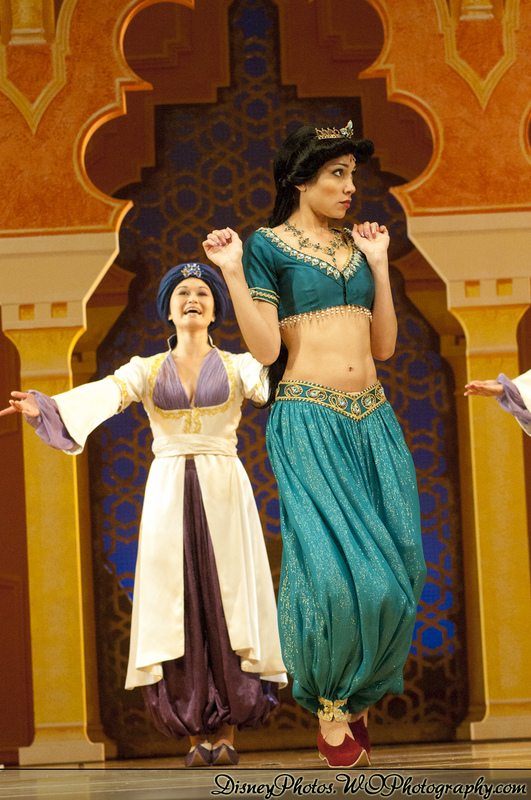 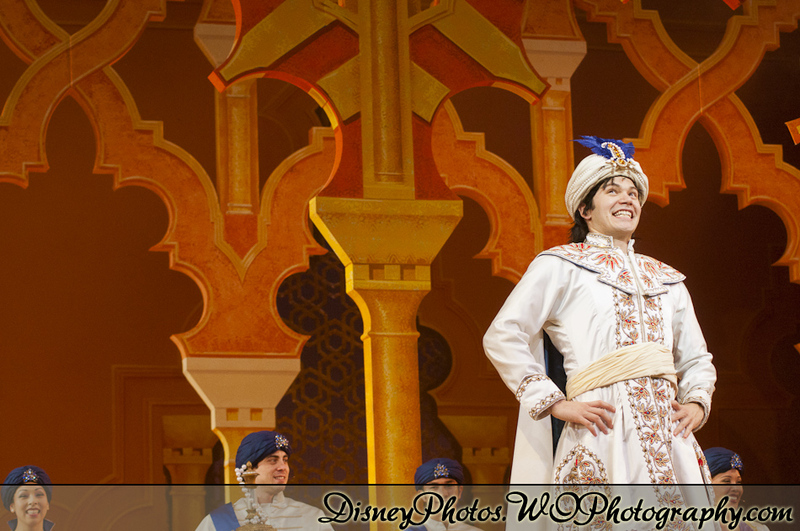 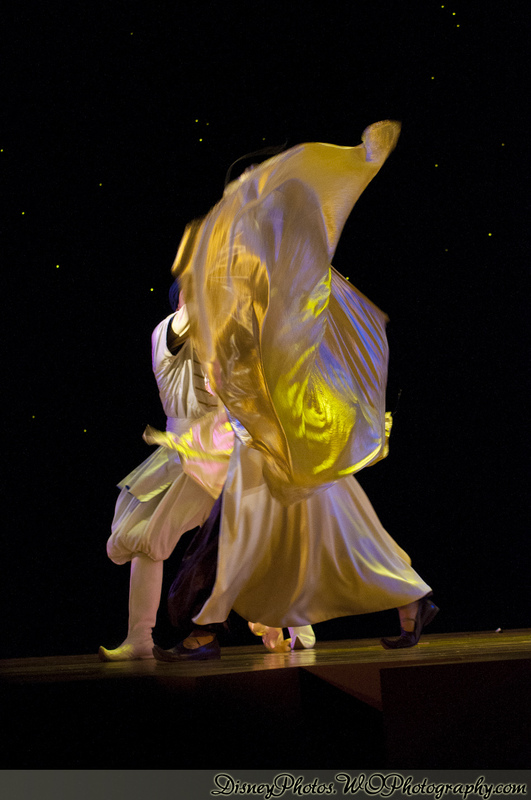 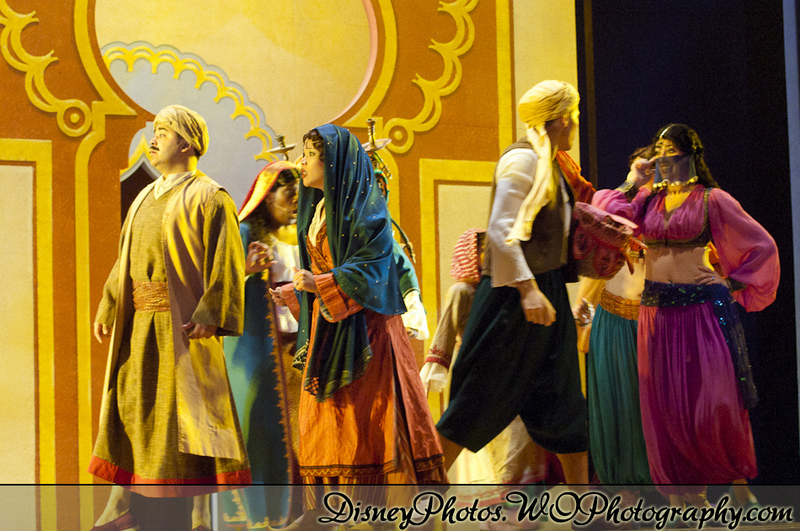 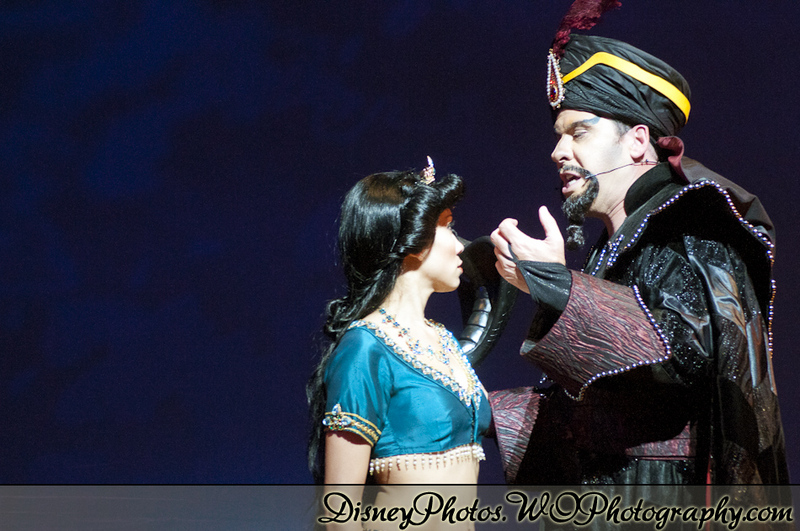 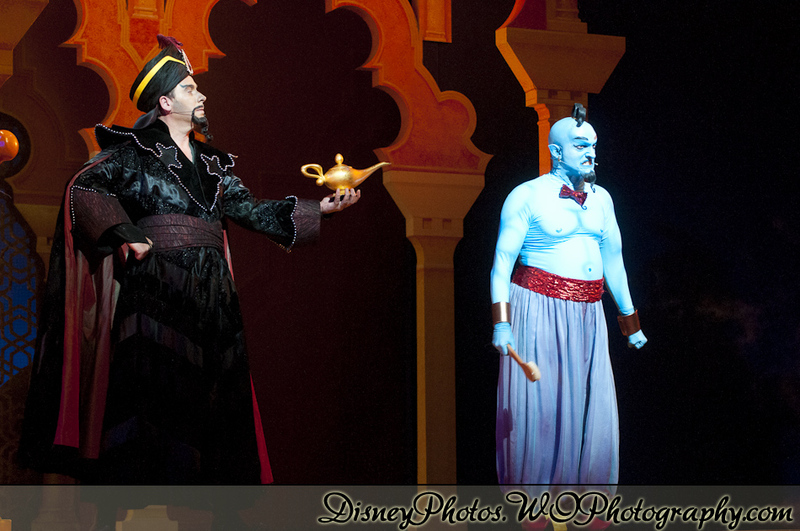 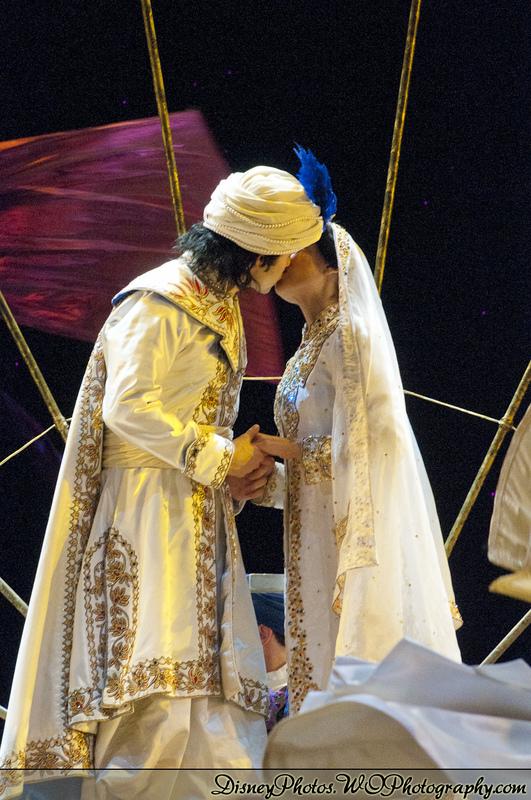 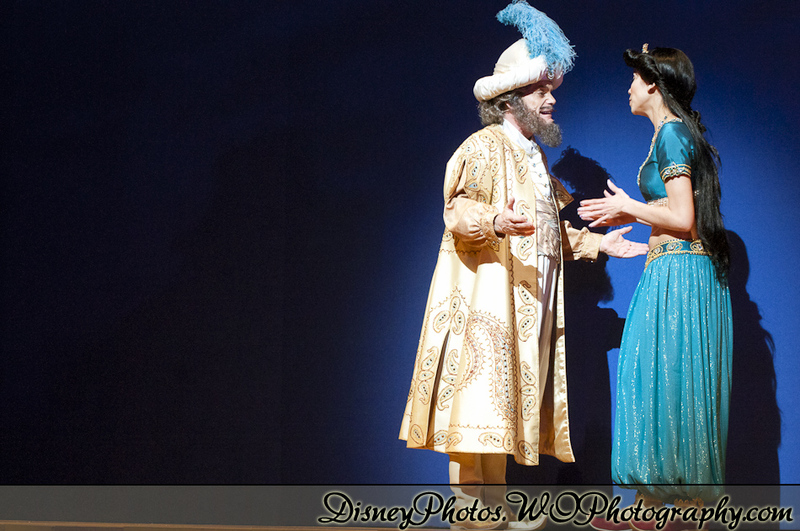 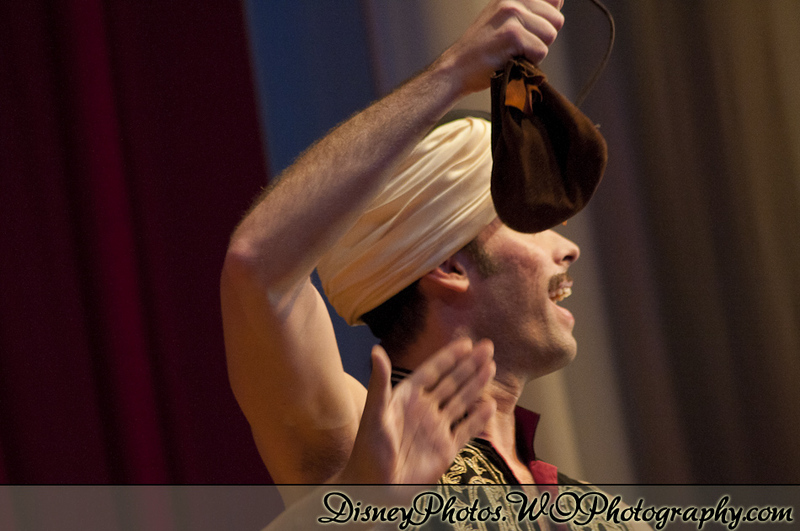 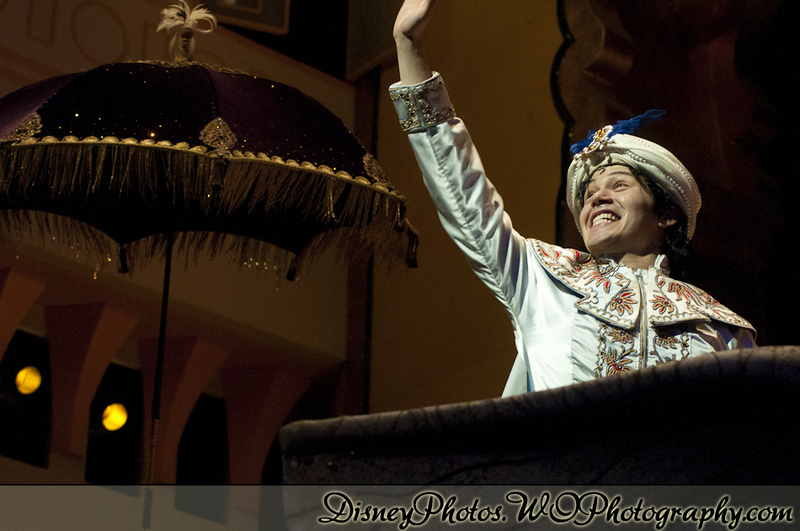 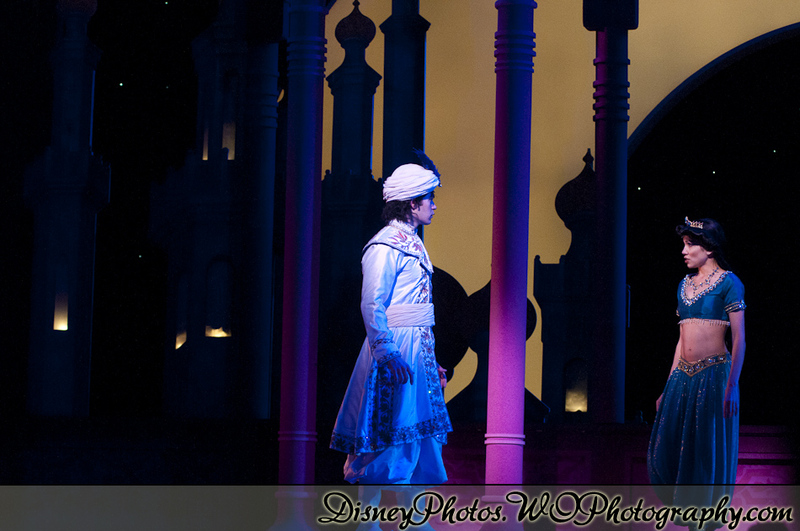 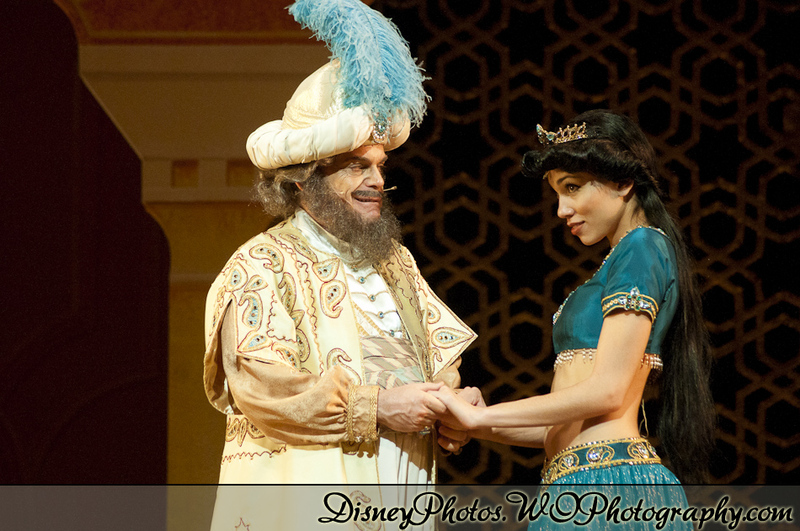 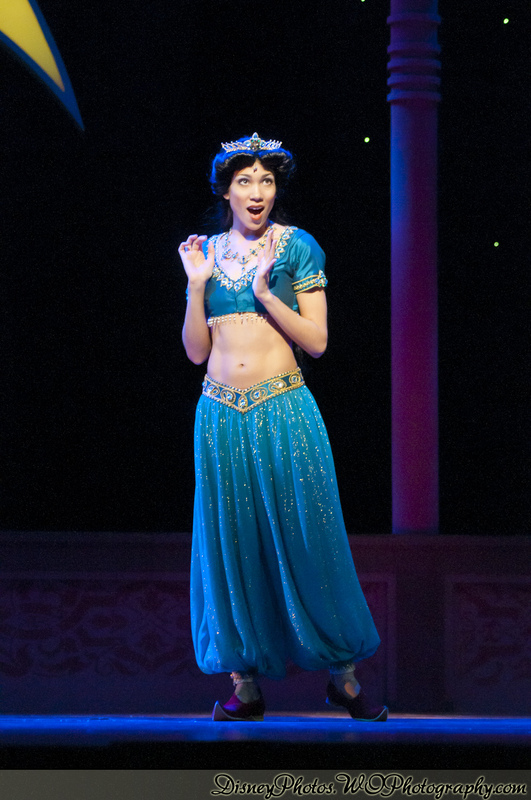 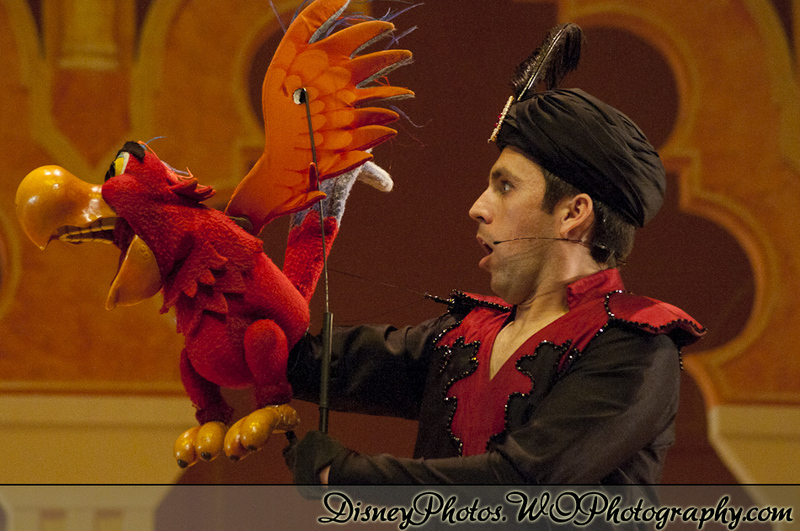 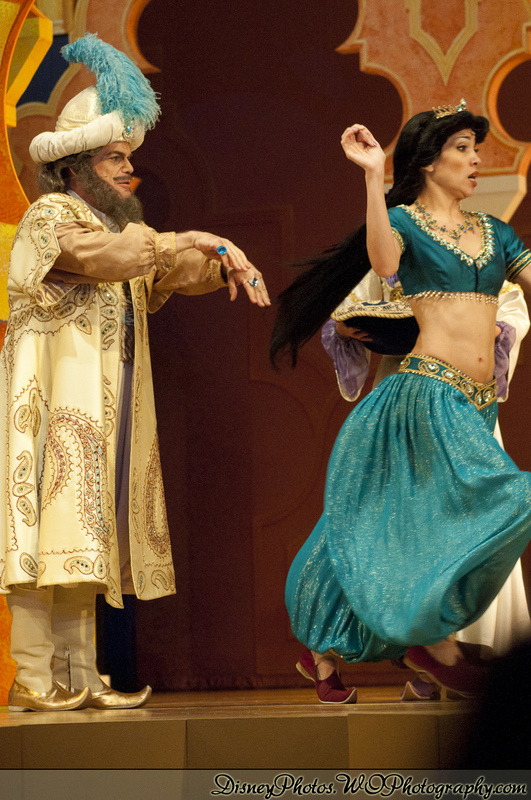 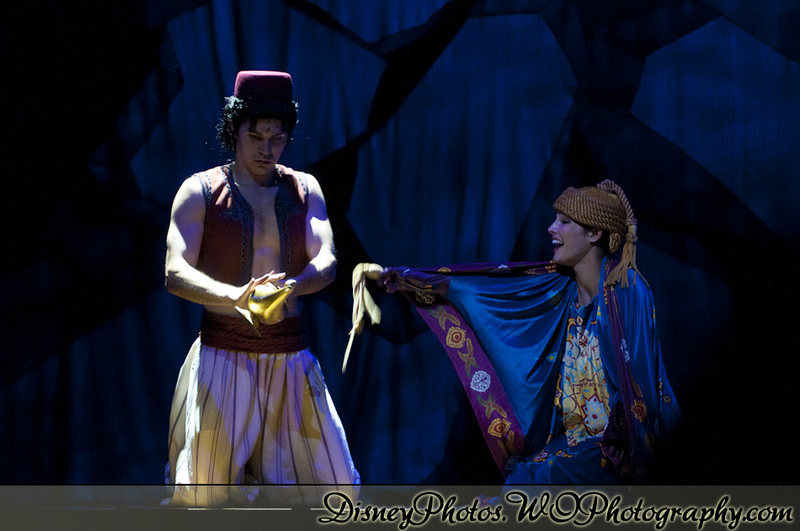 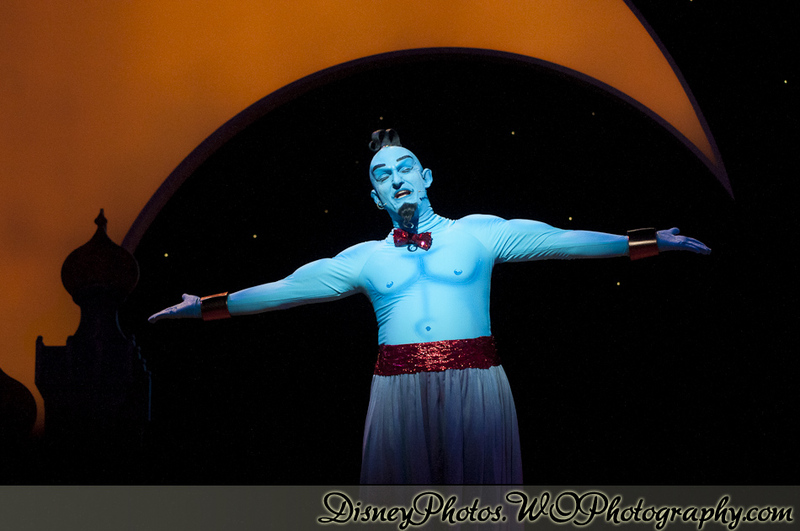 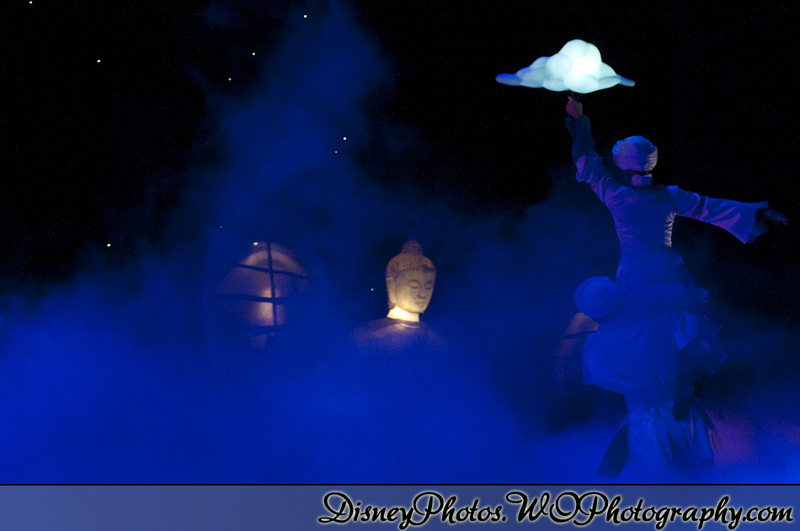 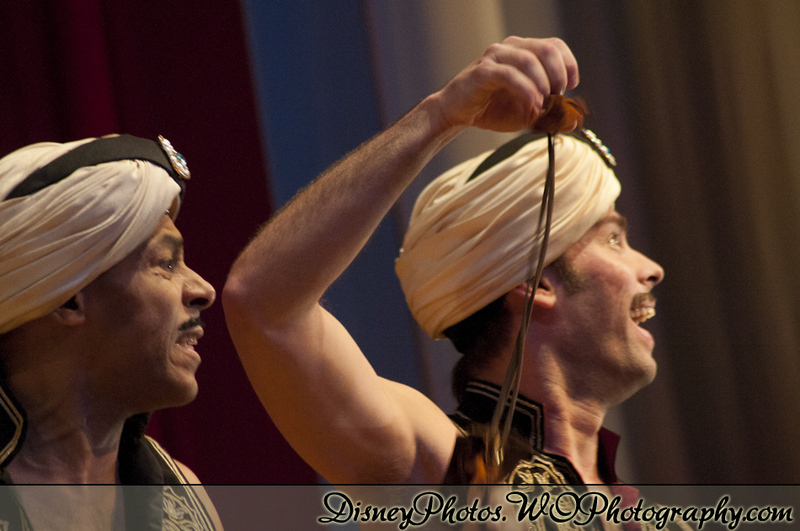 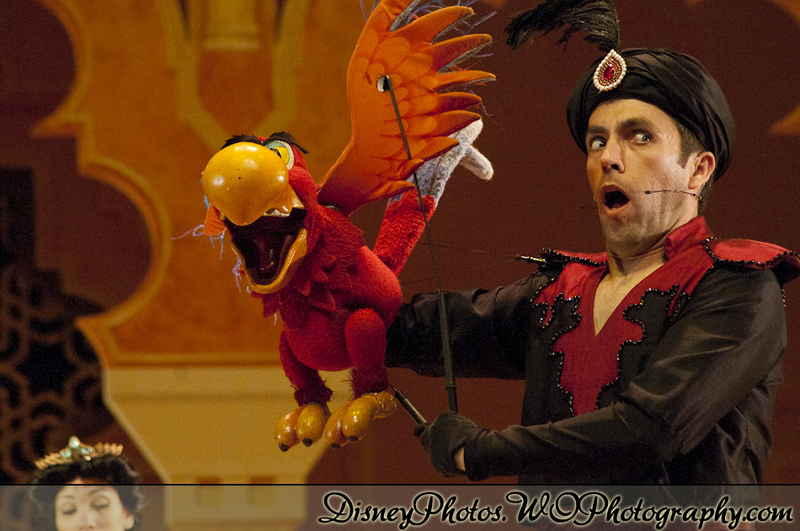 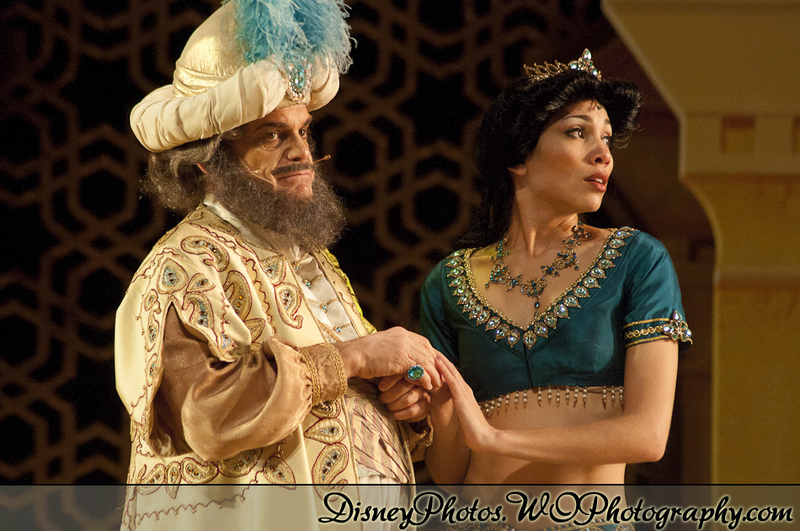 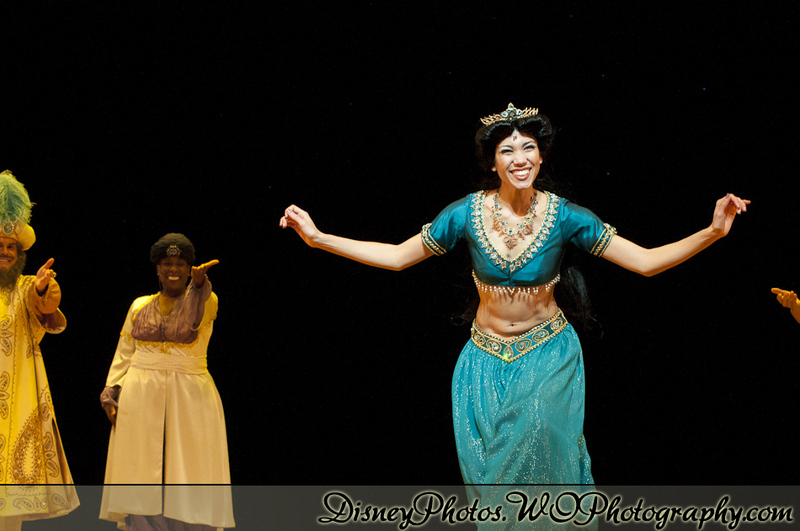 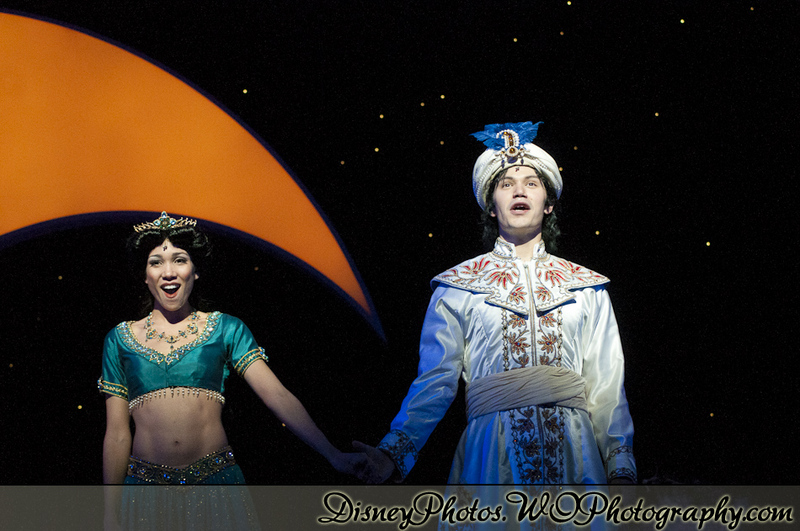 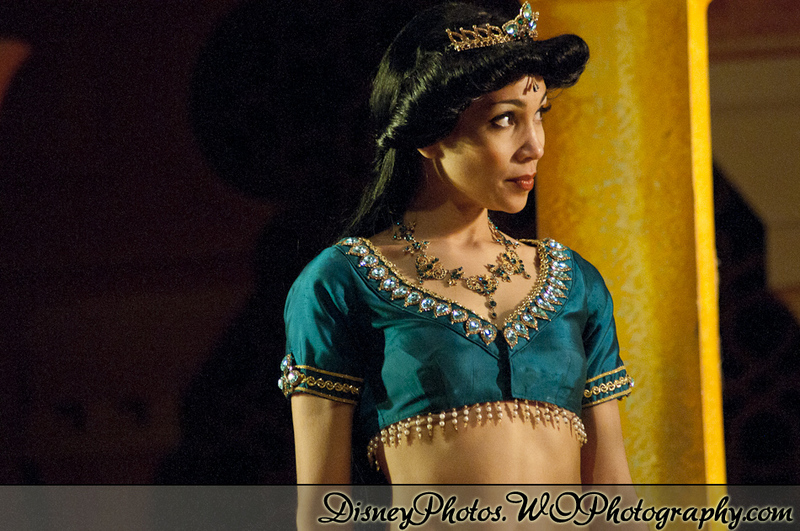 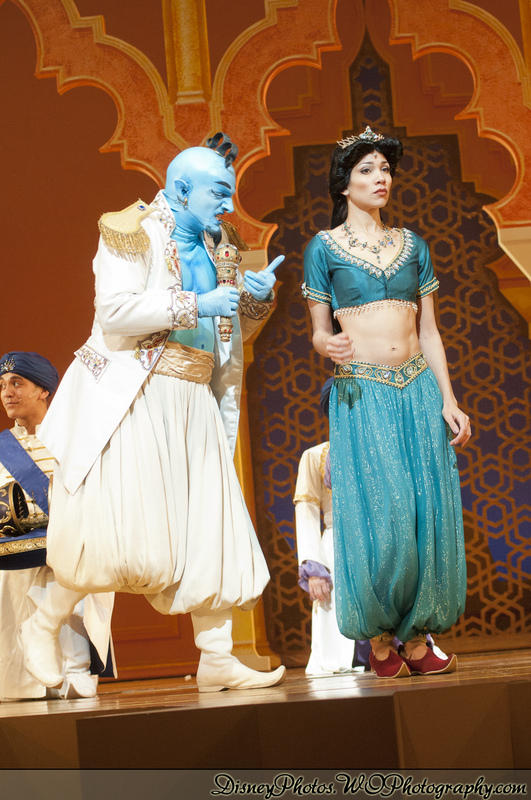 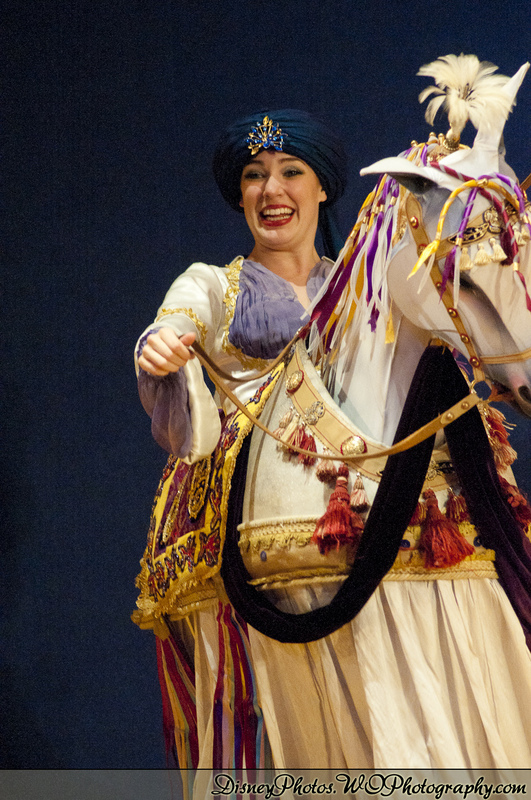 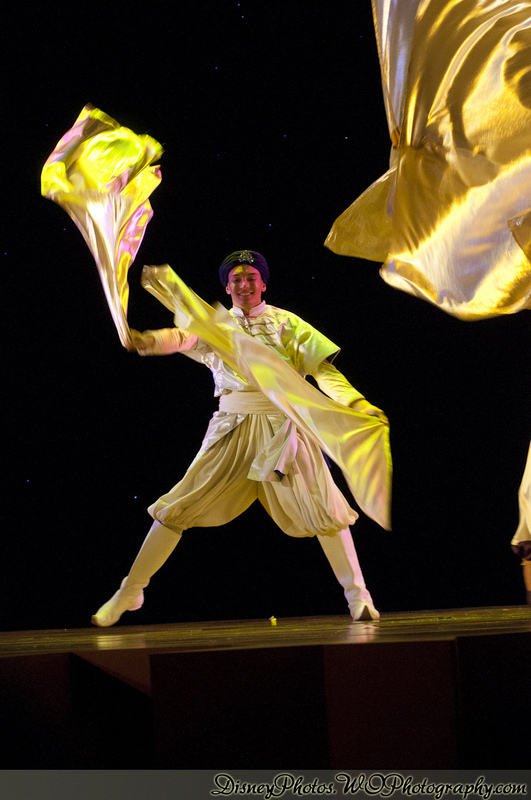 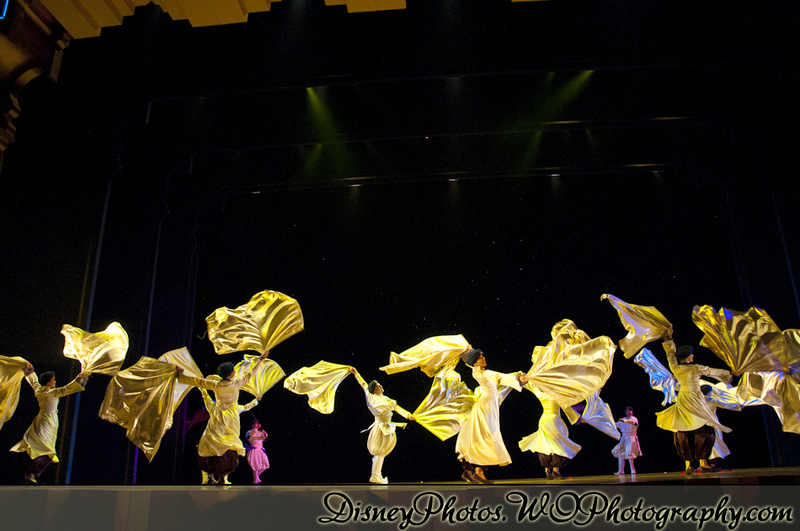 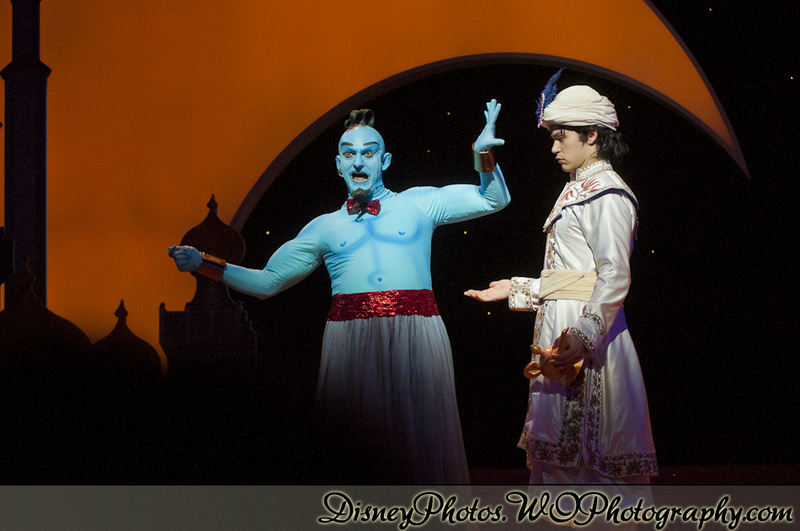 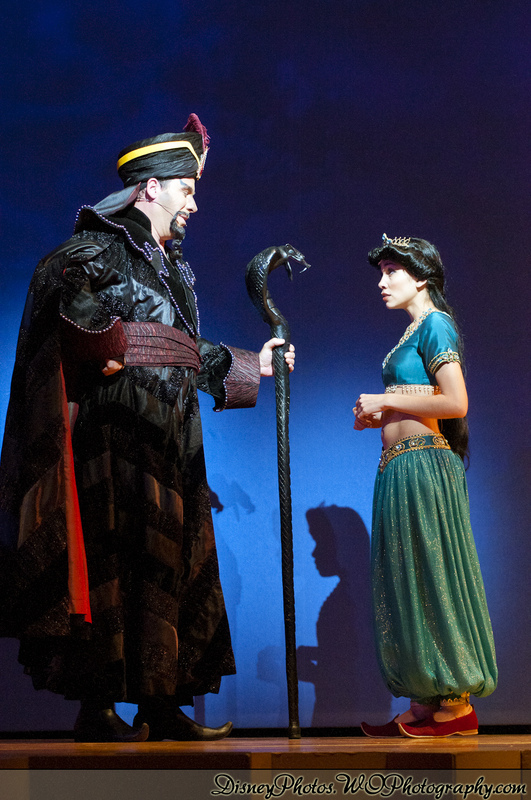 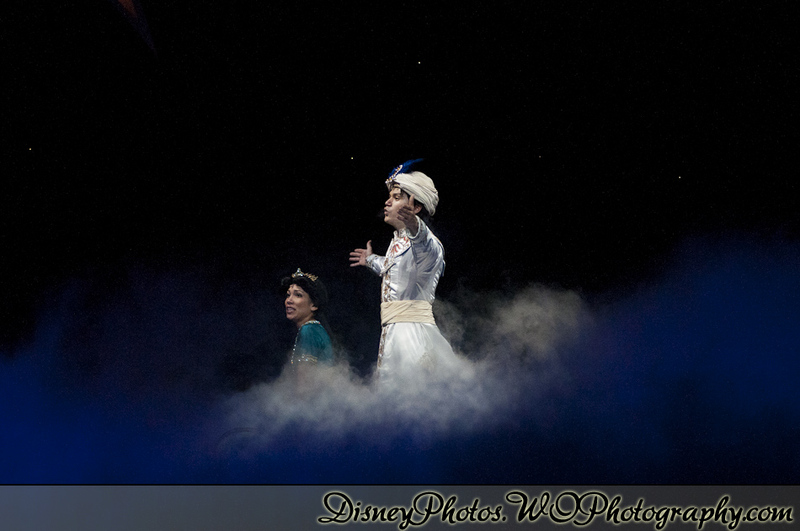 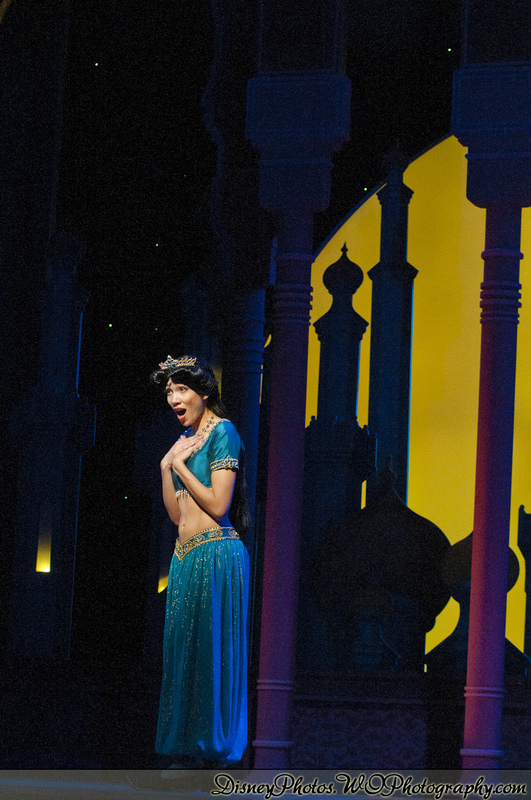 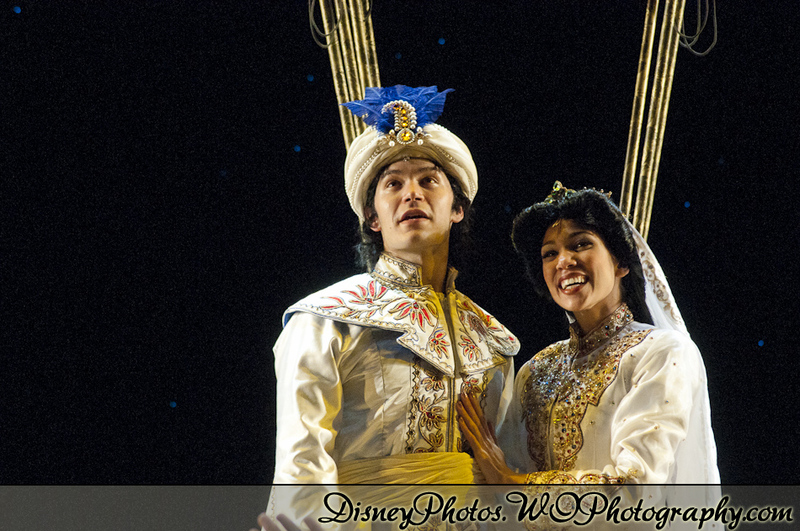 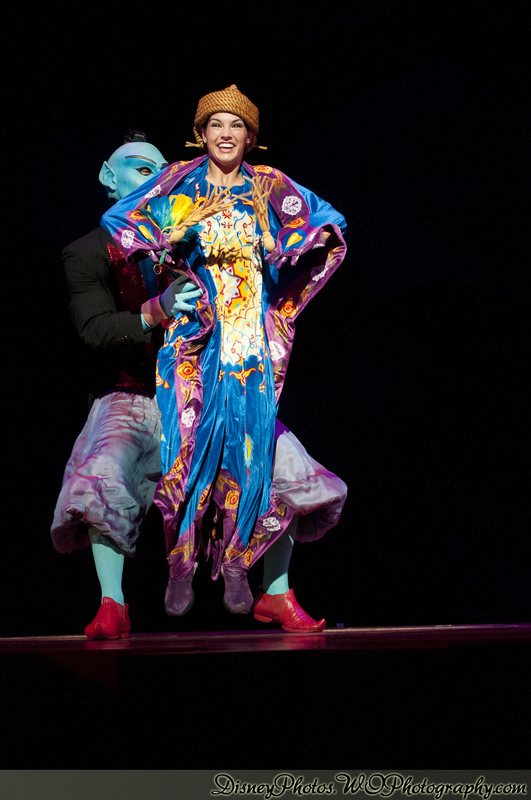 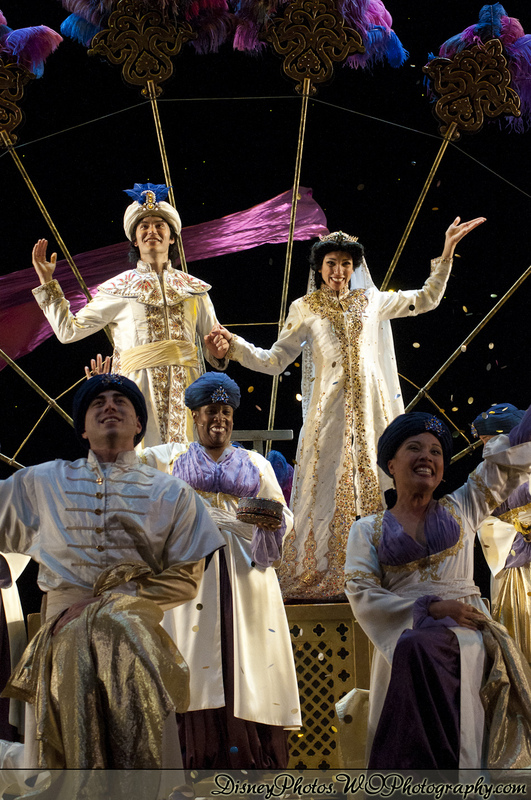 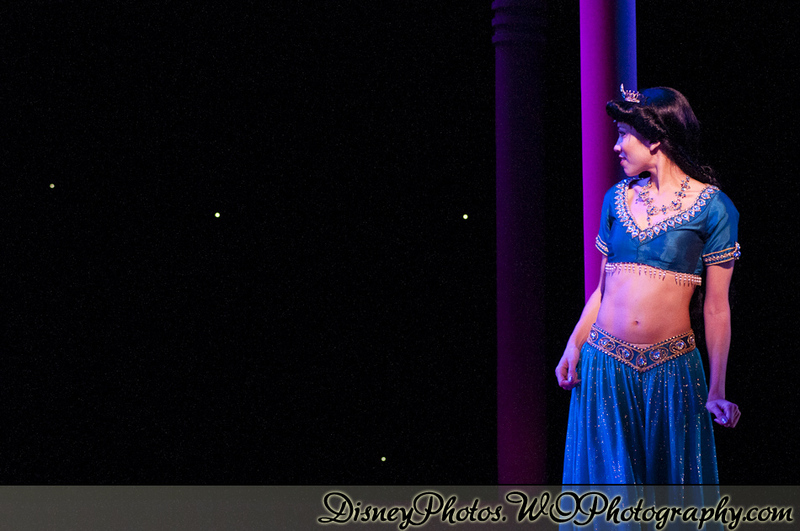 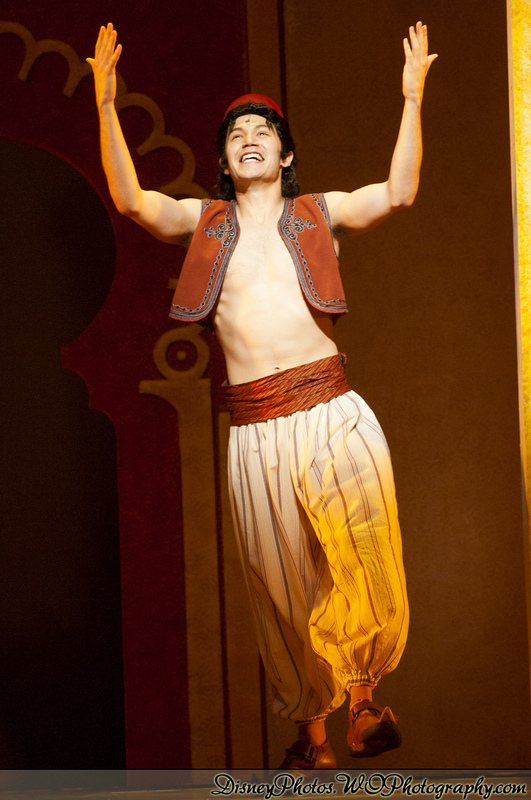 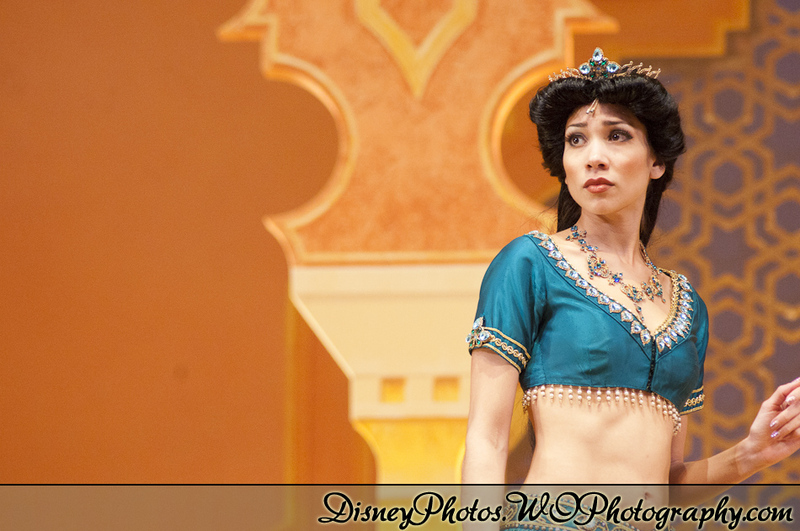 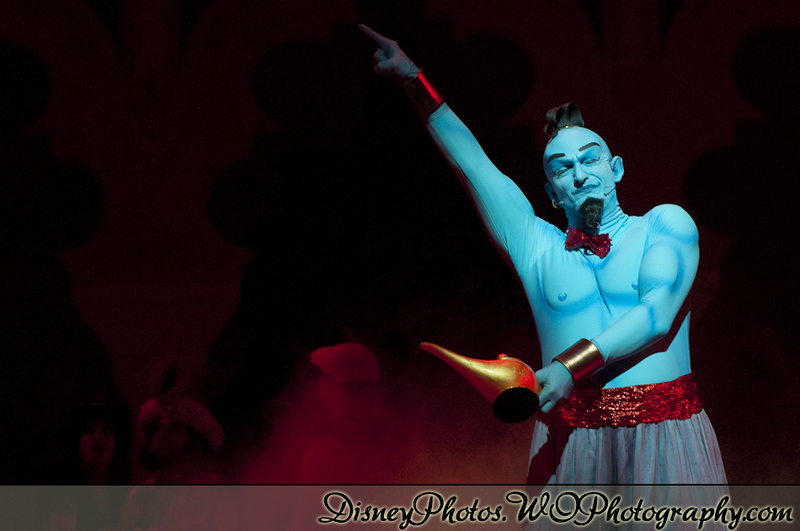 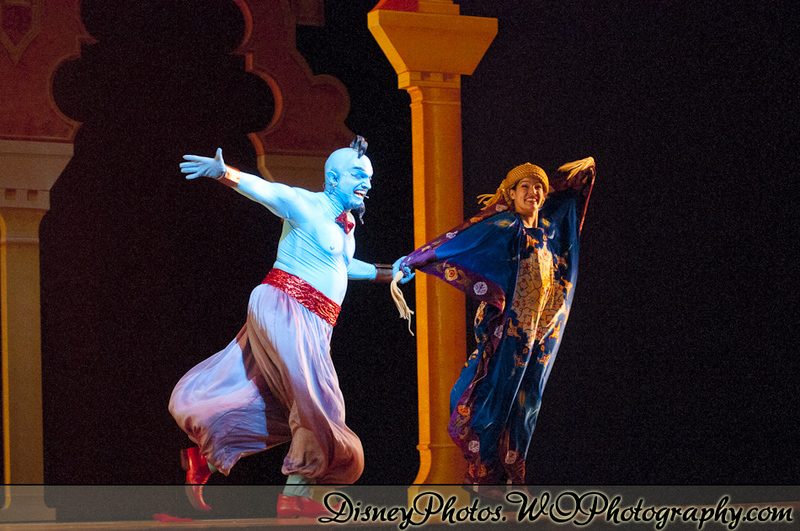 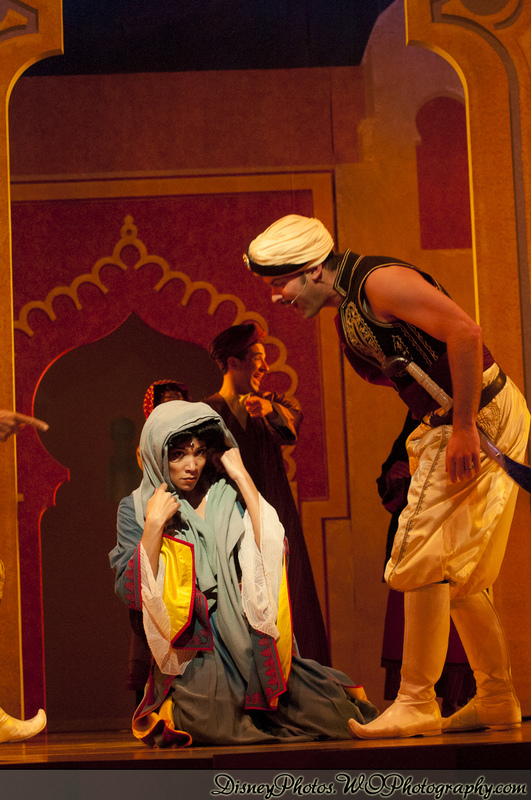 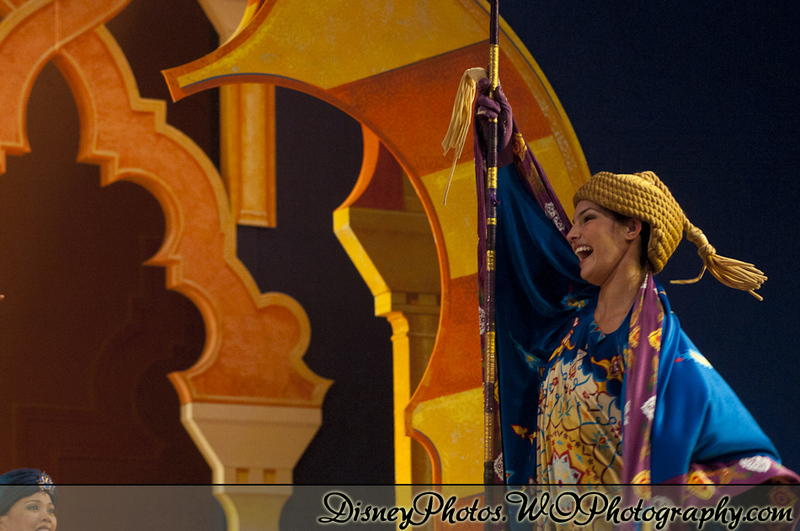 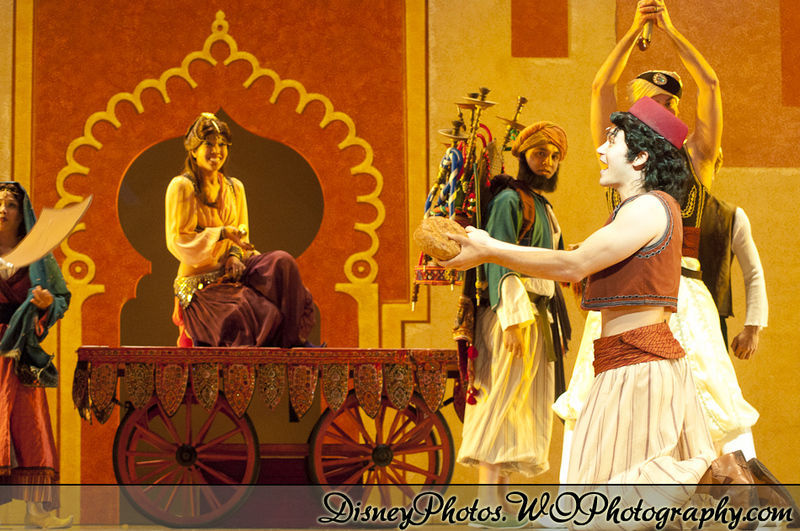 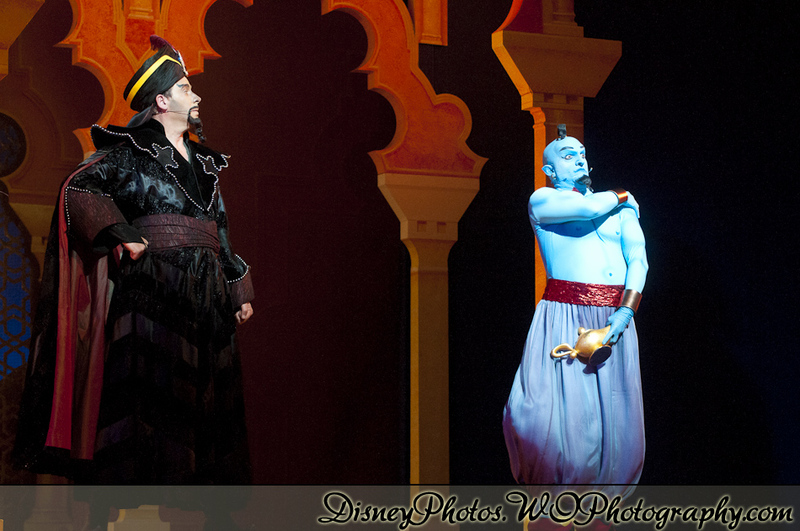 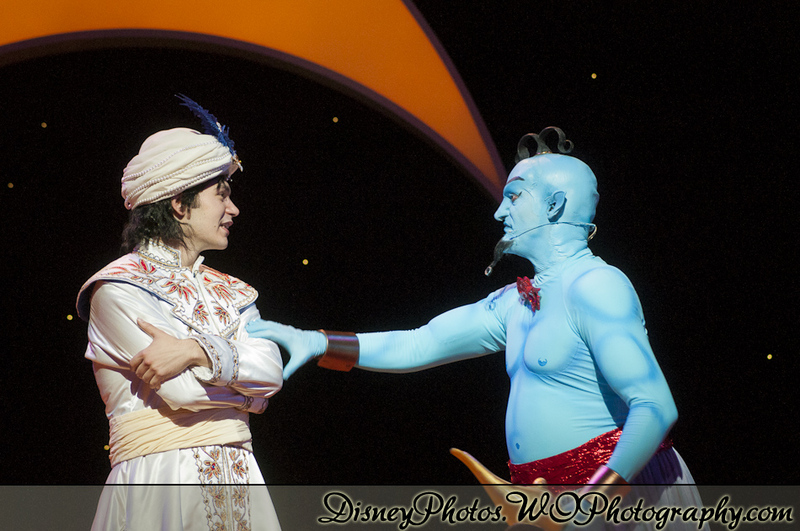 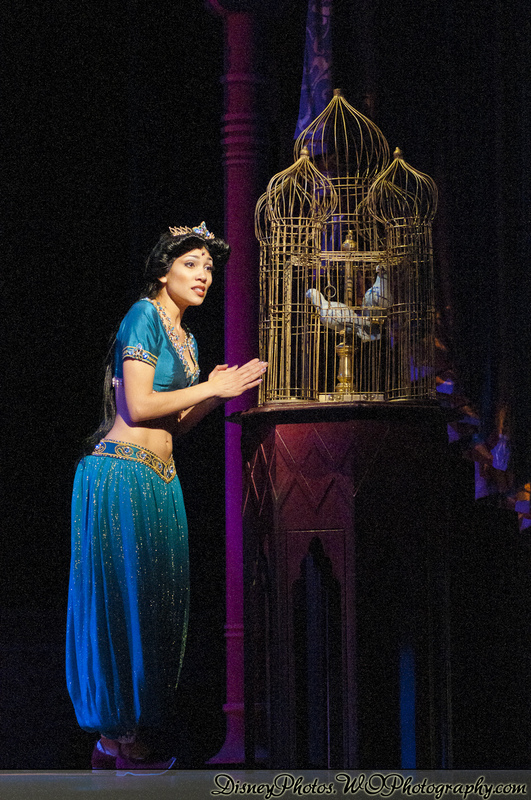 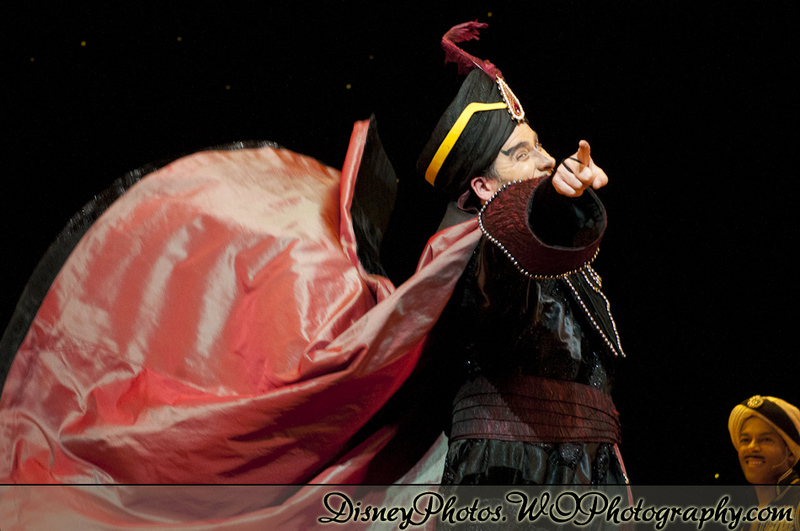 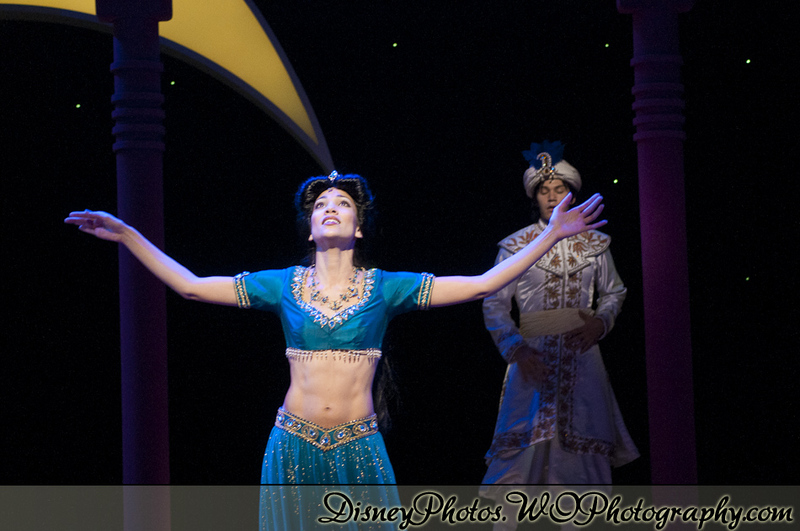 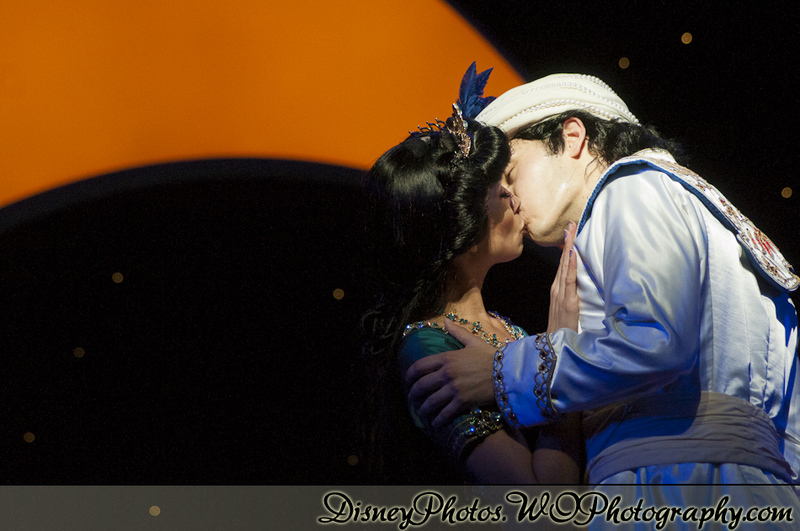 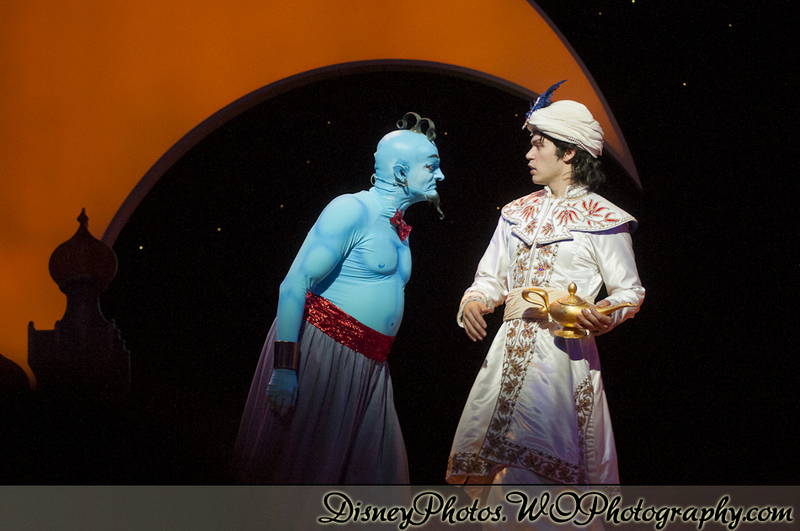 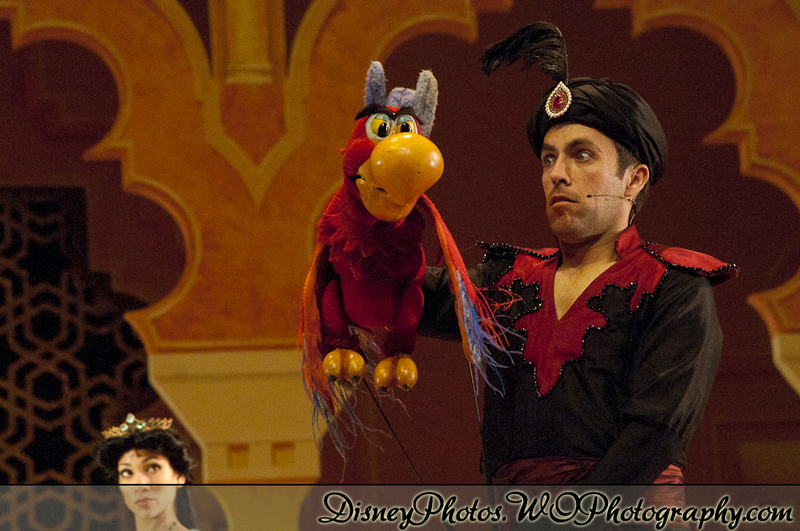 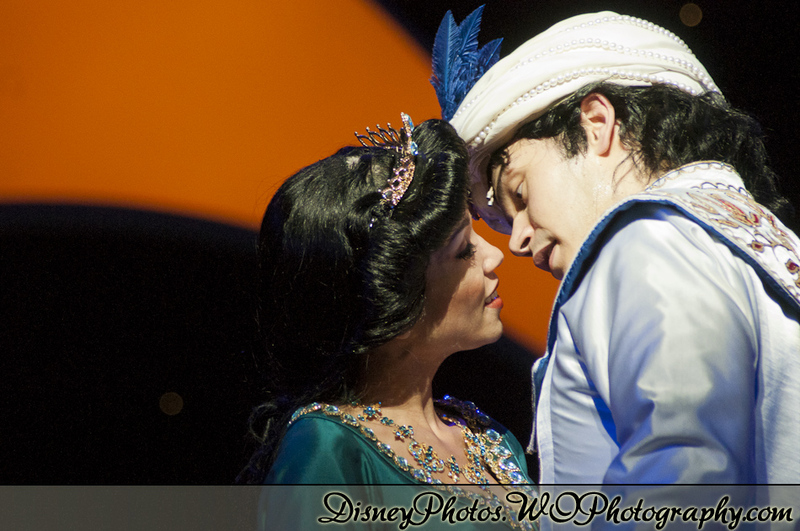 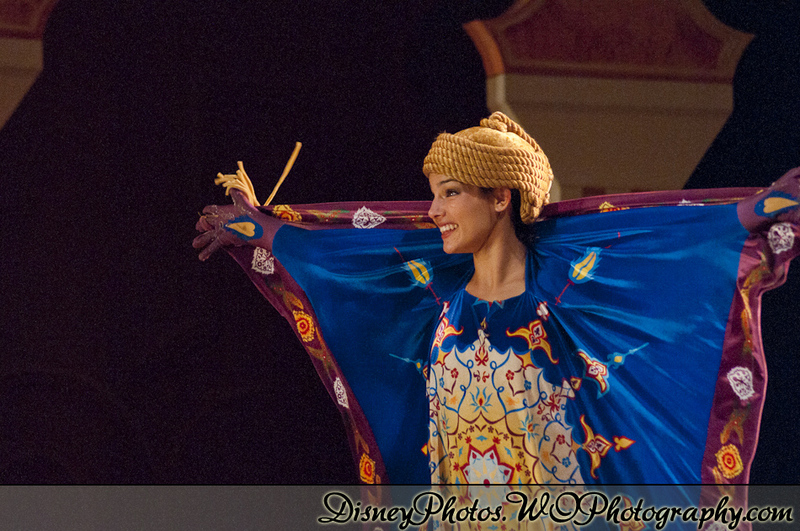 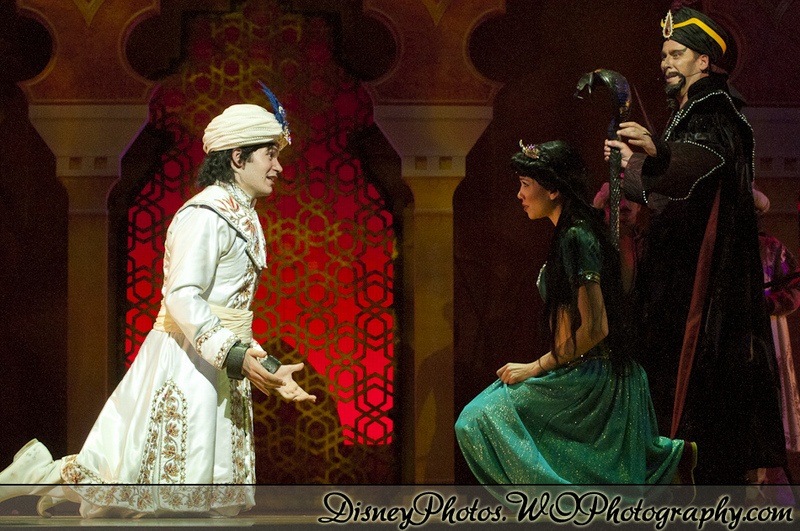 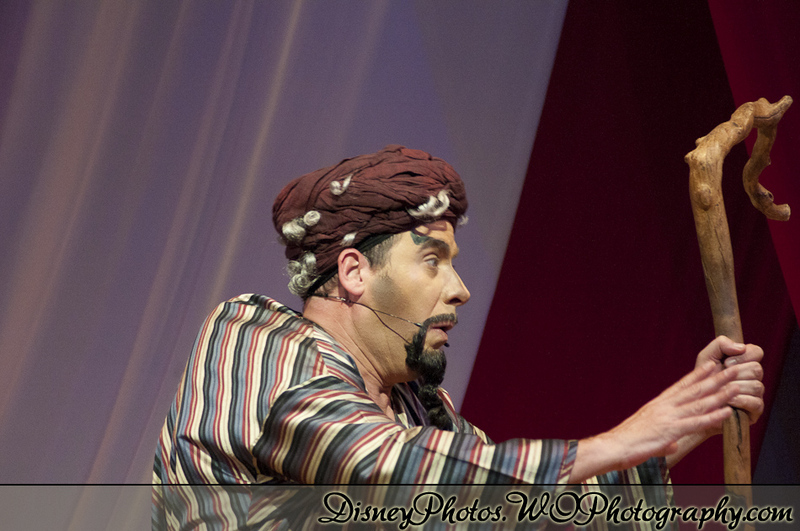 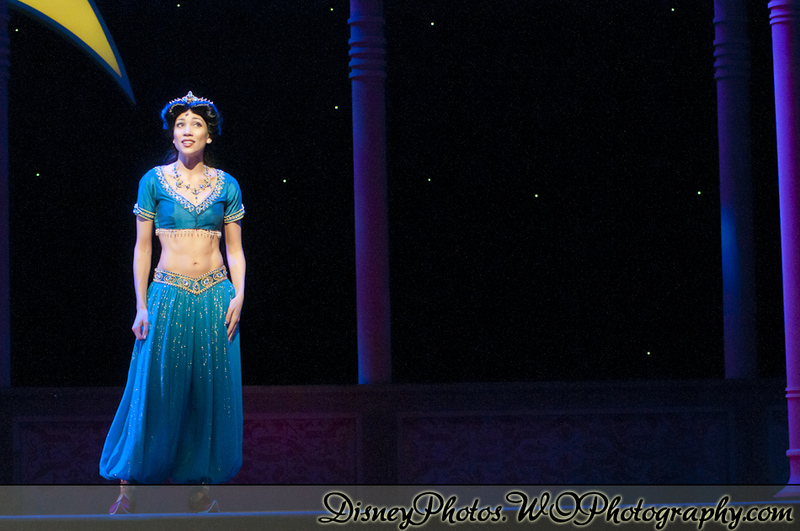 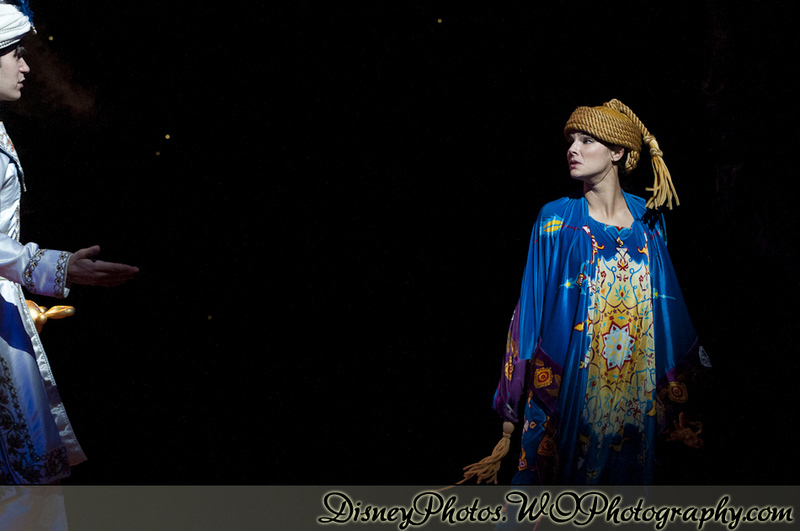 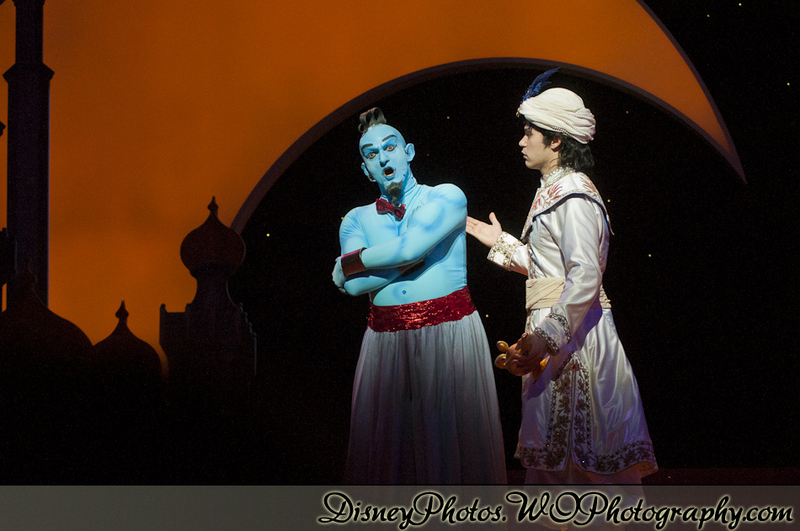 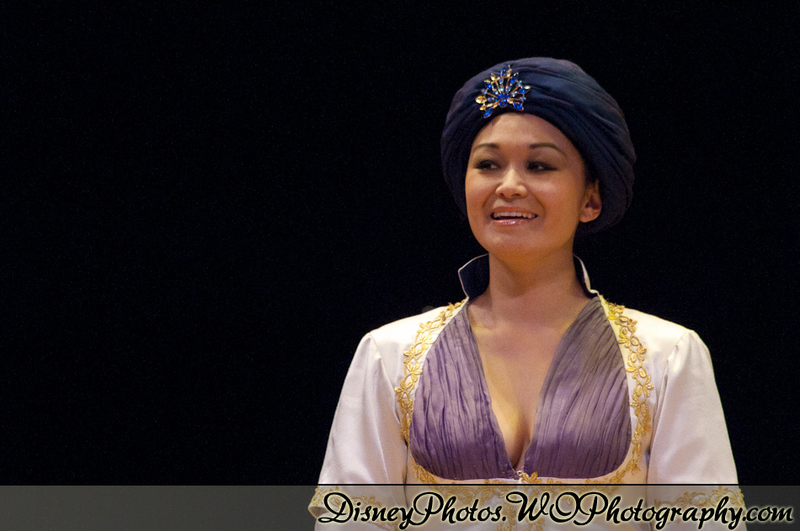 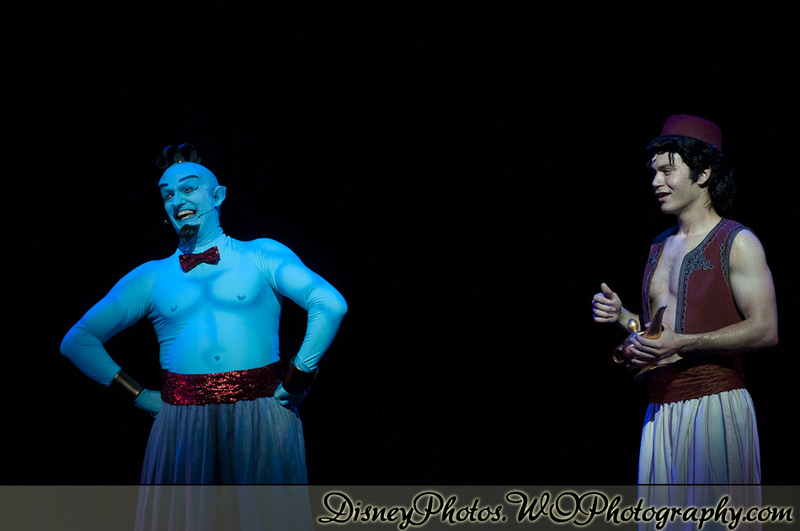 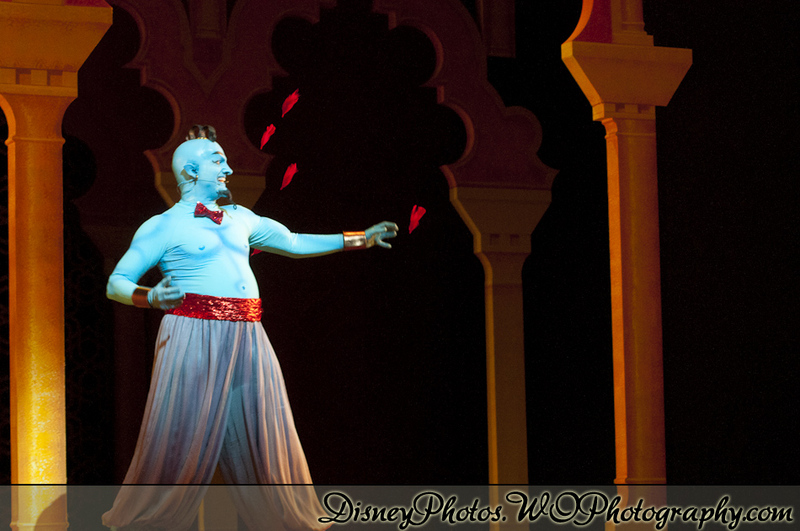 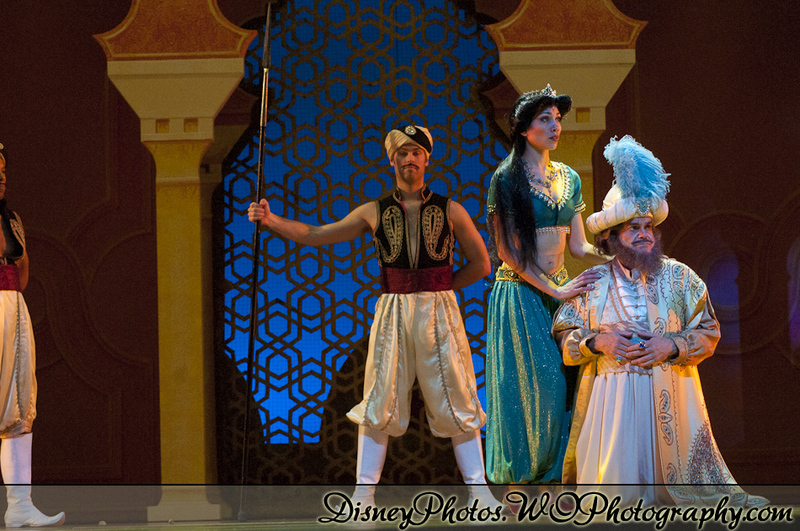 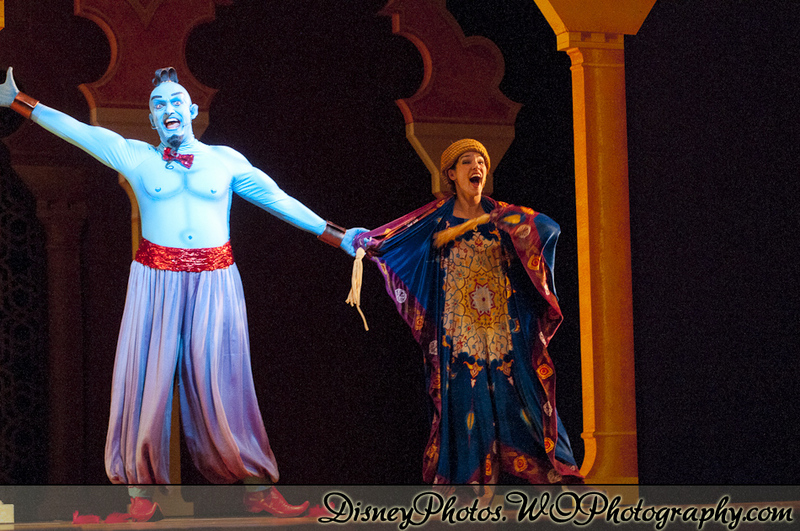 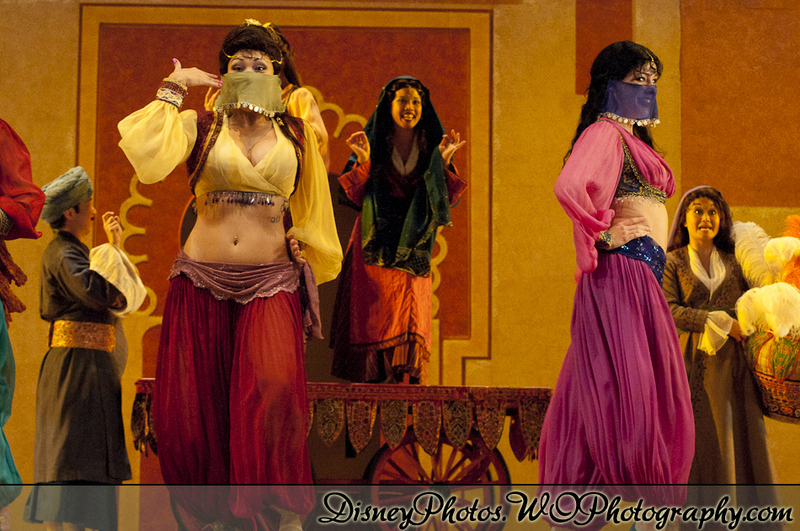 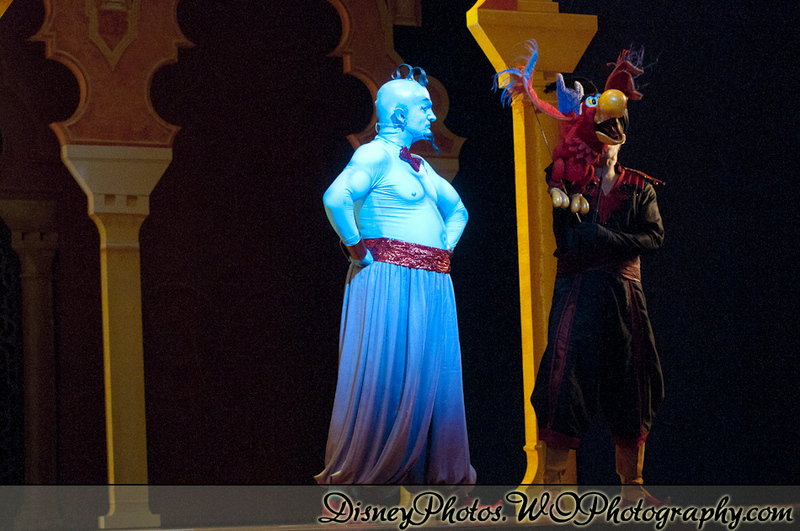 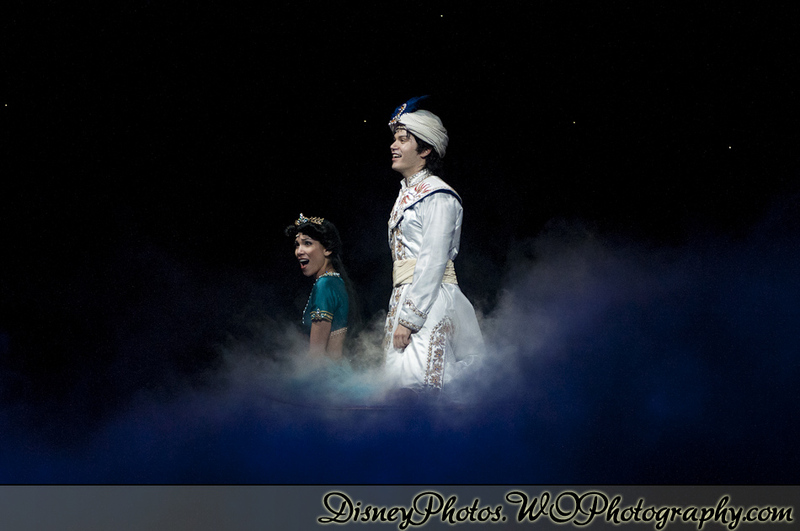 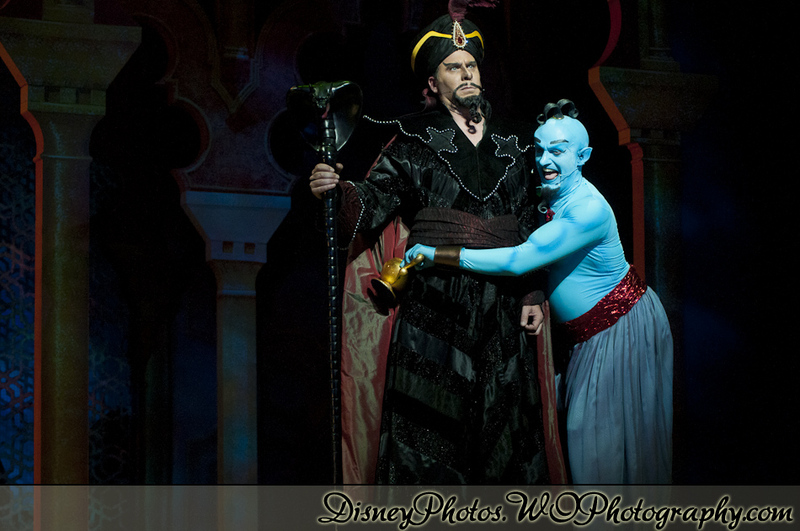 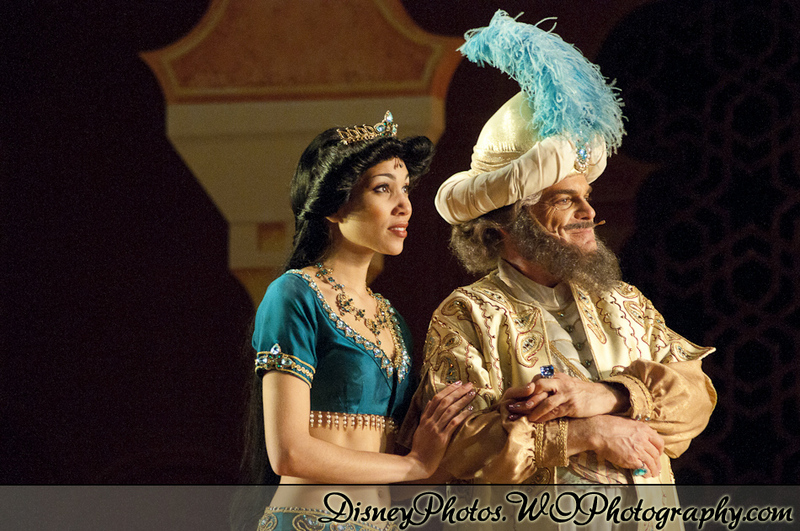 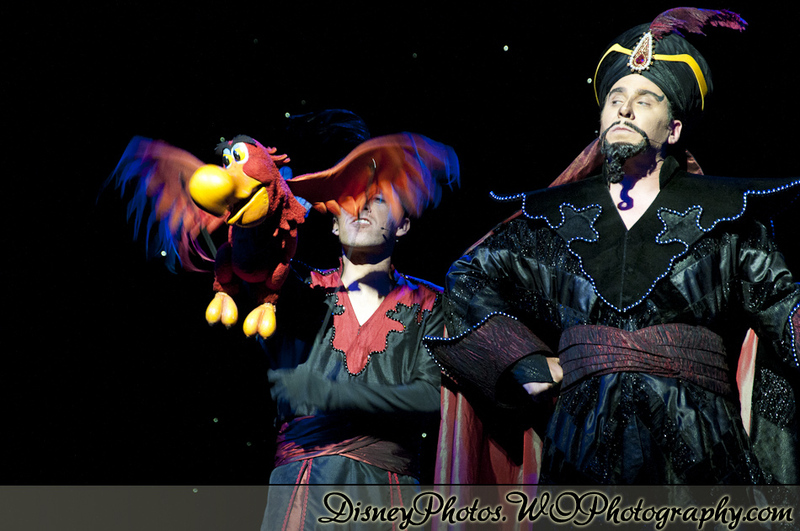 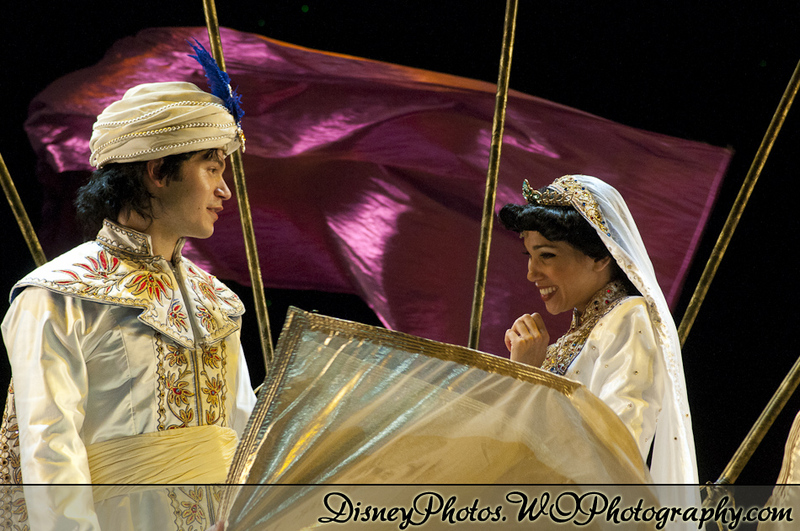 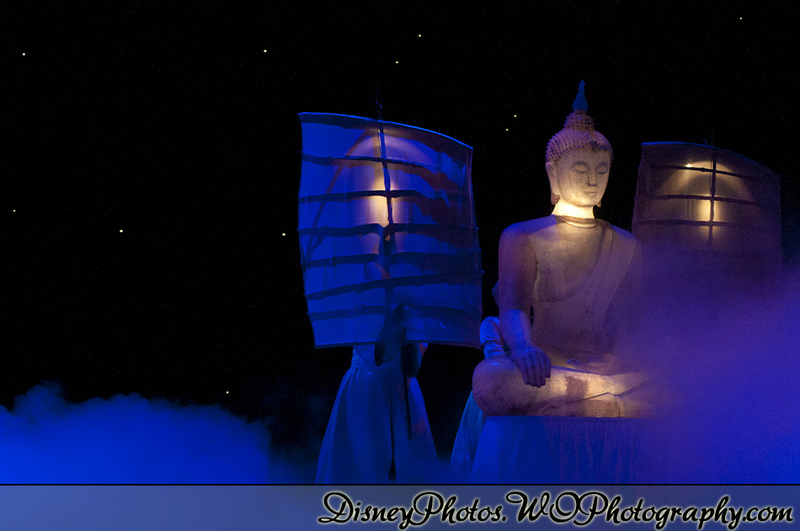 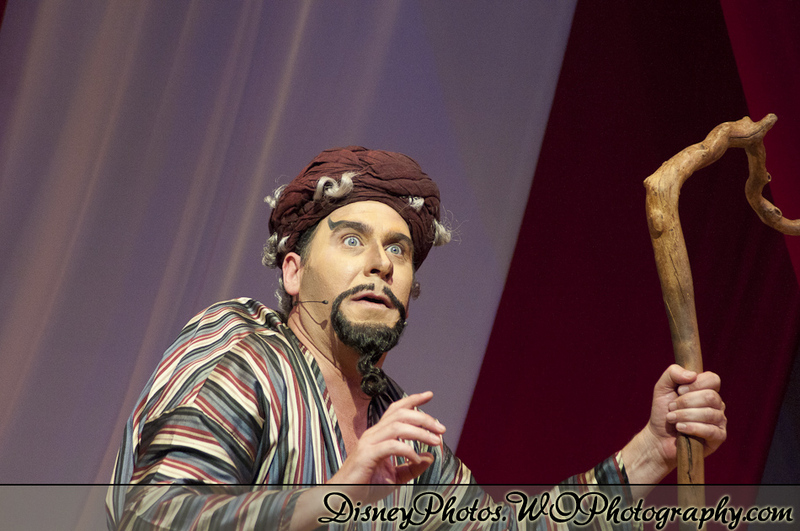 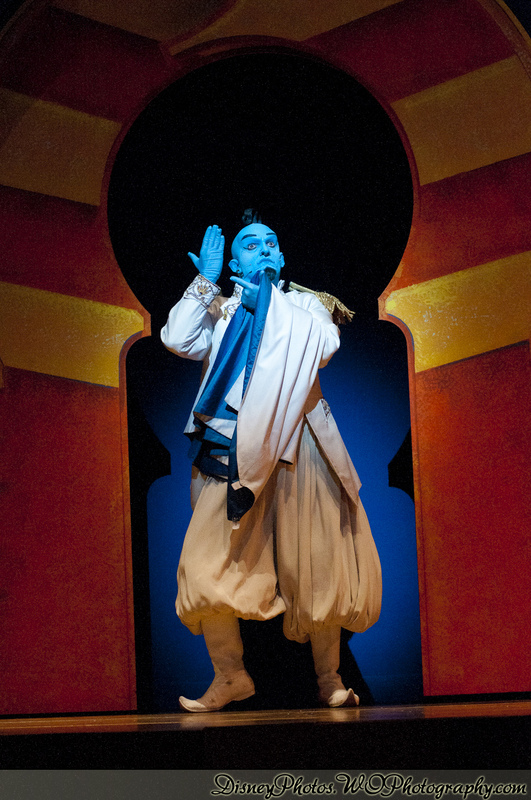 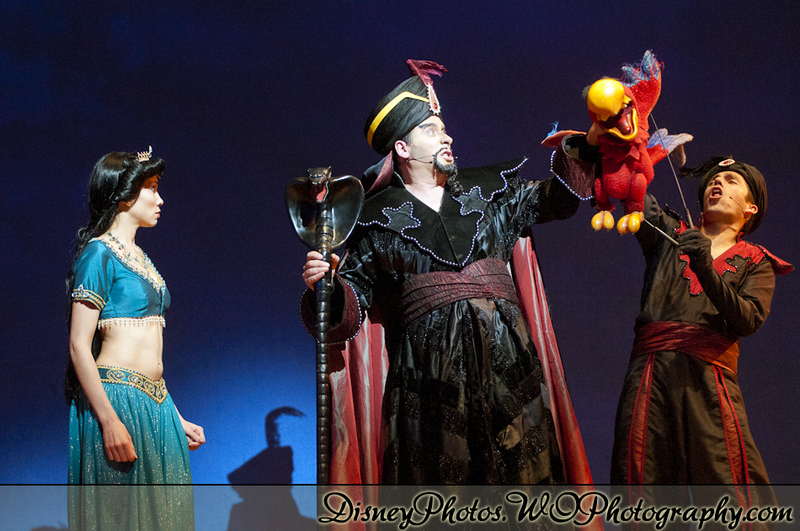 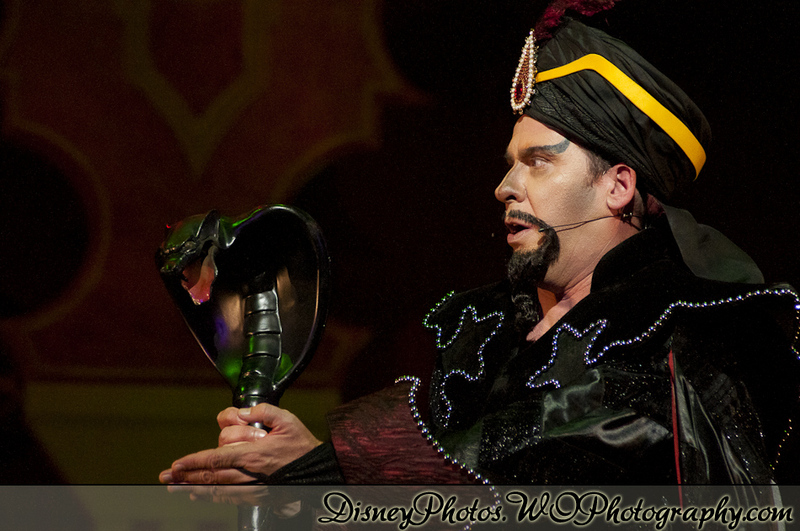 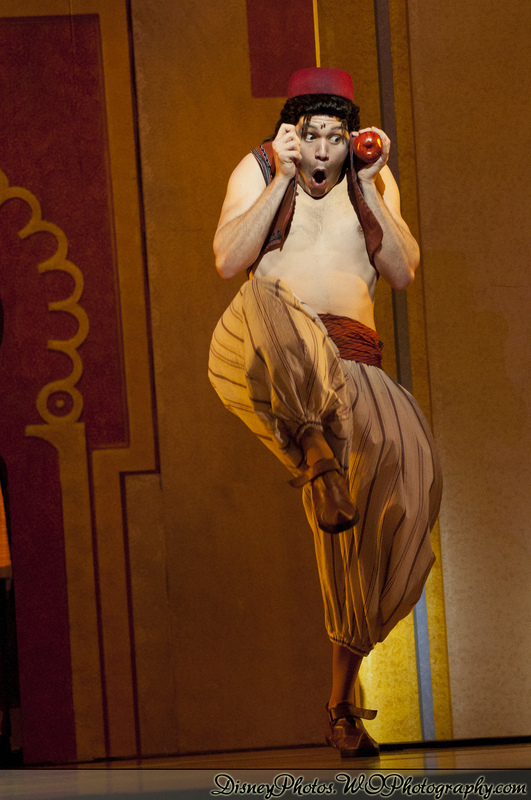 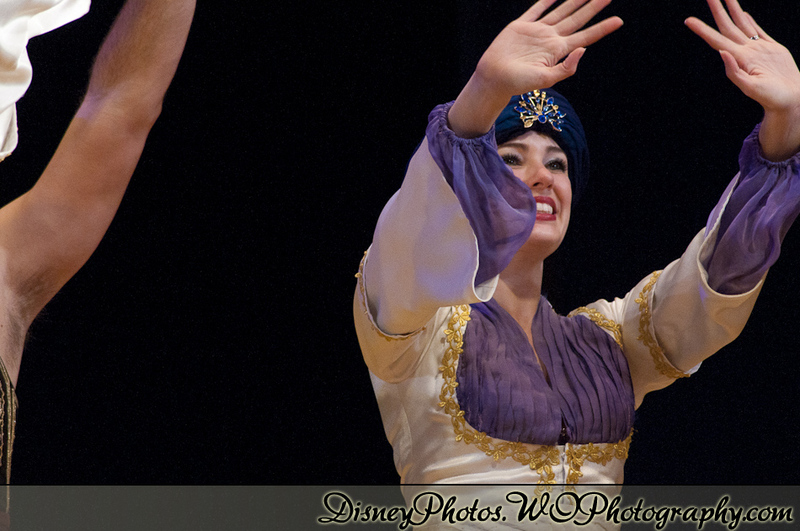 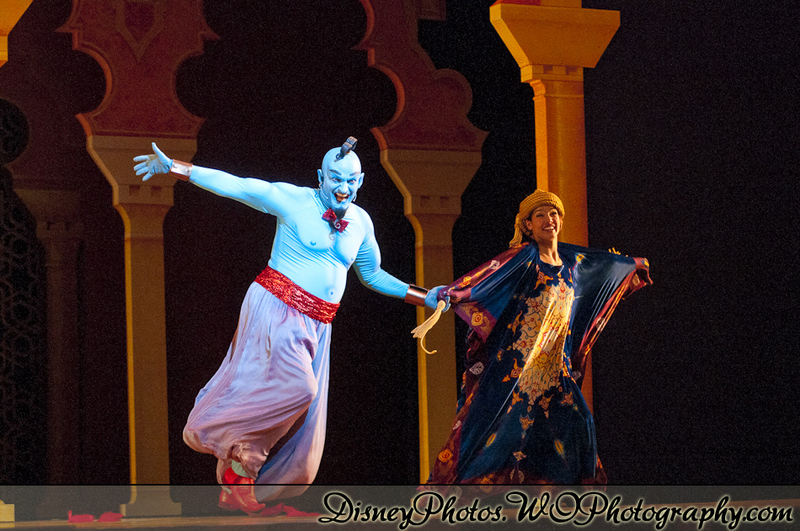 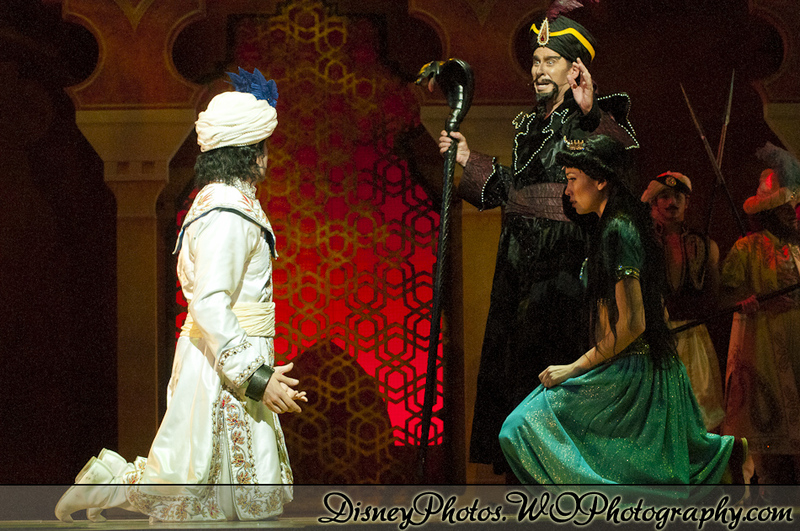 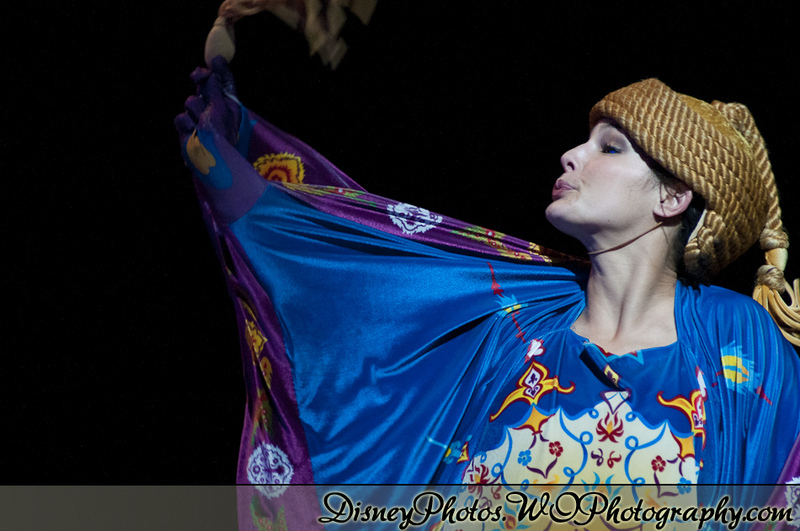 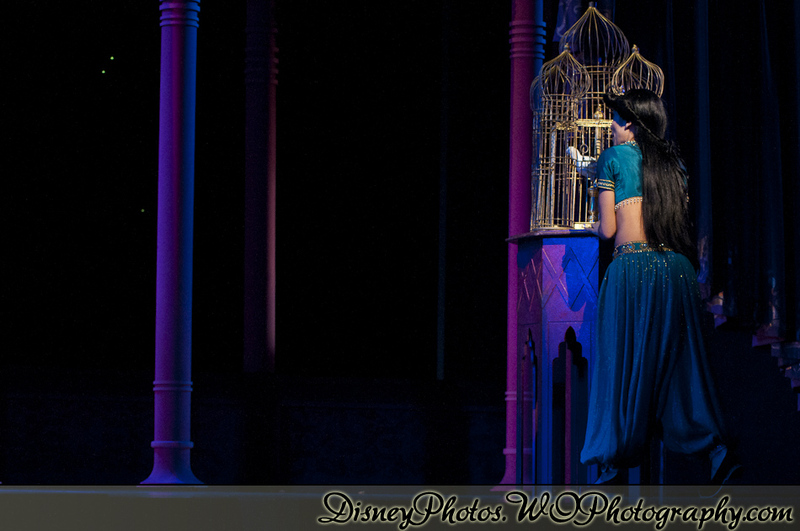 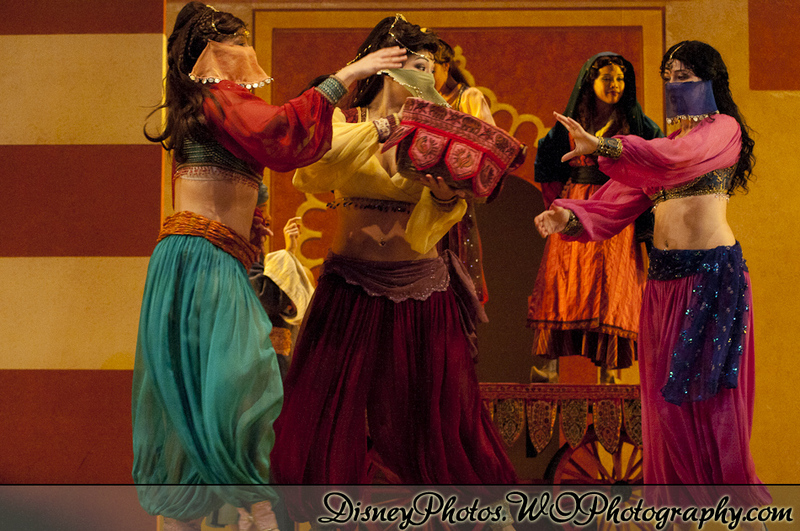 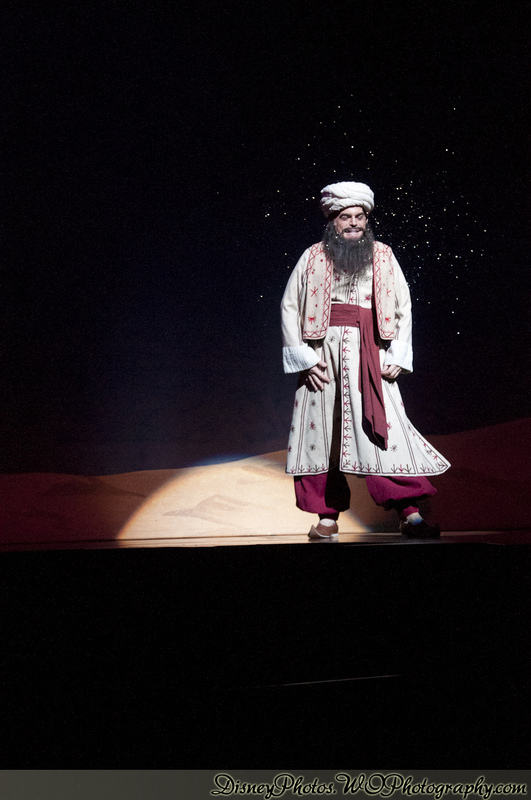 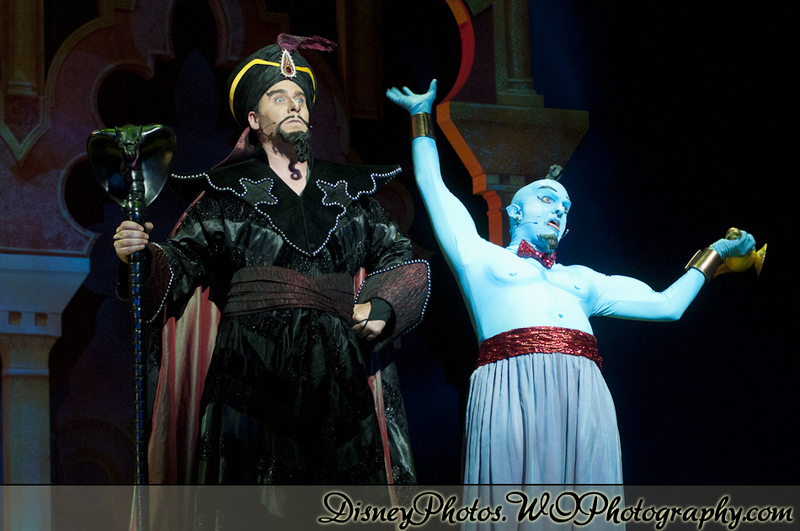 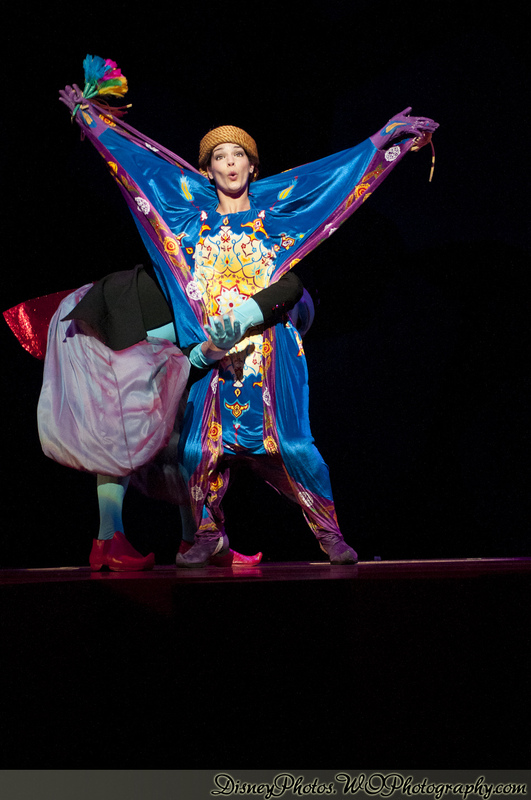 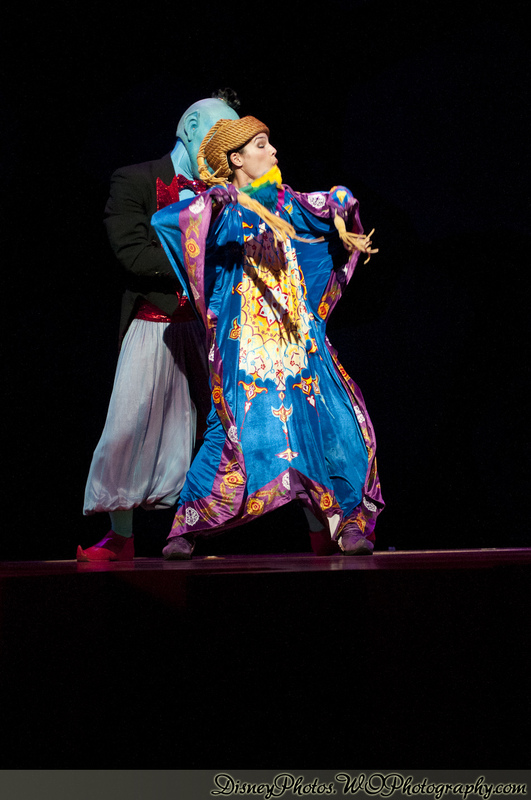 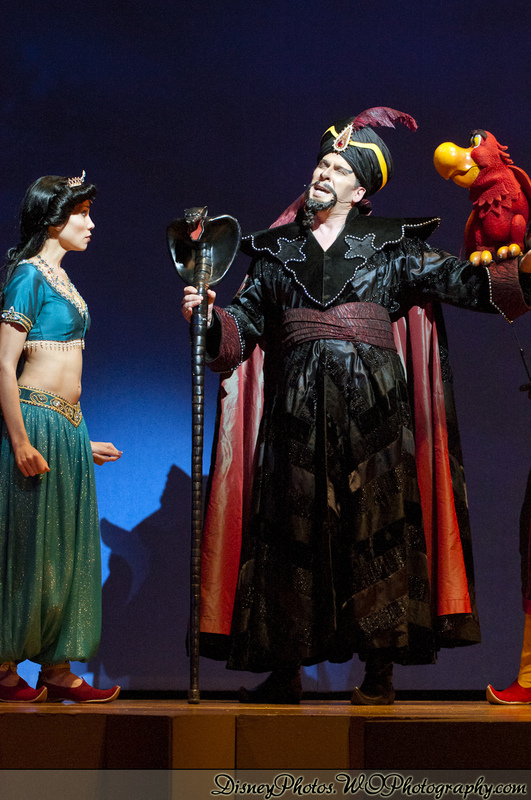 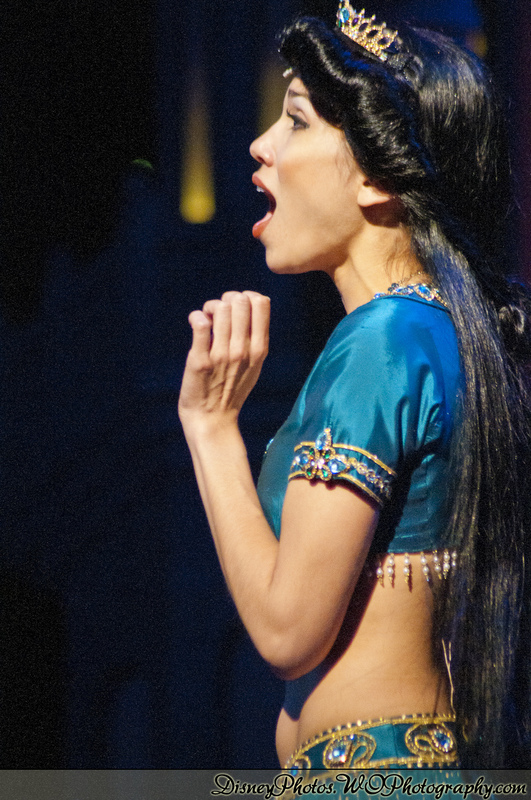 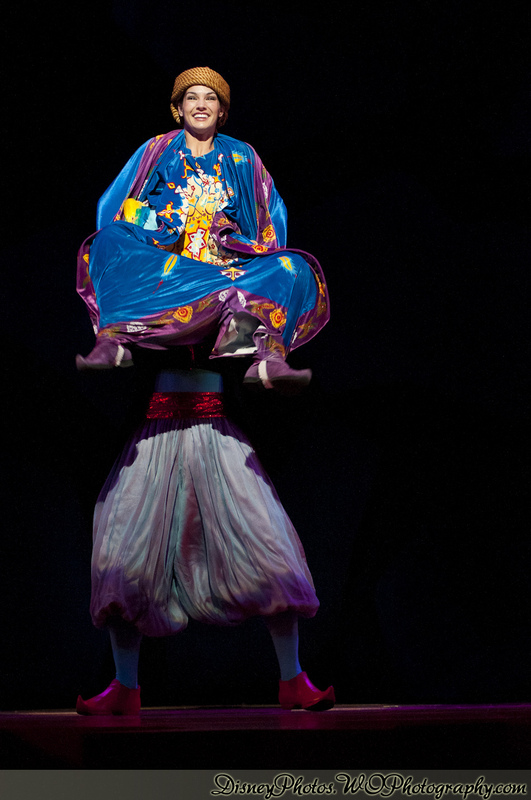 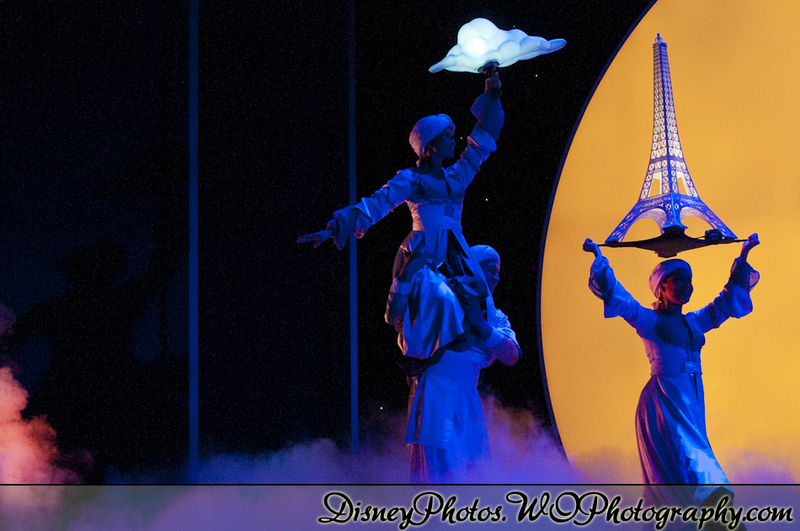 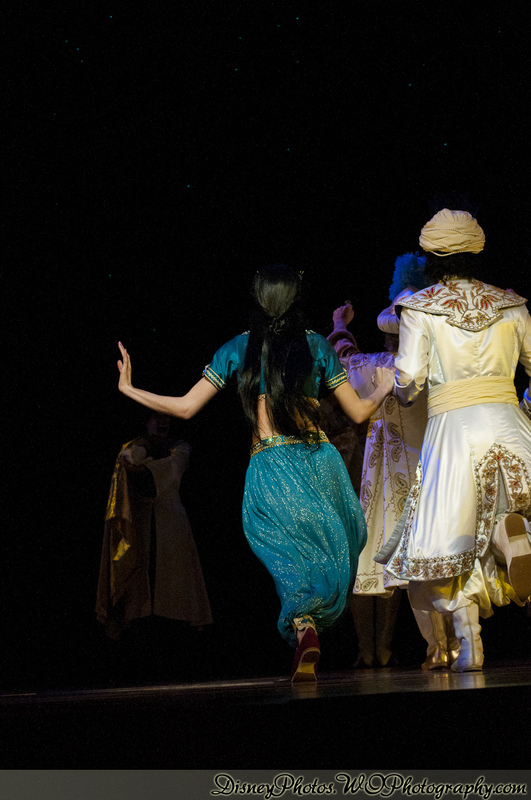 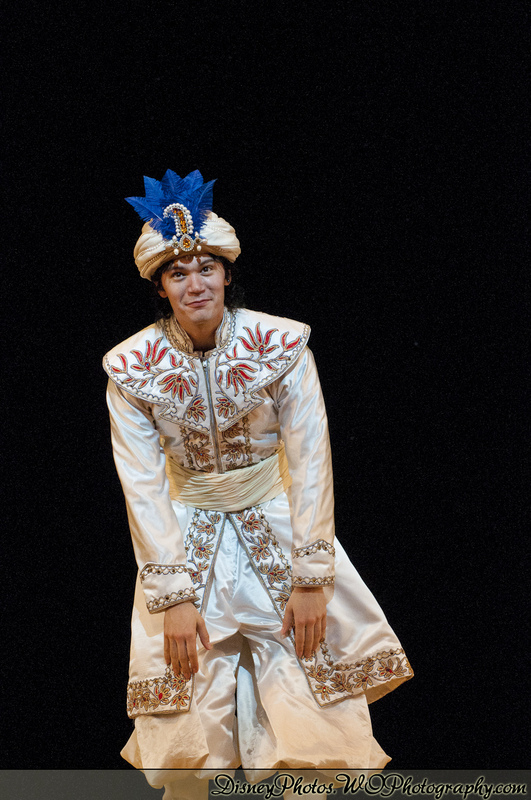 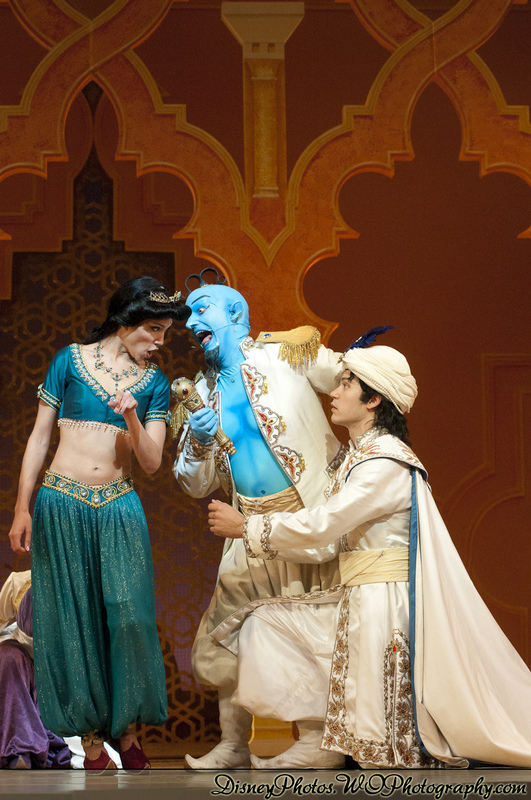 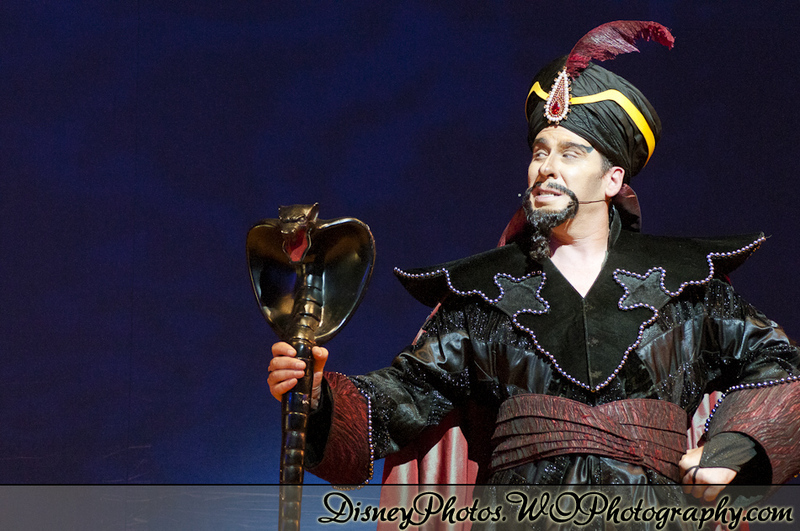 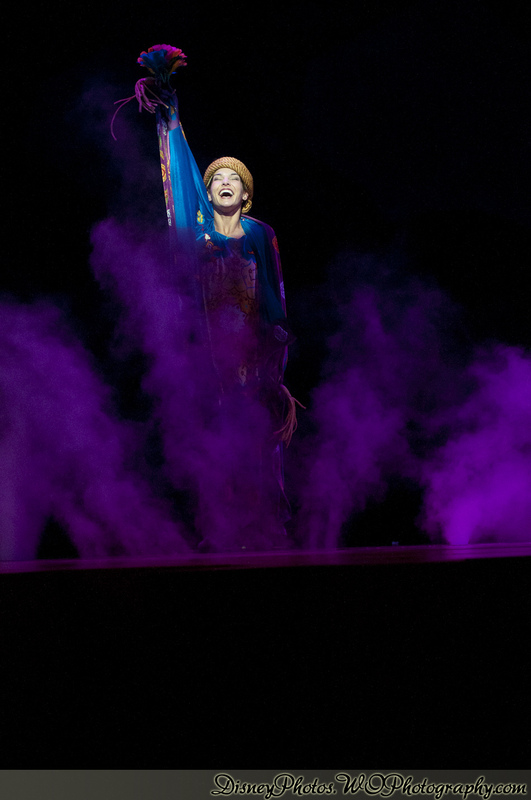 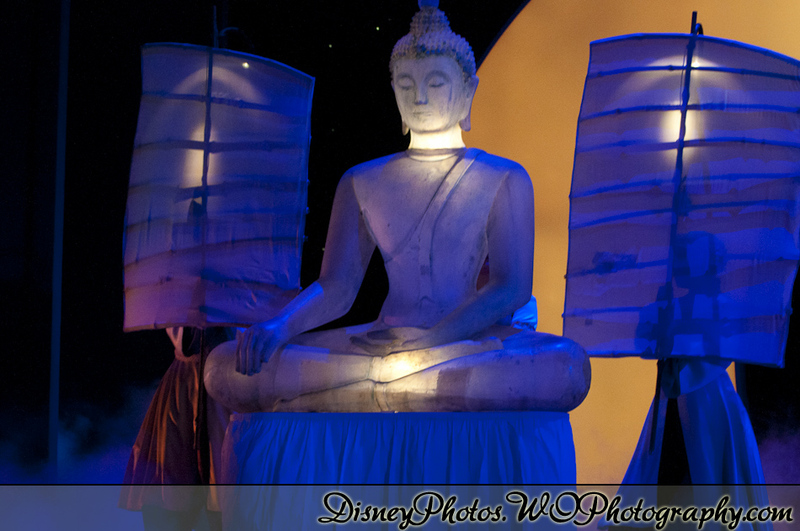 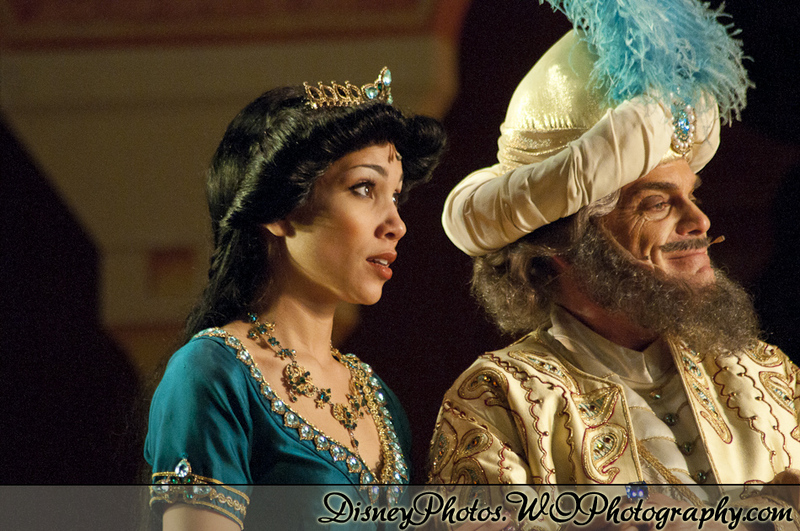 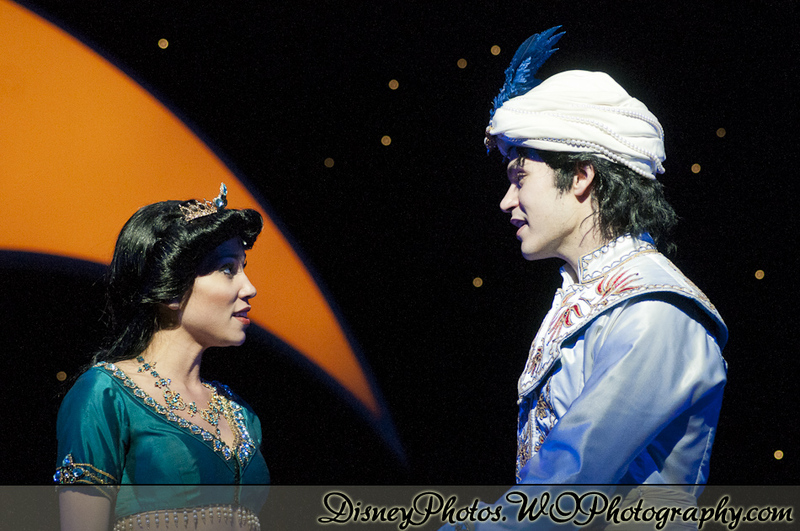 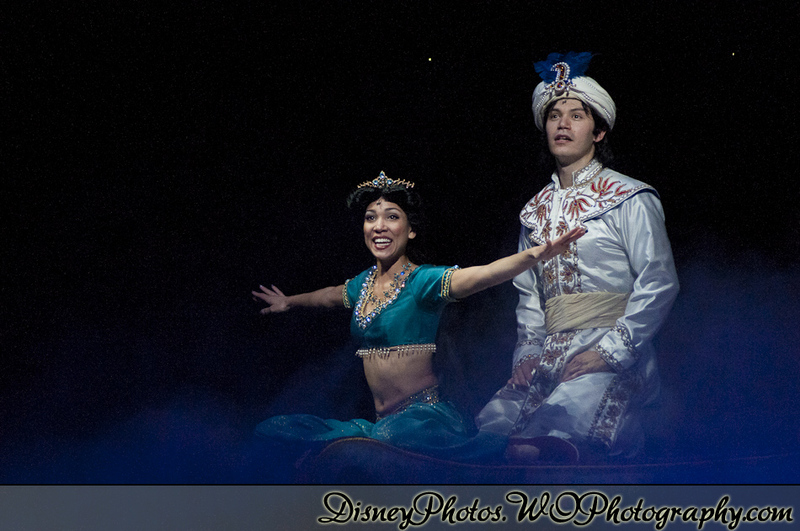 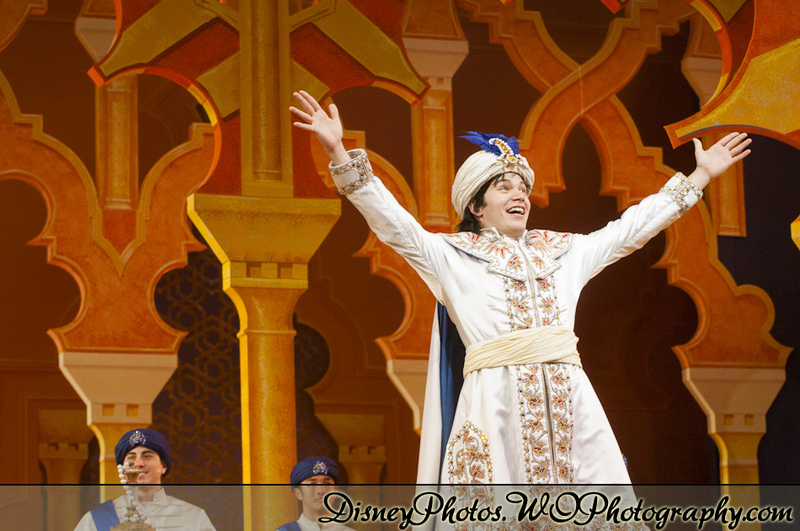 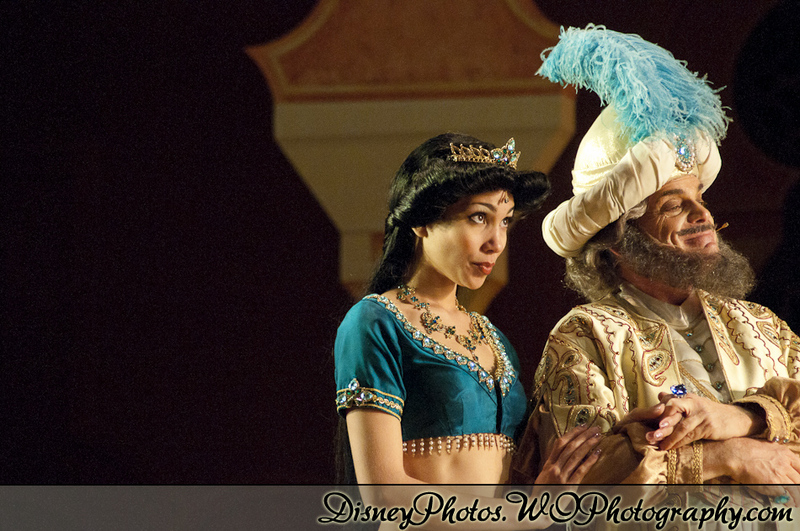 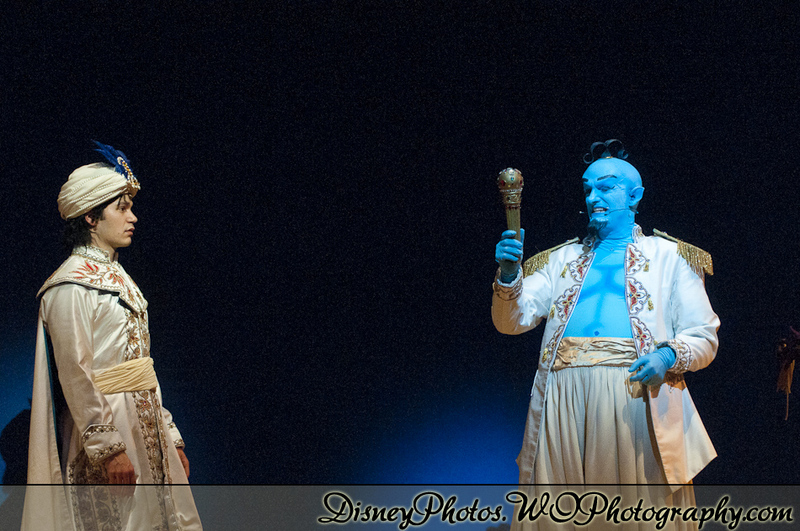 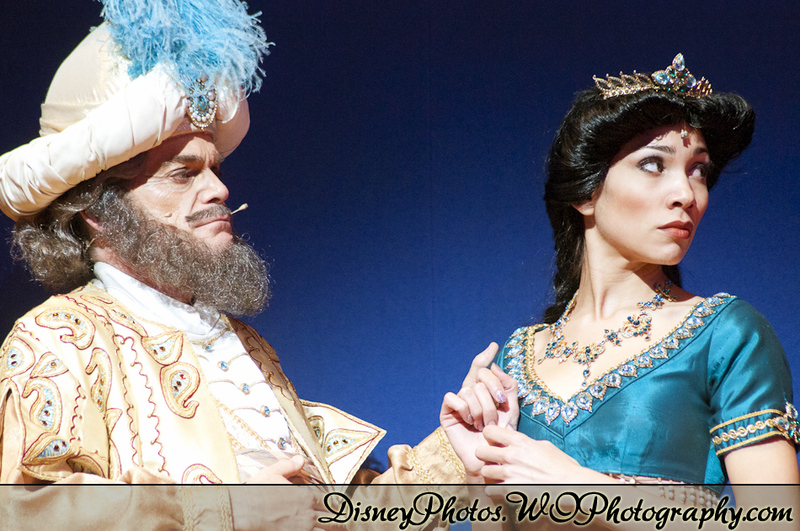 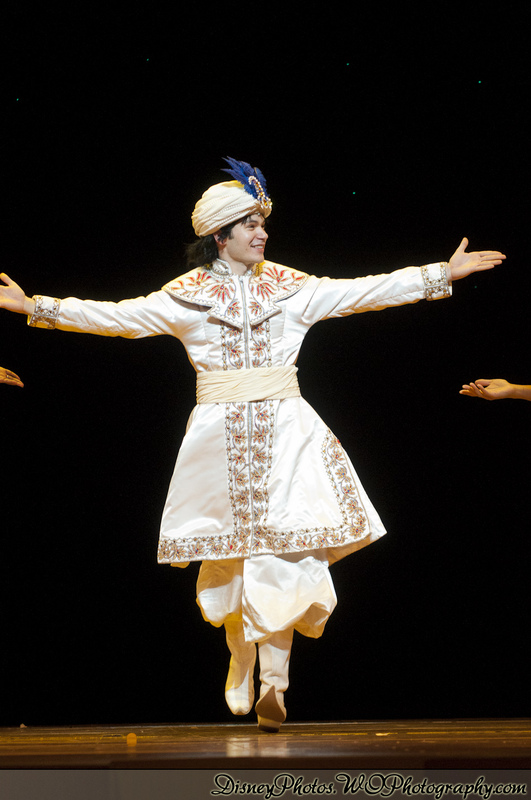 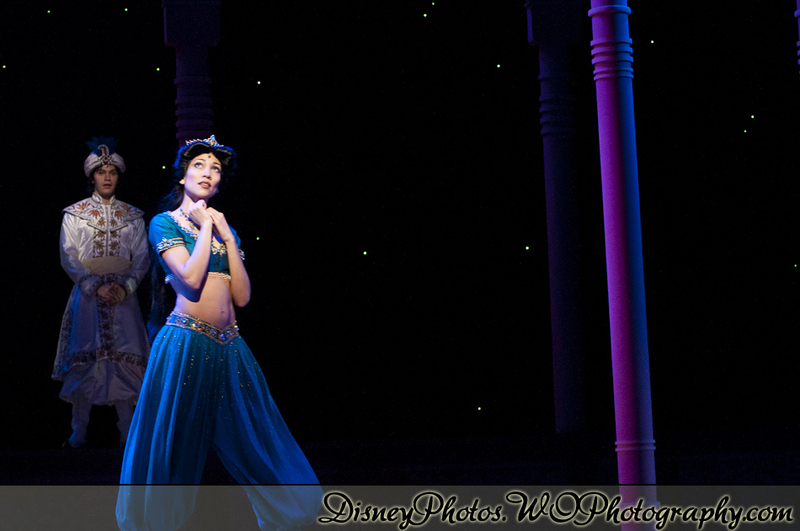 Aladdin Musical Spectacular is my favorite show at the Disneyland Resort. 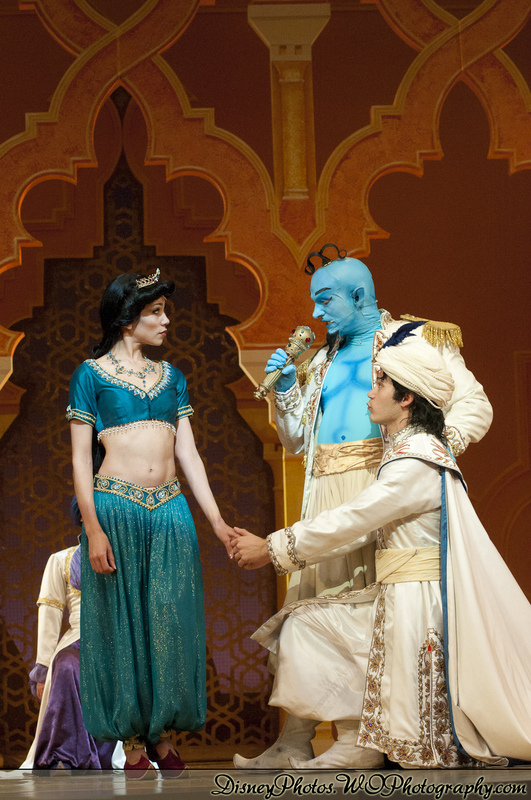 Aladdin is probably the Disney movie I’ve watched the most times, and I can’t wait till it comes out on Blu-ray (hopefully next year). 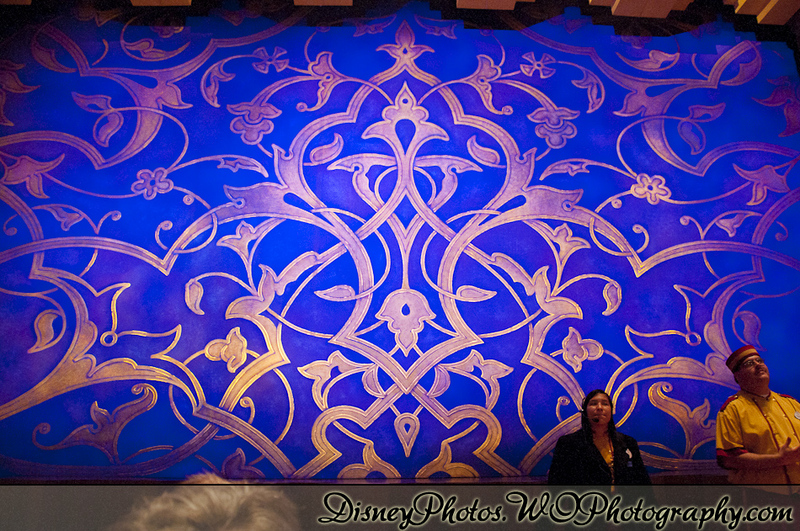 These pictures were taken from the second row. 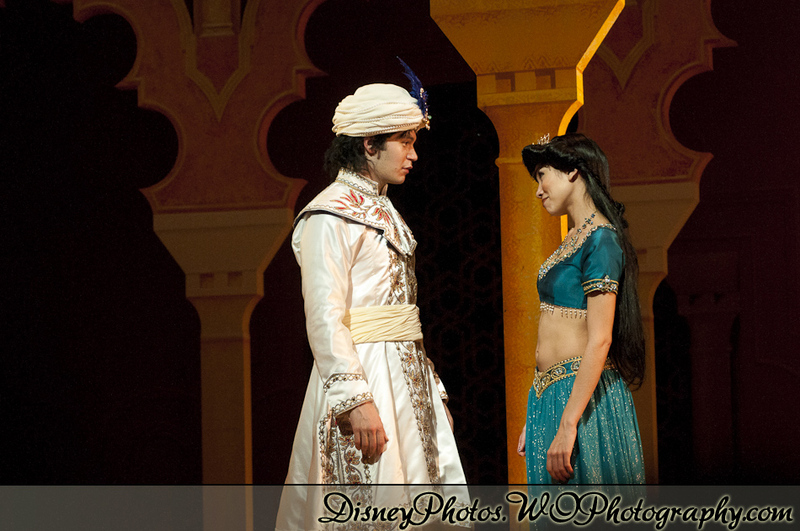 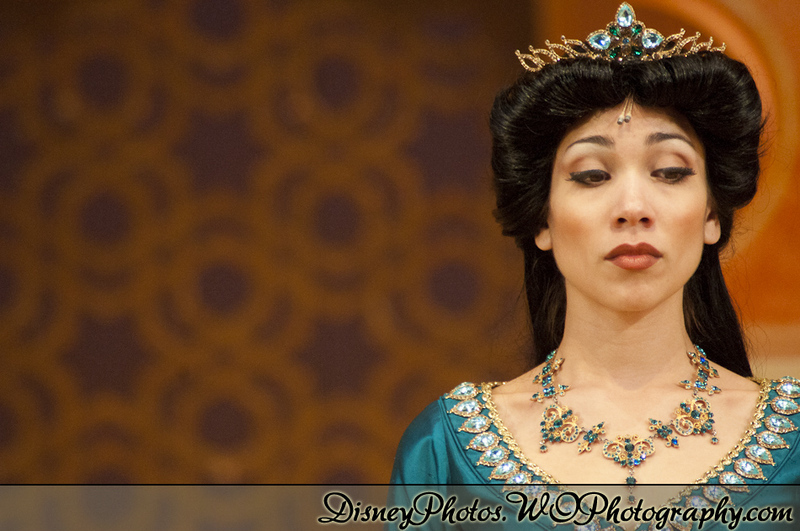 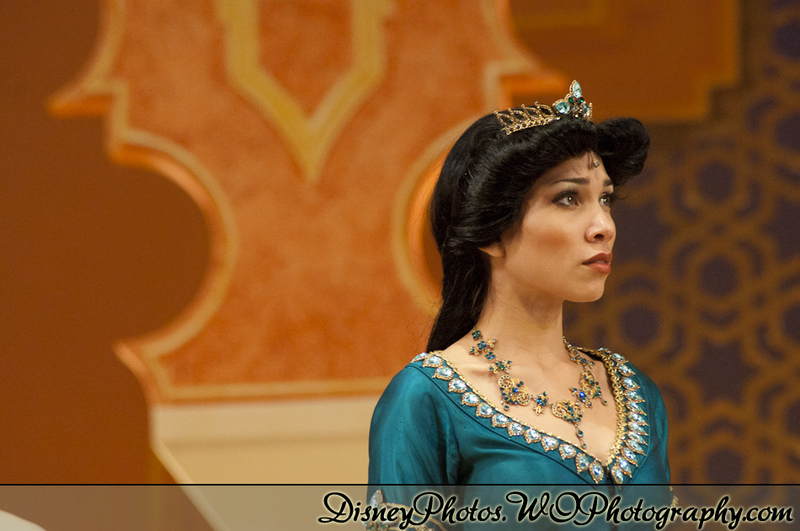 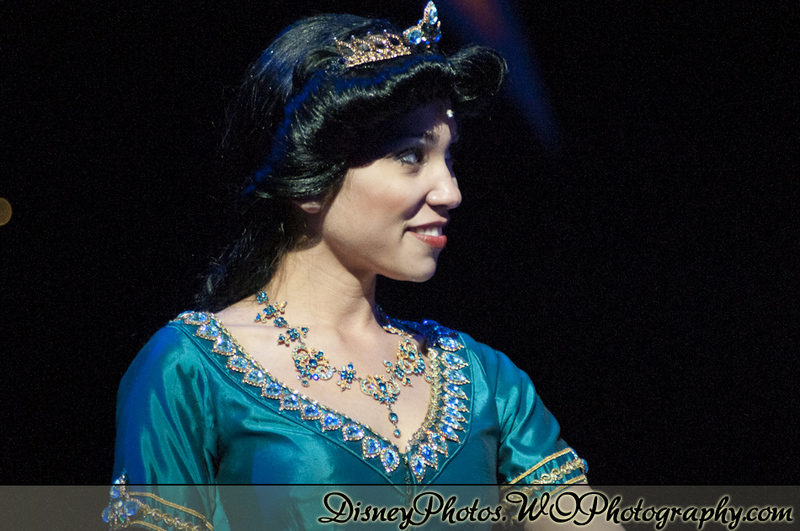 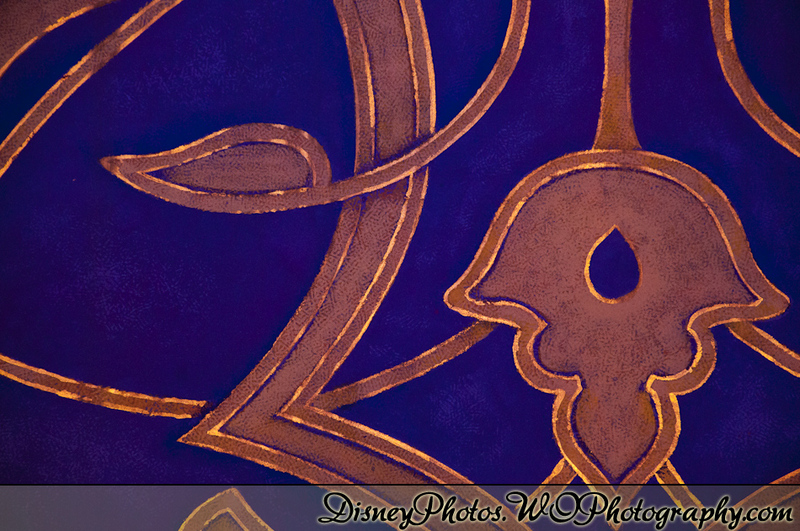 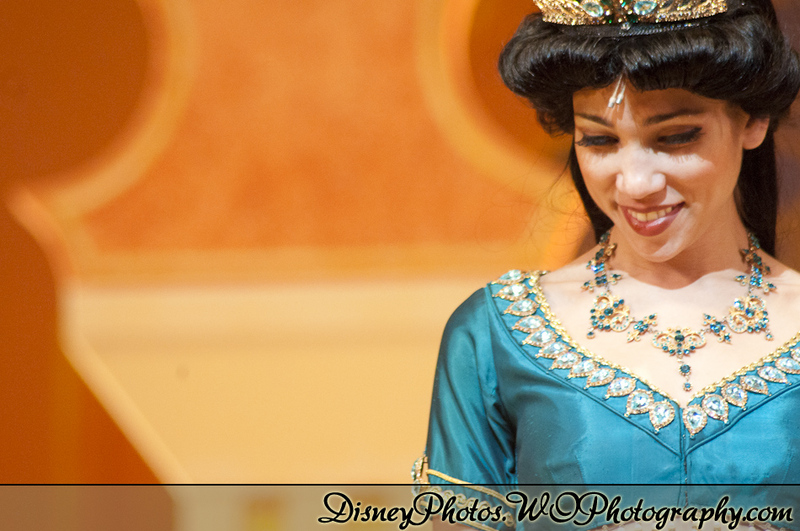 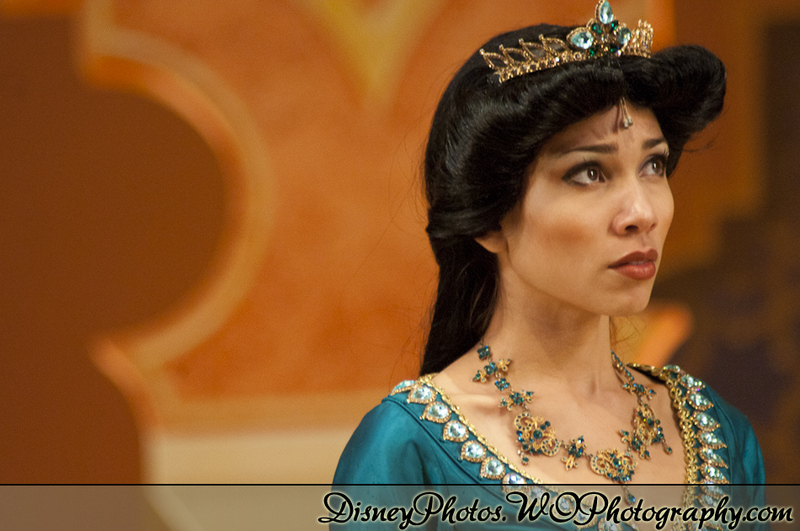 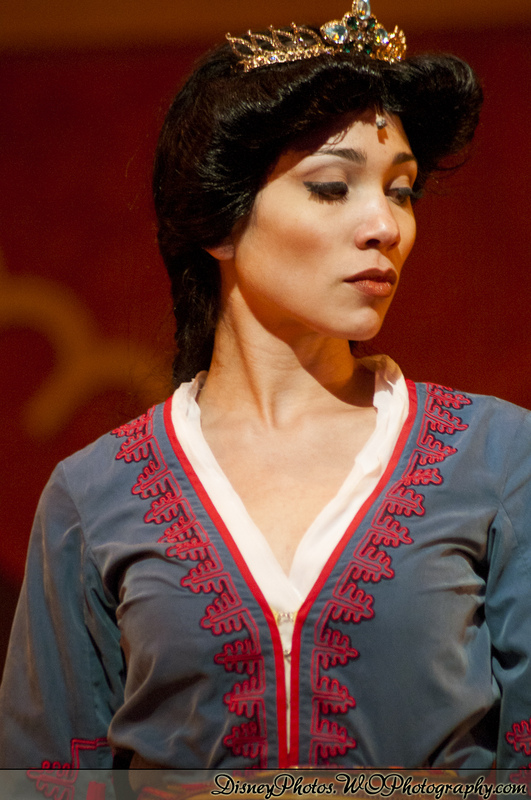 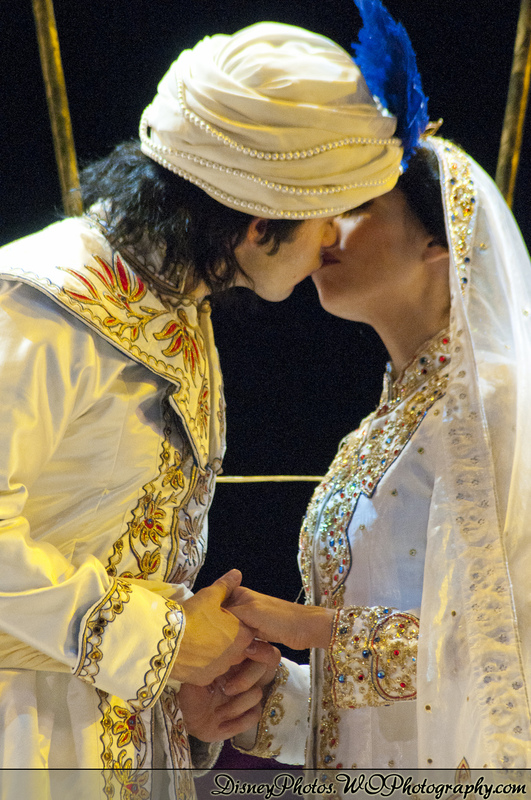 Aladdin and Jasmine are different from the March 5th Post. 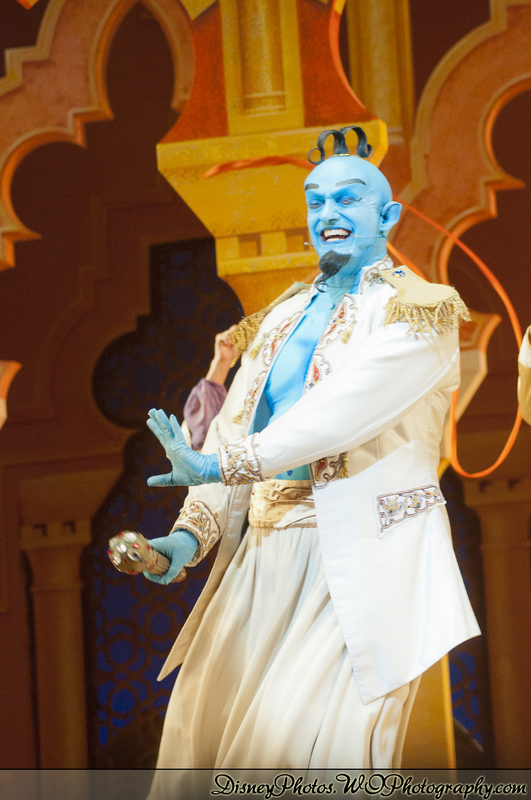 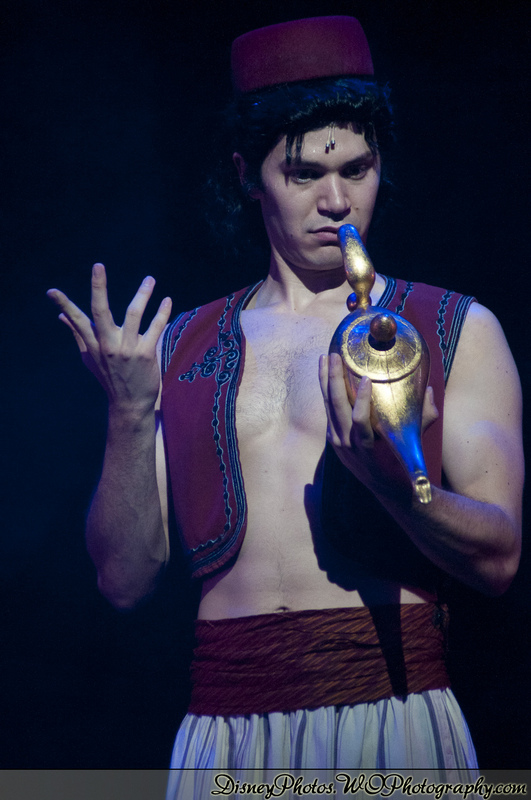 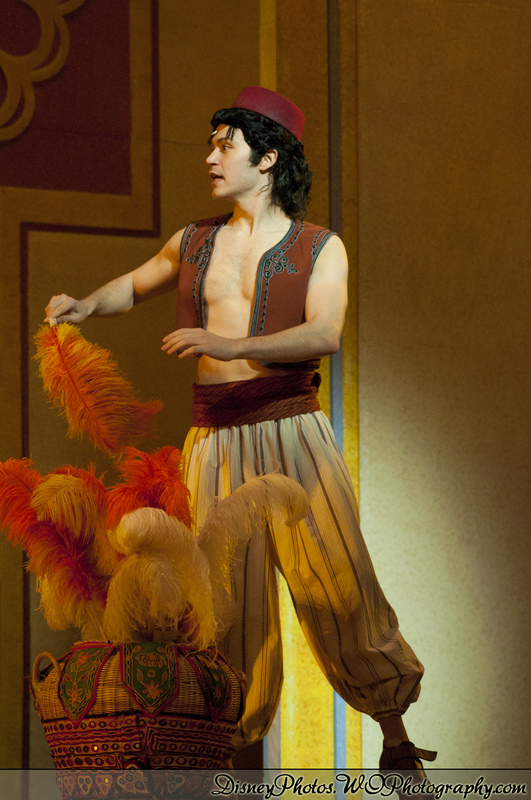 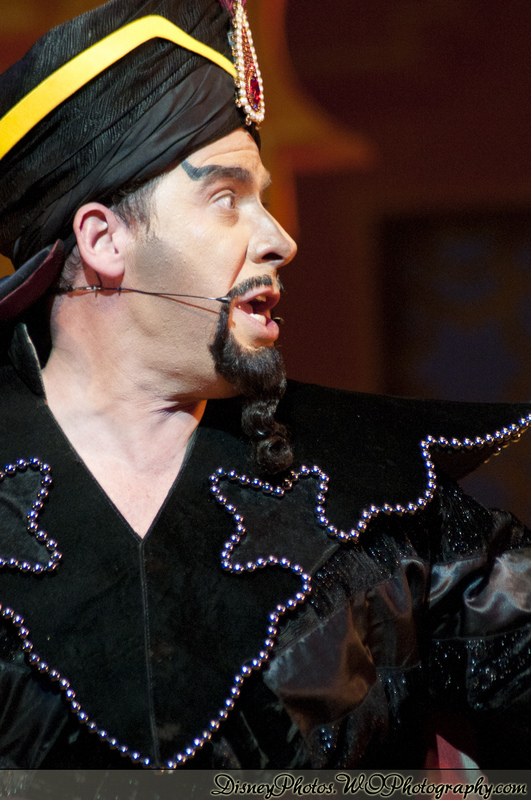 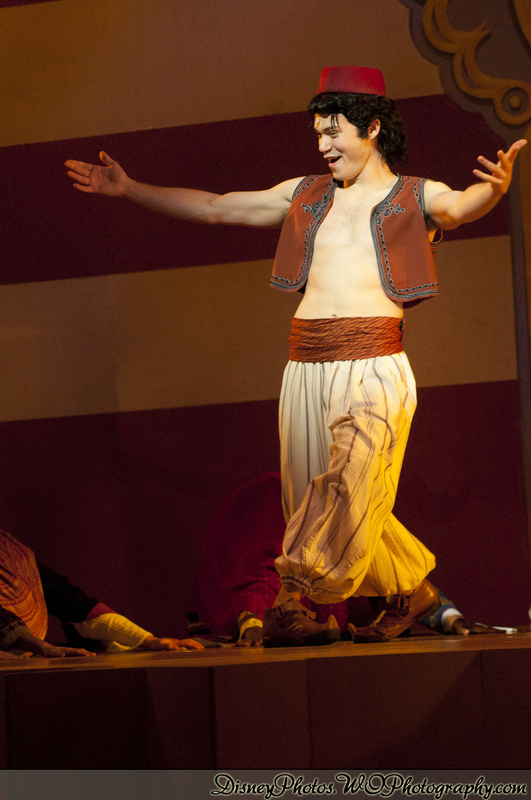 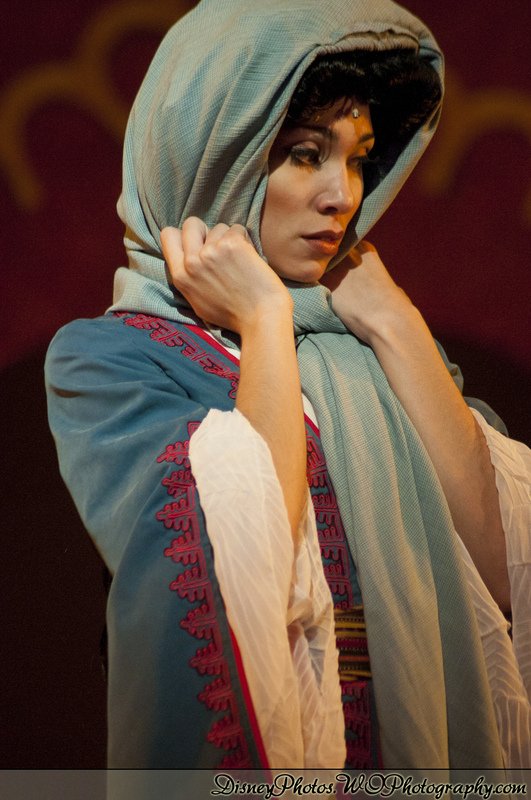 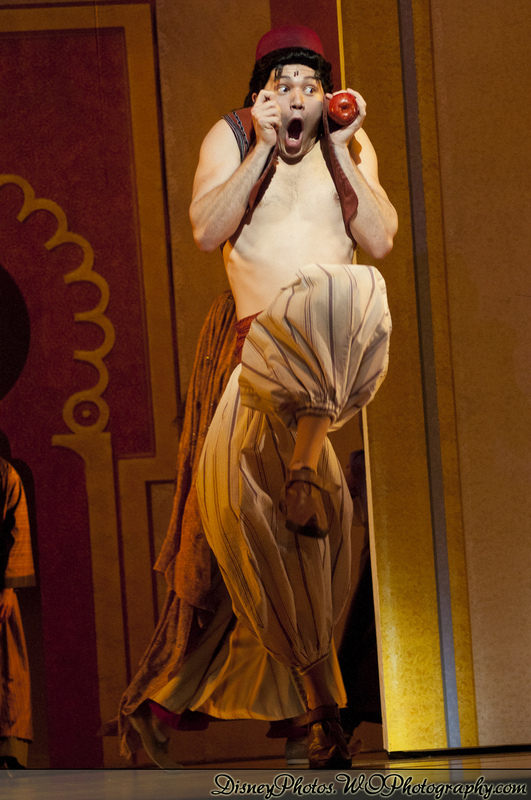 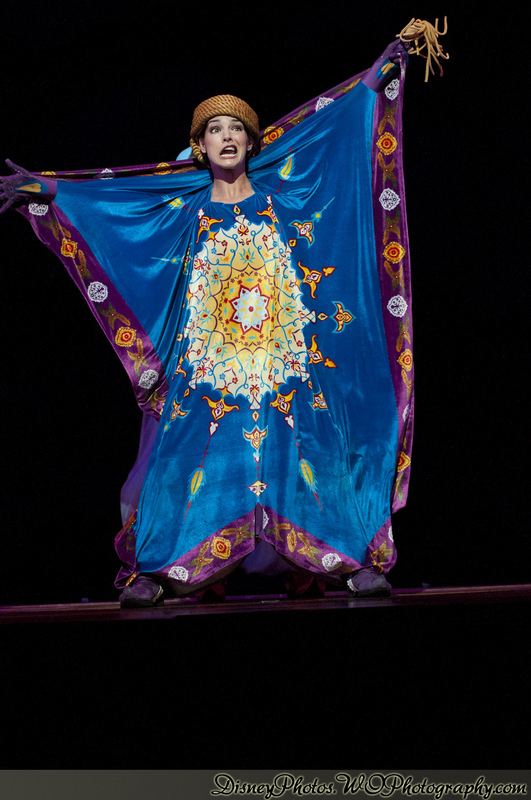 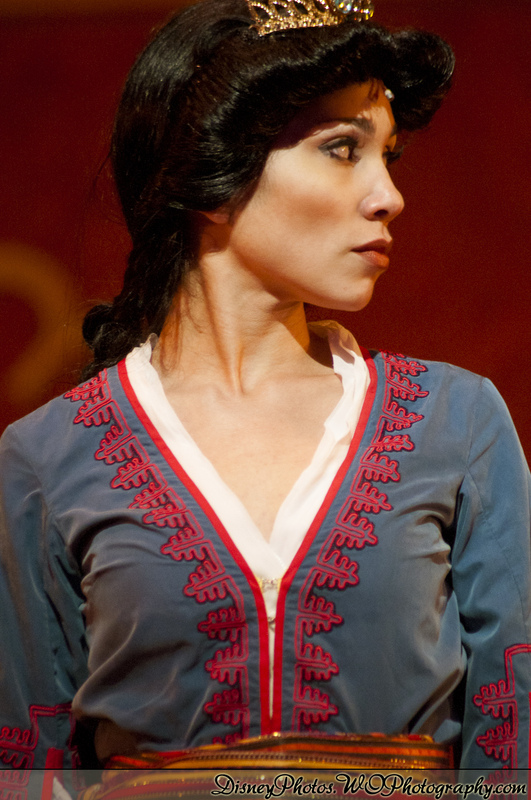 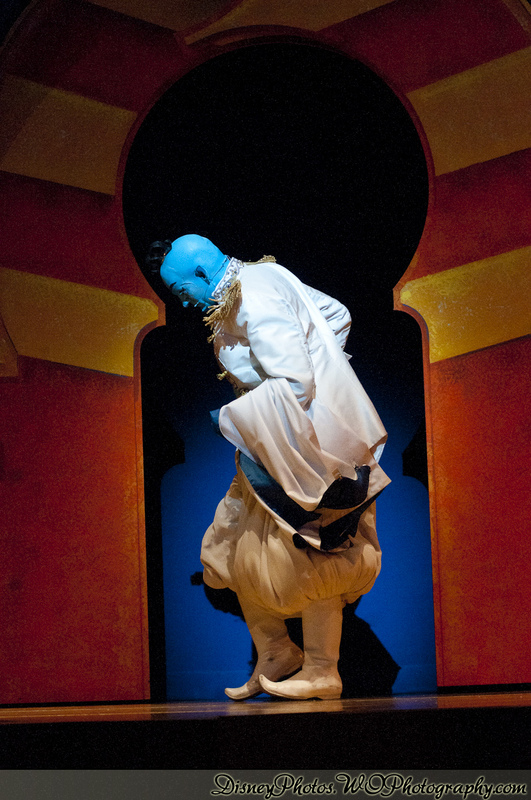 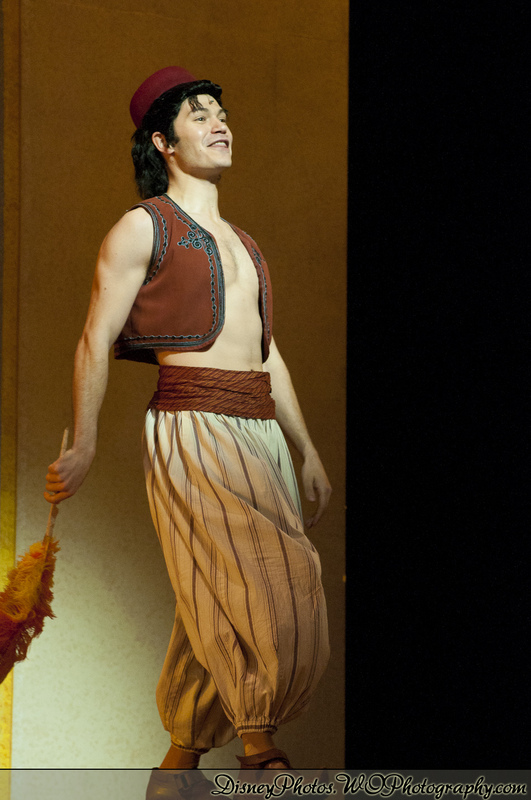 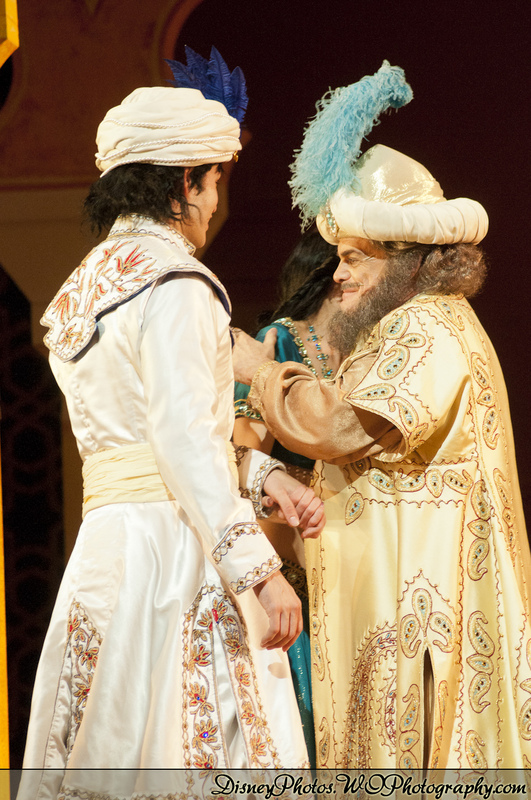 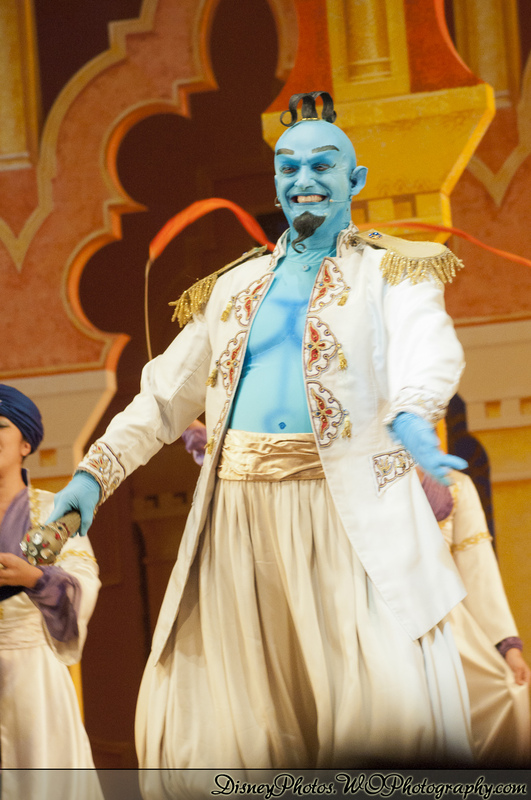 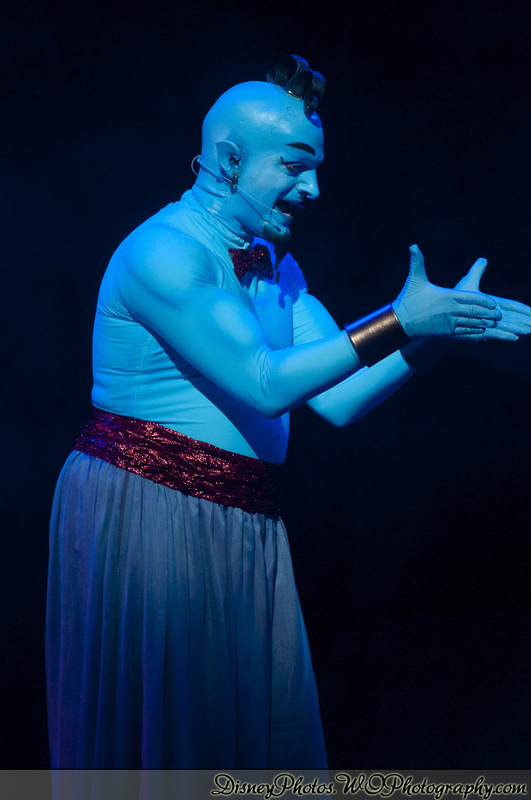 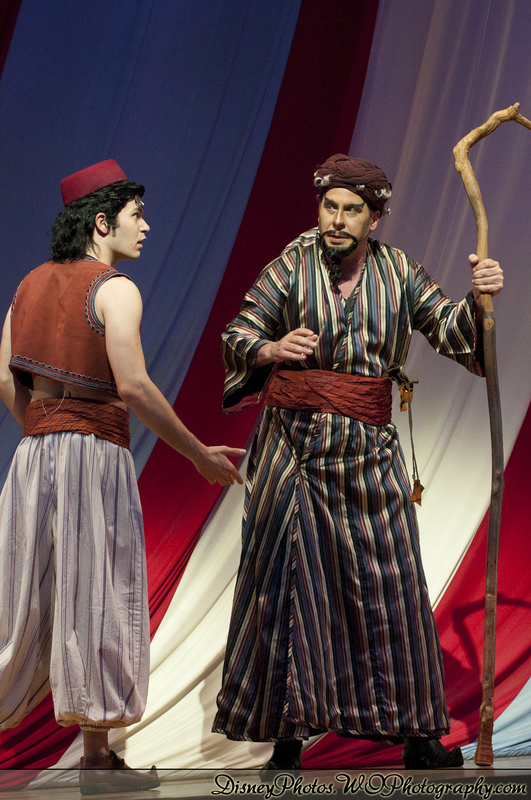 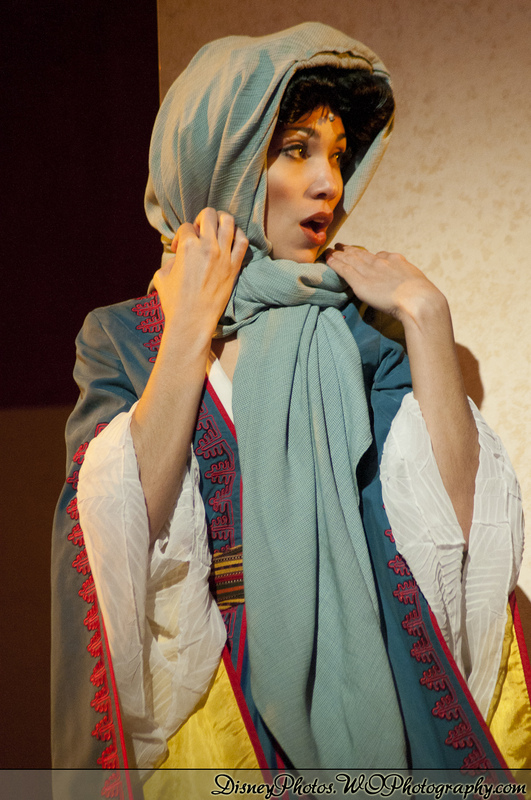 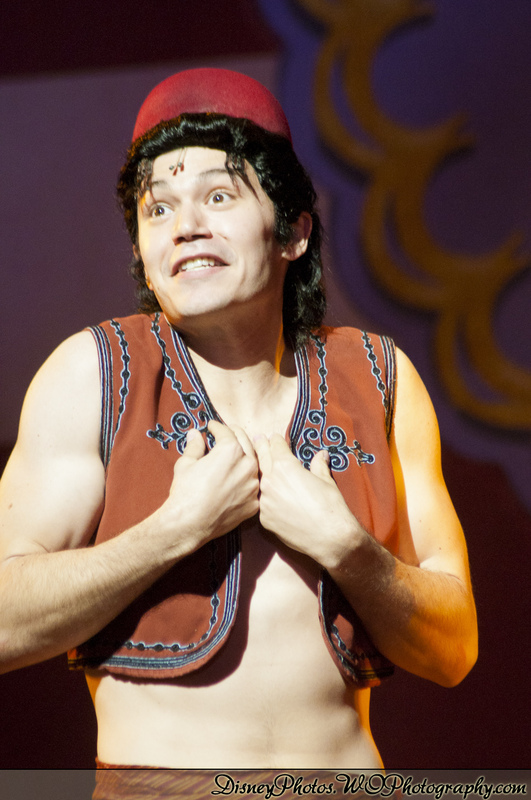 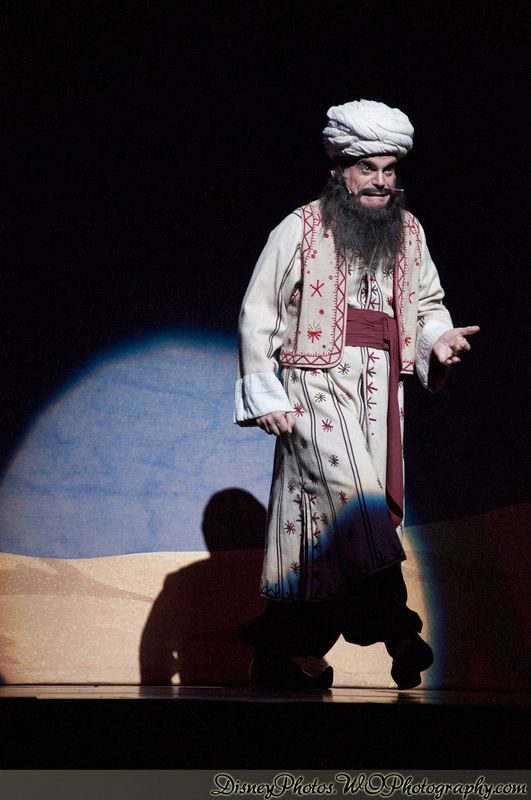 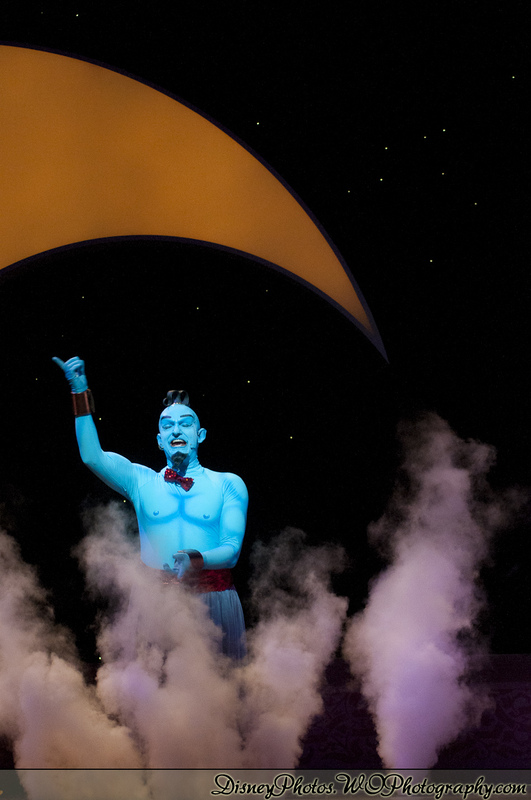 The same actor is playing Genie. 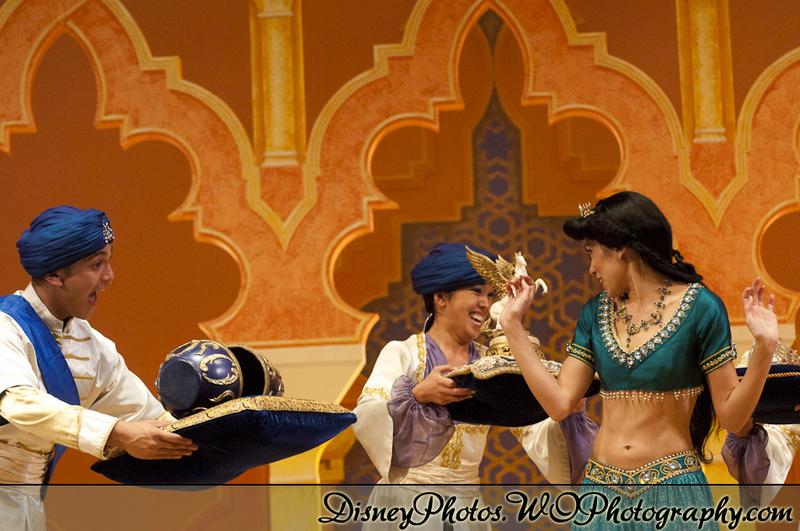 I’m so glad they didn’t discontinue this show as they had originally planned. 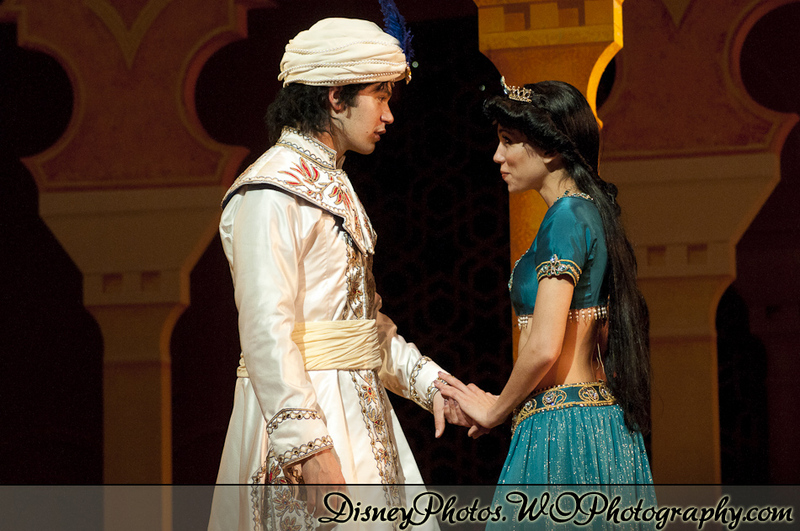 This entry was posted on October 18, 2011. 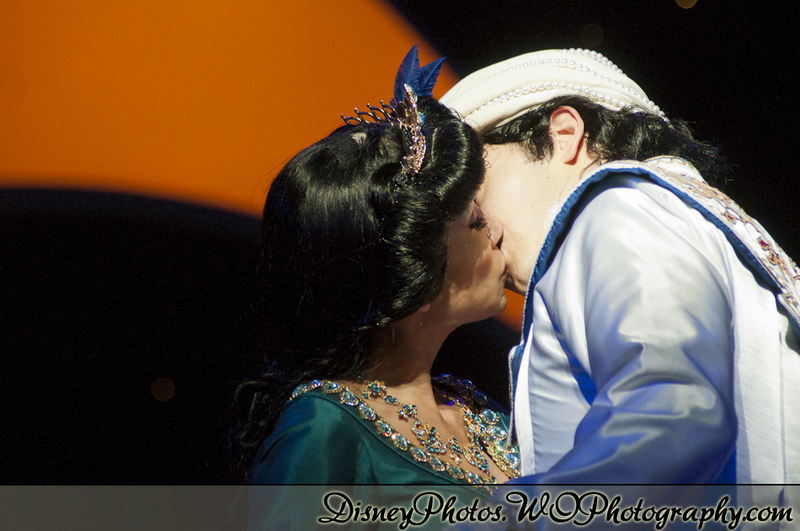 It was filed under Shows.